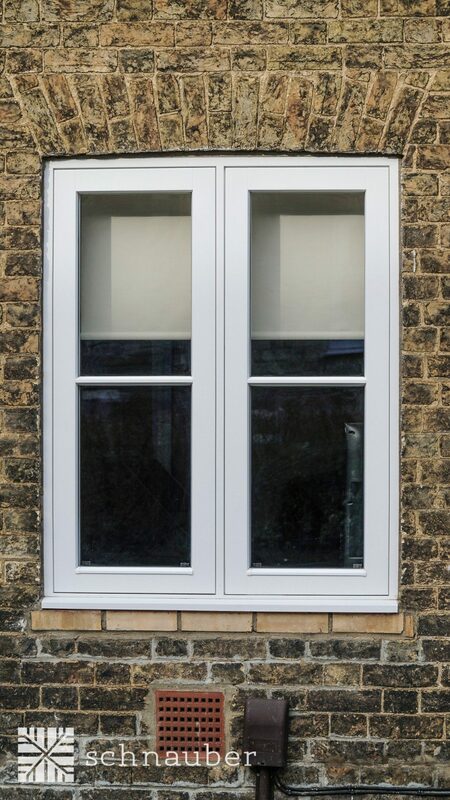 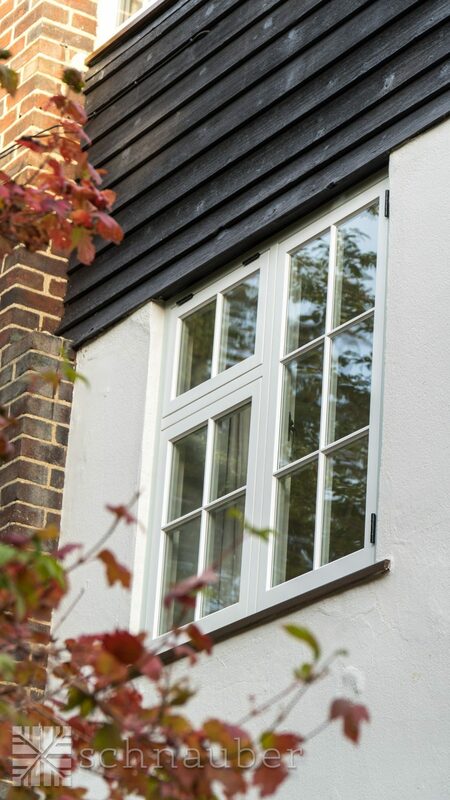 Aluminium clad timber windows bring together the best features of aluminium and timber. 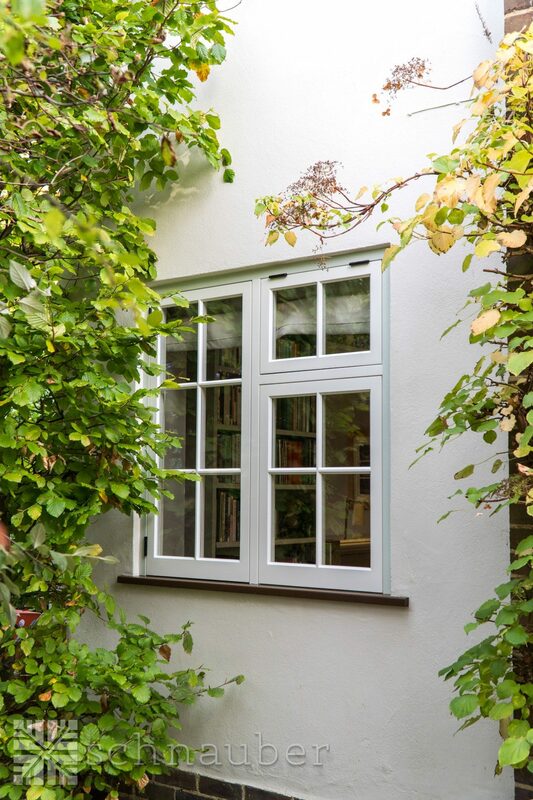 What makes aluminium clad timber windows superior to other types of windows is their durability, thermal performance and craftsmanship. 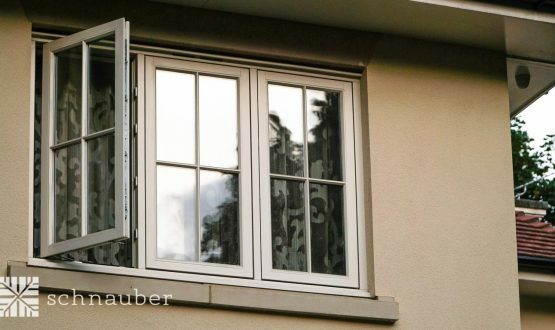 This is why they are often used in the UK in luxurious homes and Passive Houses. 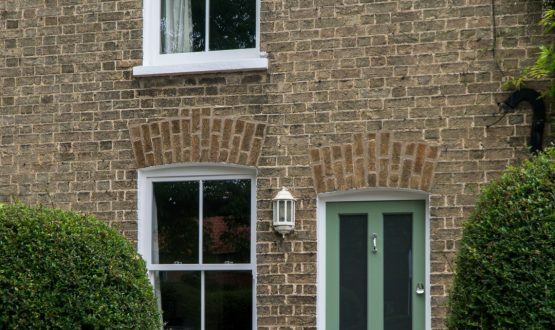 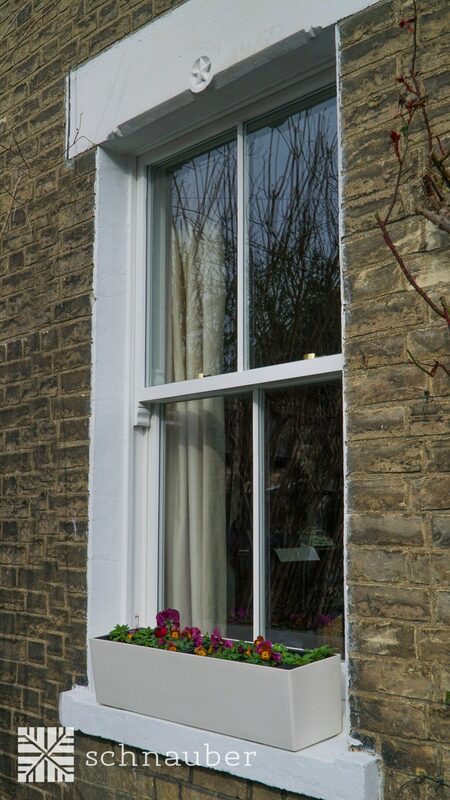 Aluminium is an excellent material for improving the durability of timber windows. 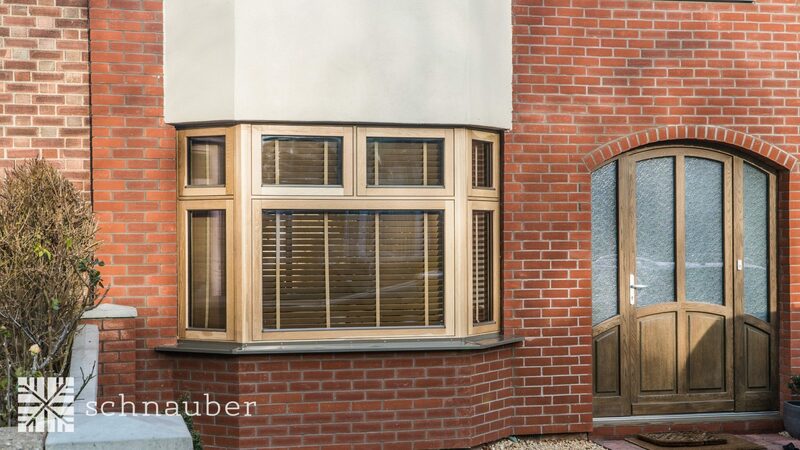 By using German engineering processes we can combine timber frames on the inside with a protective aluminium shell on the outside. 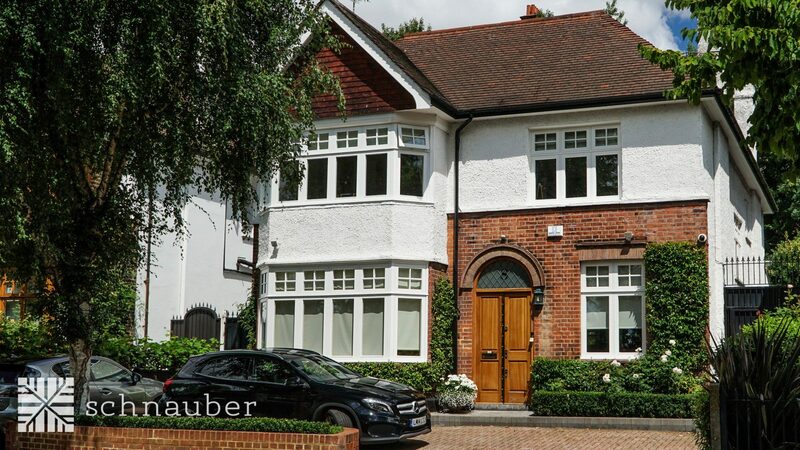 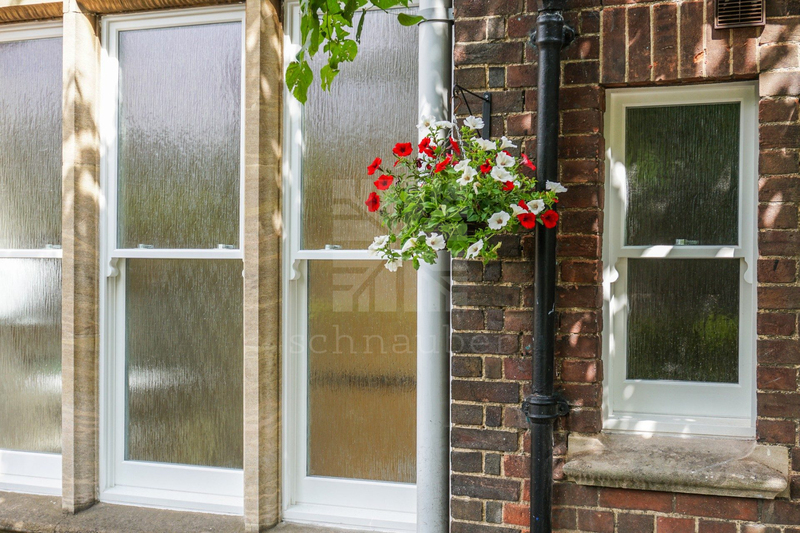 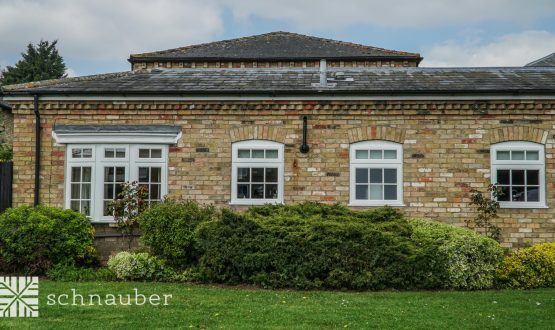 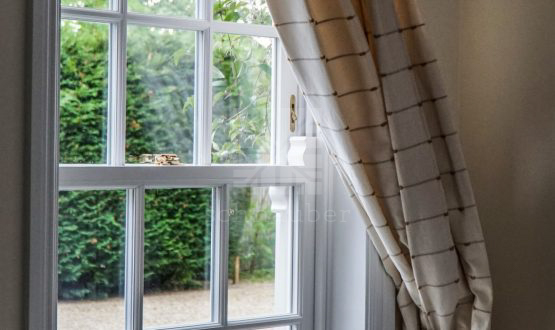 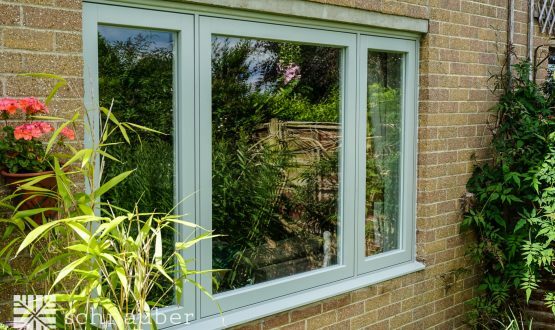 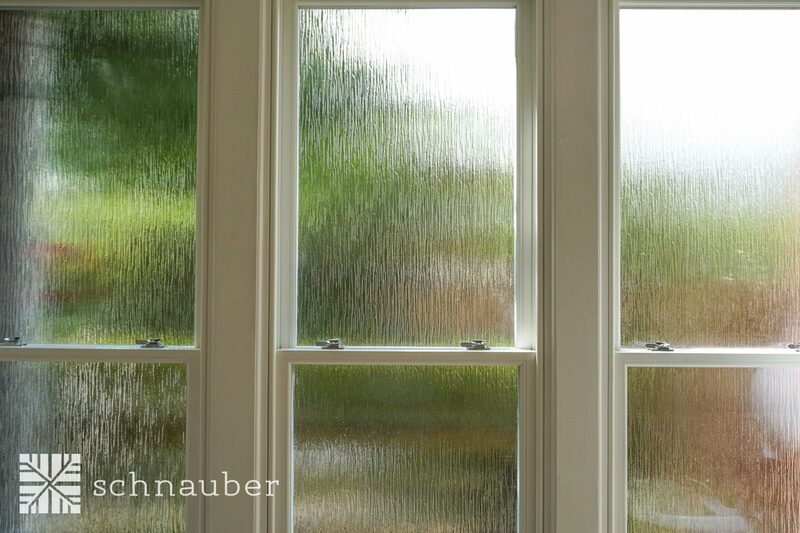 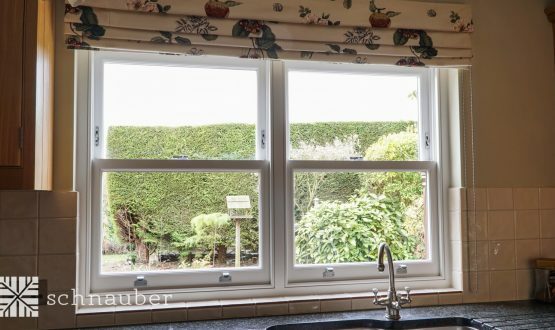 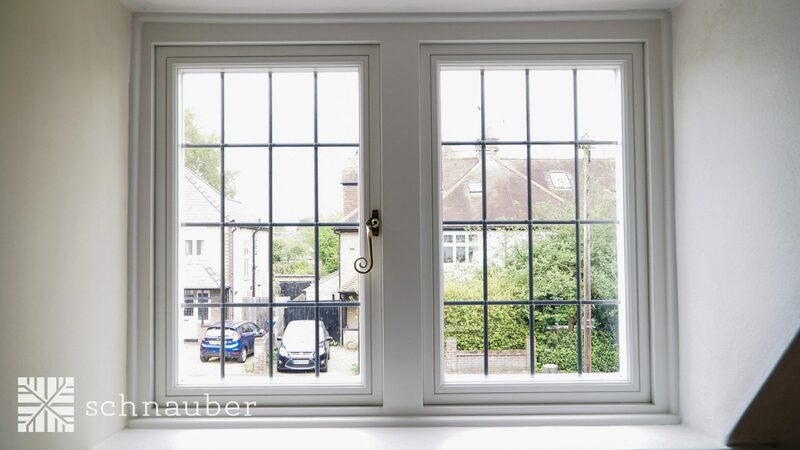 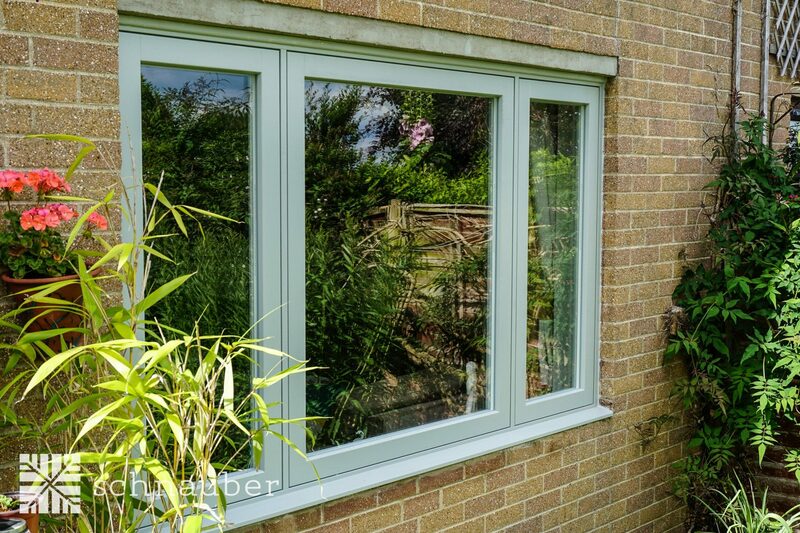 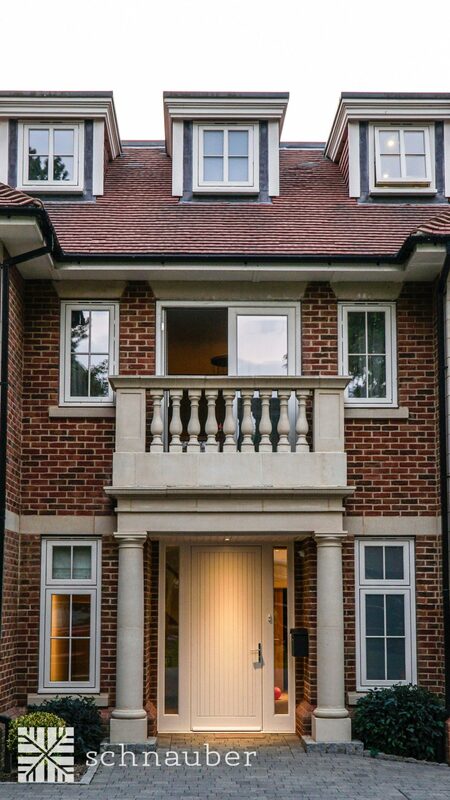 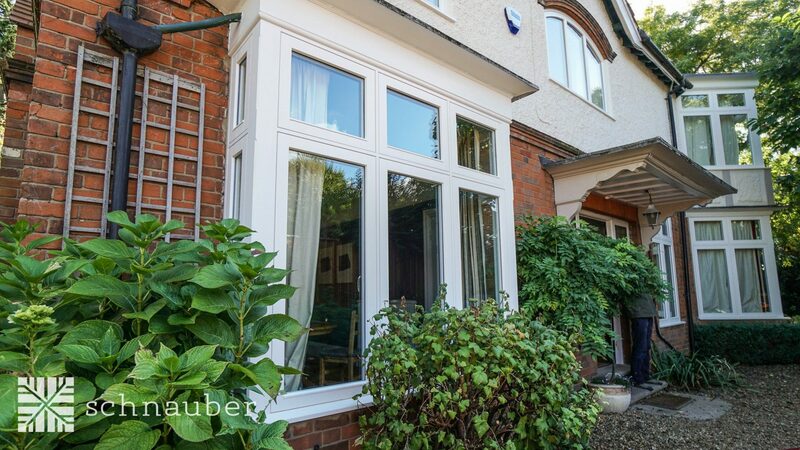 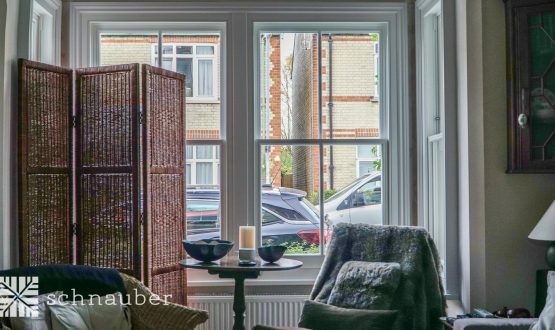 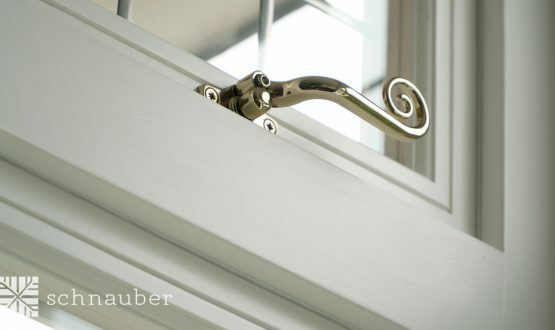 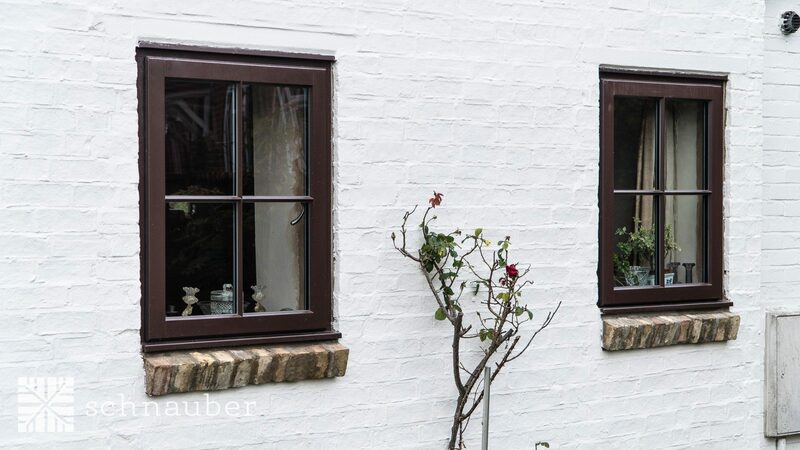 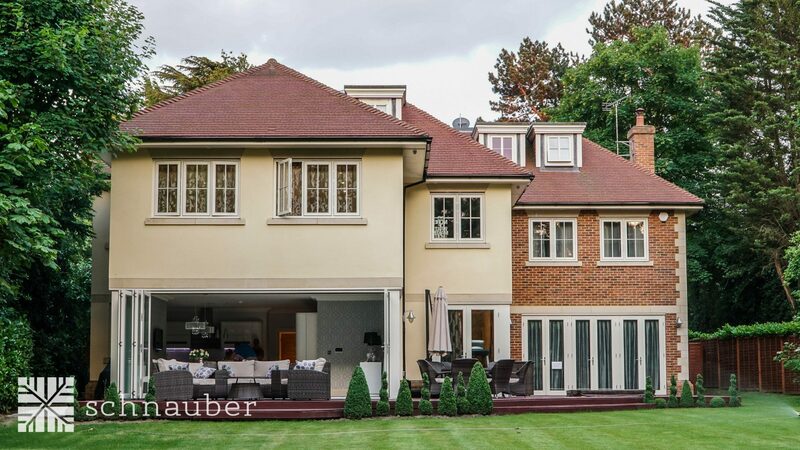 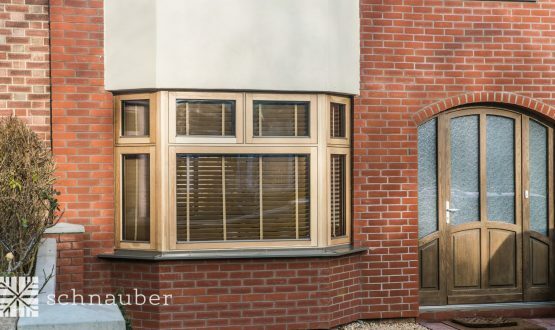 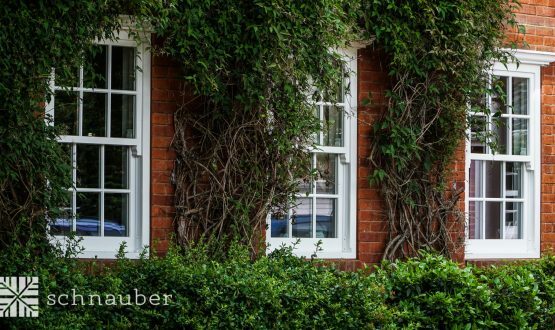 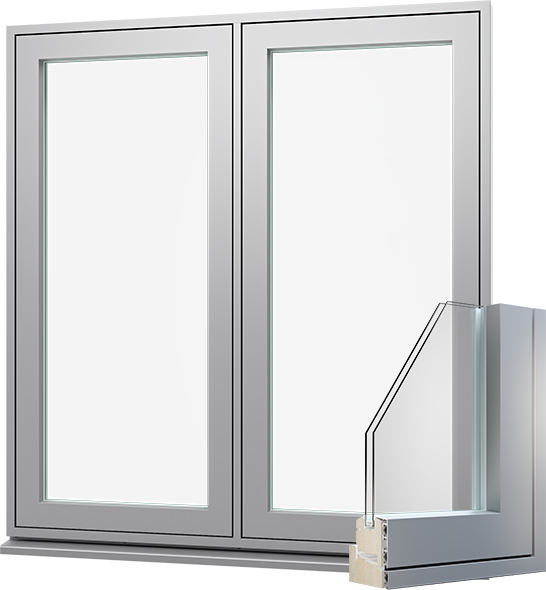 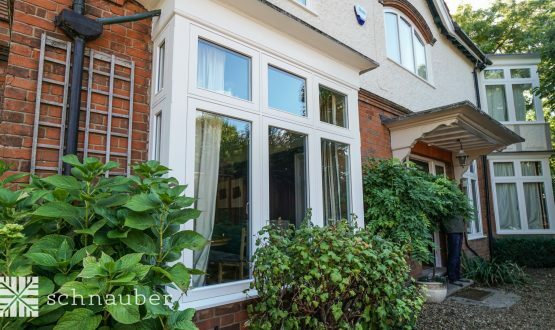 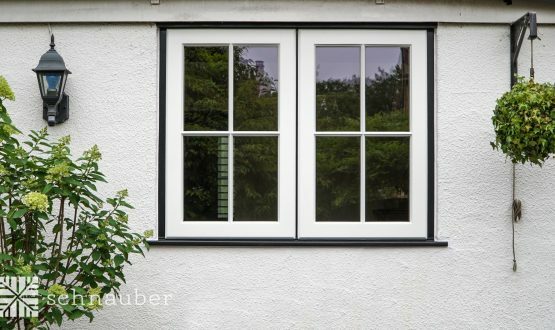 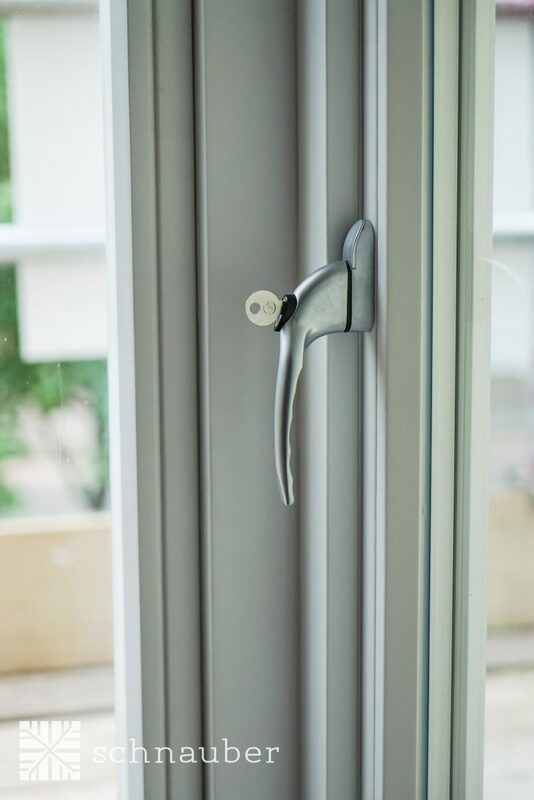 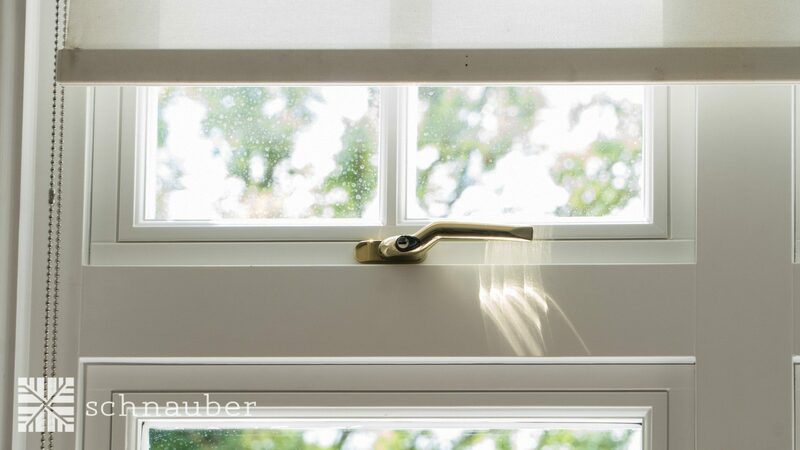 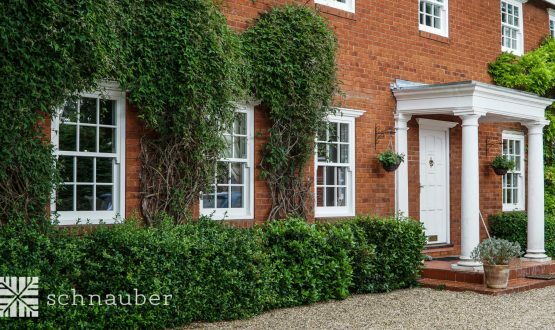 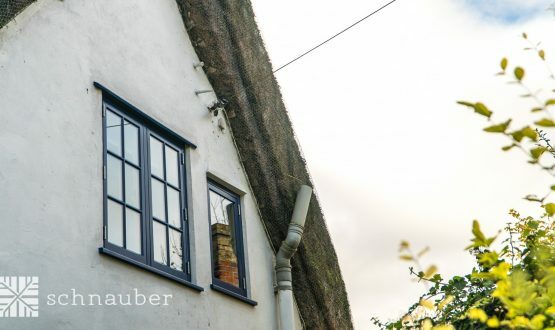 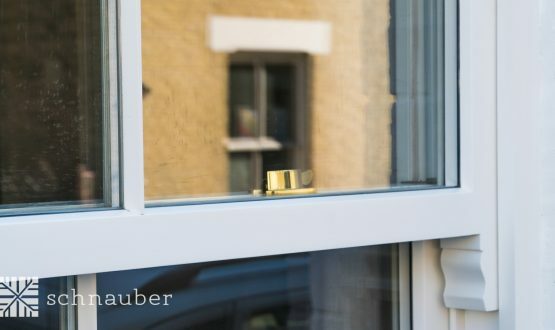 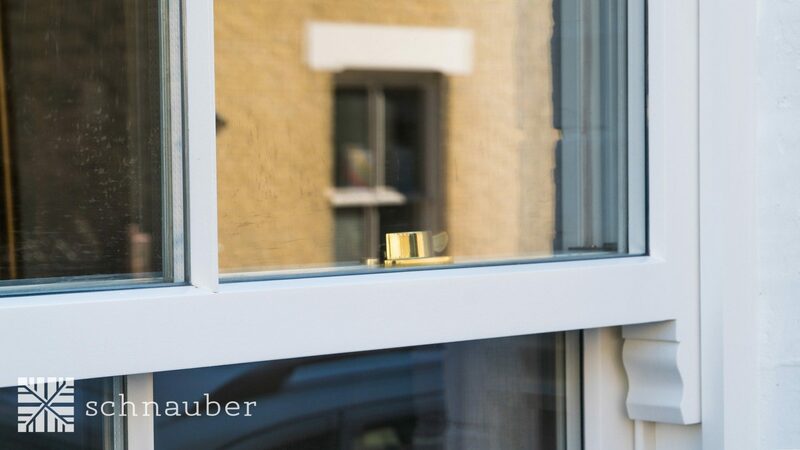 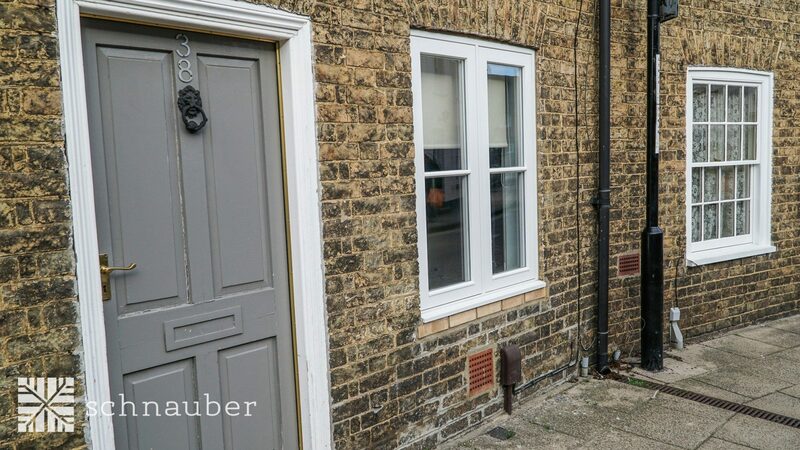 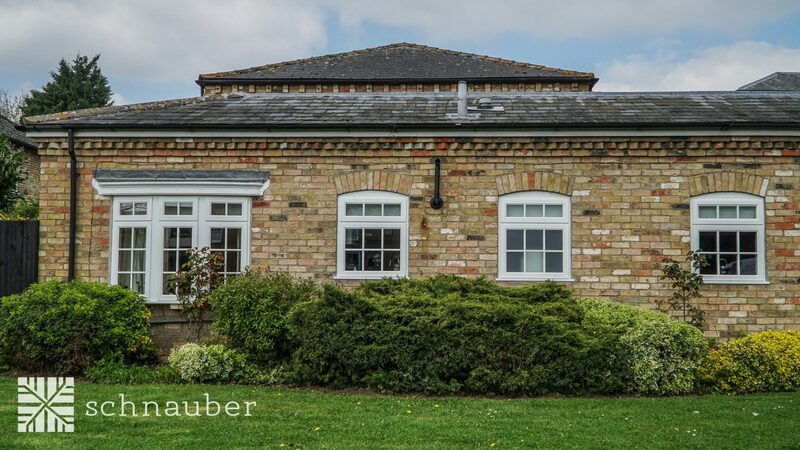 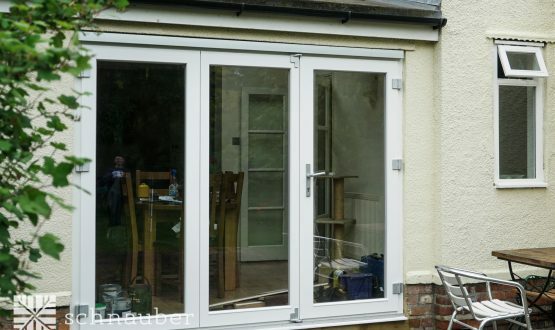 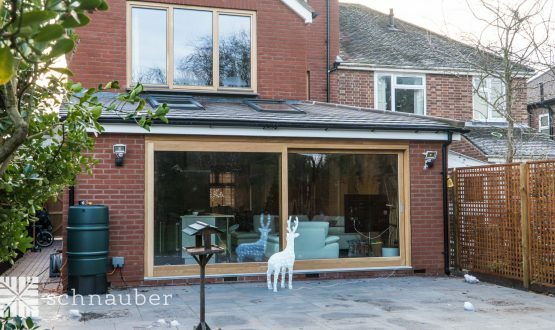 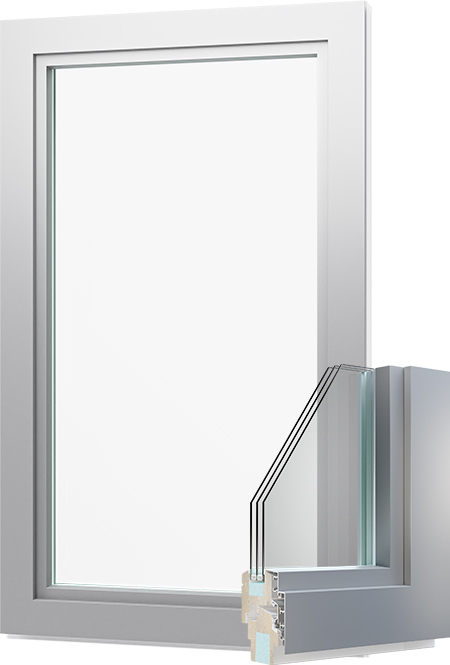 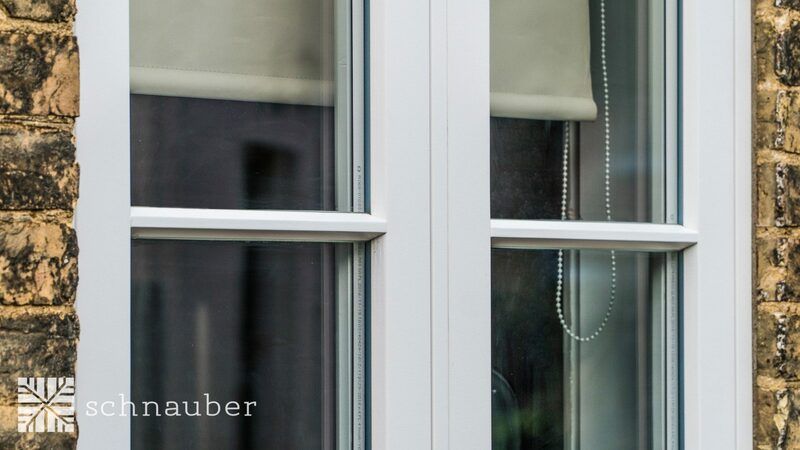 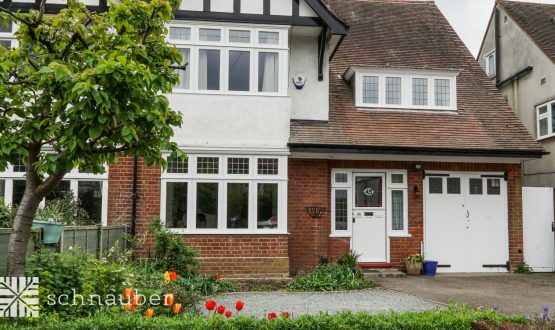 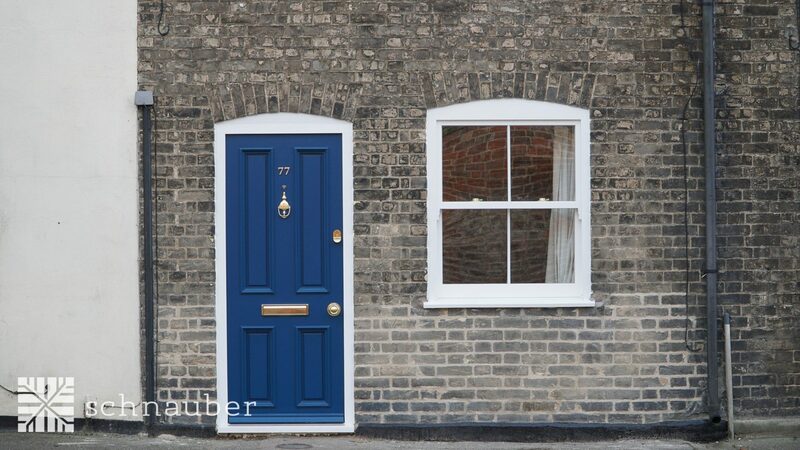 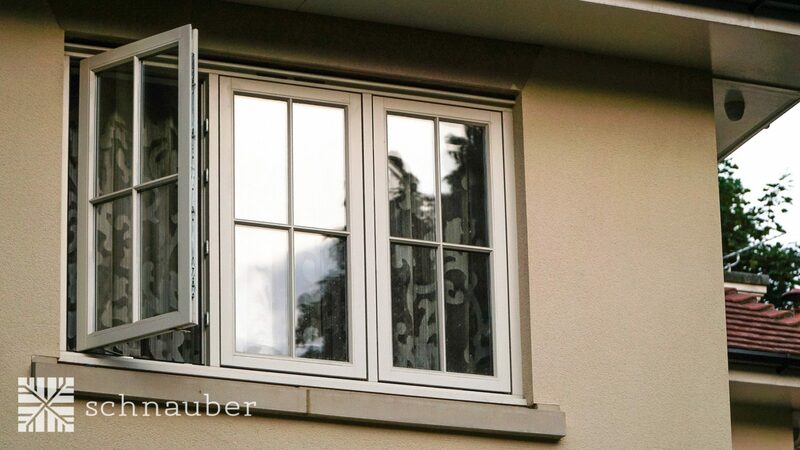 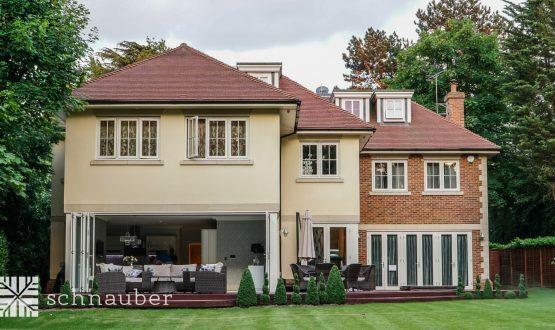 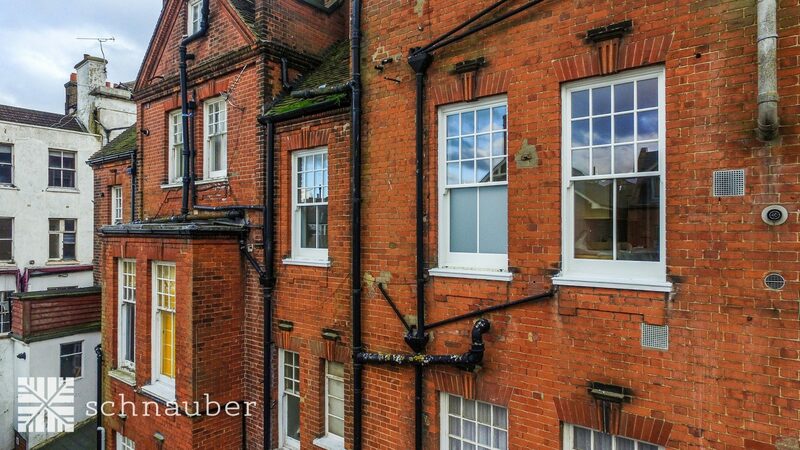 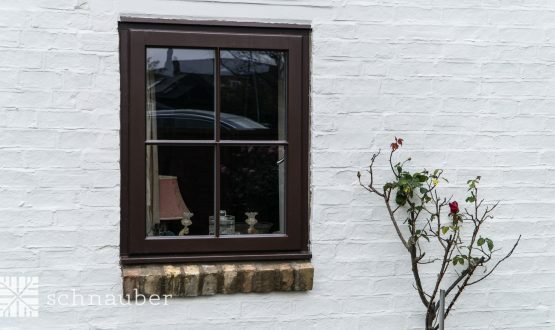 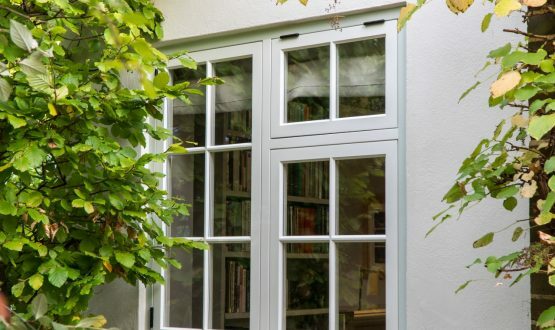 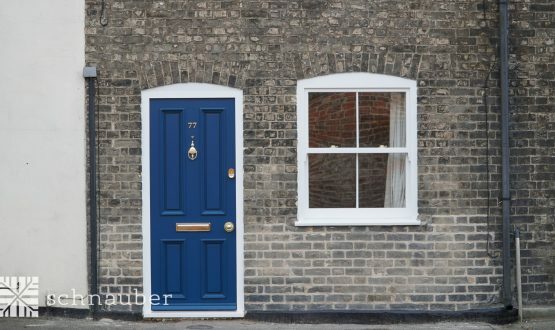 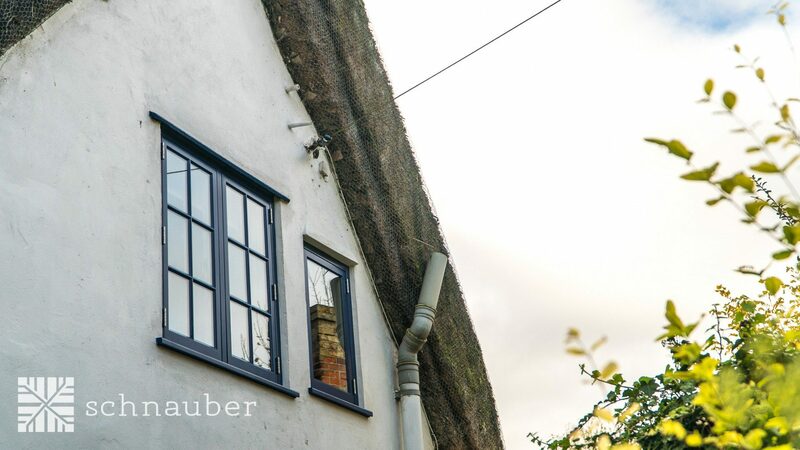 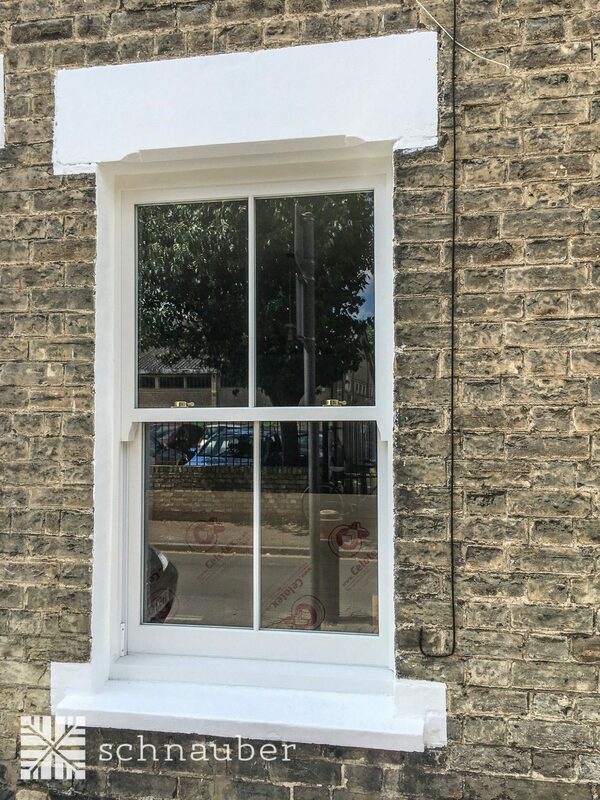 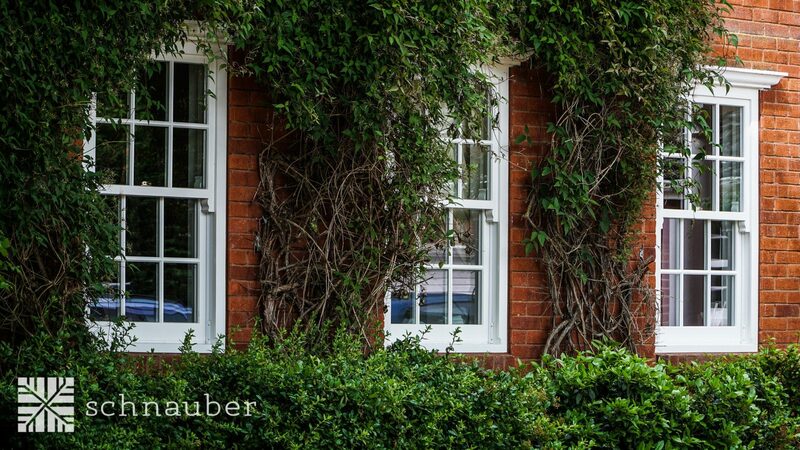 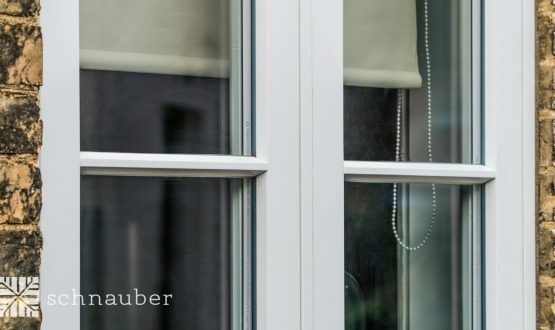 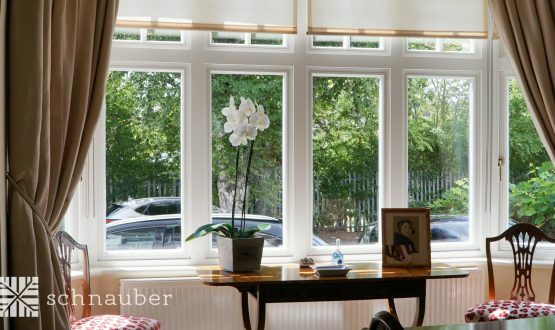 Schnauber bespoke aluminium clad timber windows are available with a wide selection of glazing, CLT, colour, ironmongery and design options to meet your security, aesthetic, and energy needs. 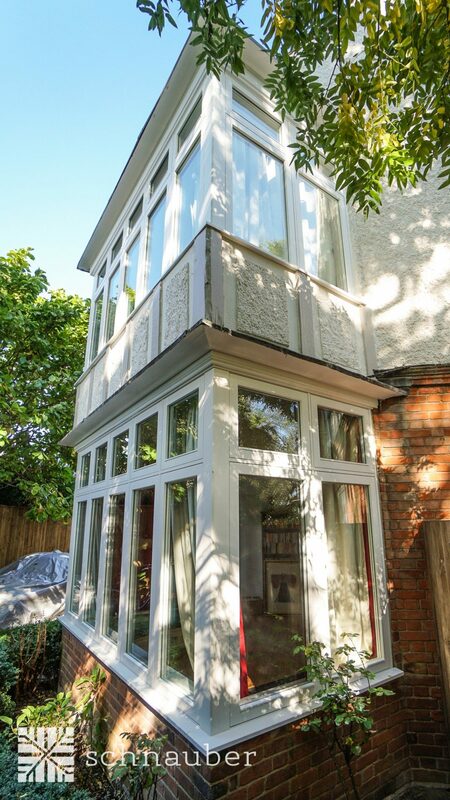 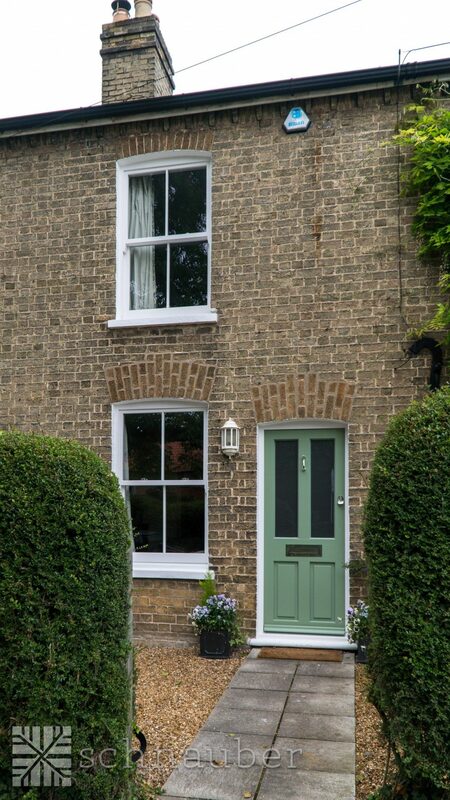 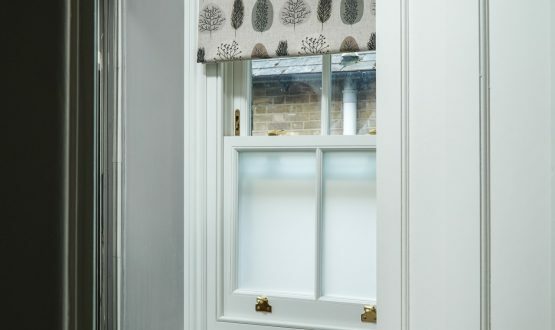 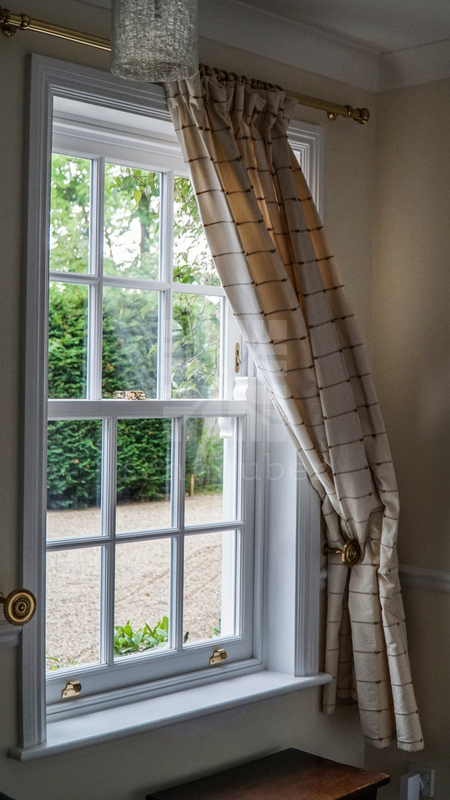 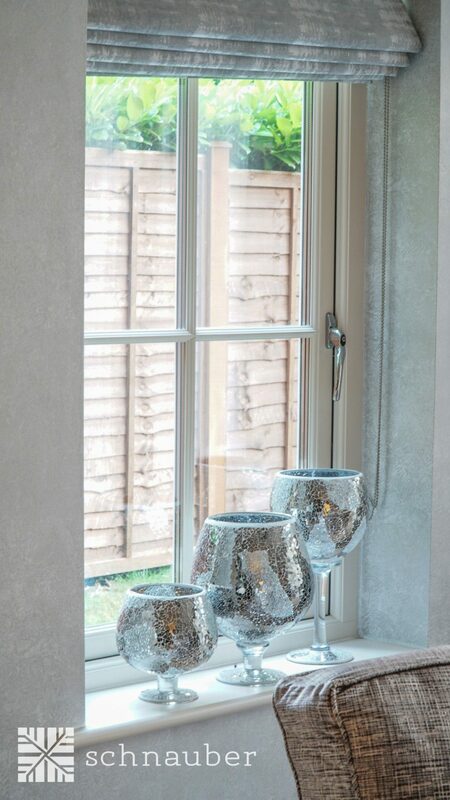 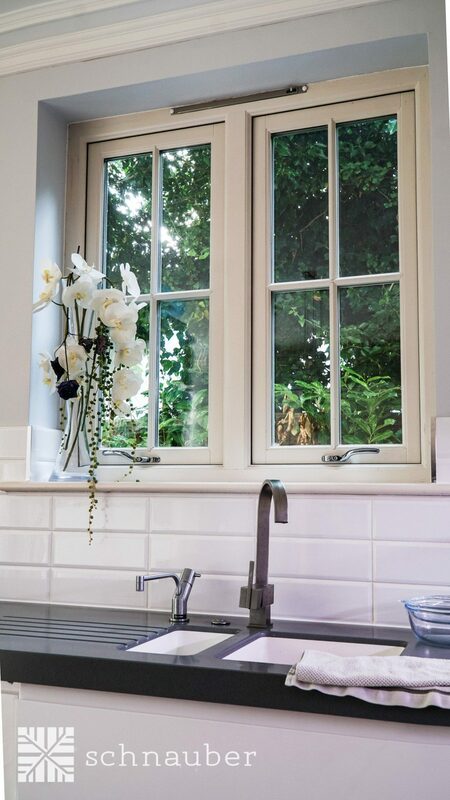 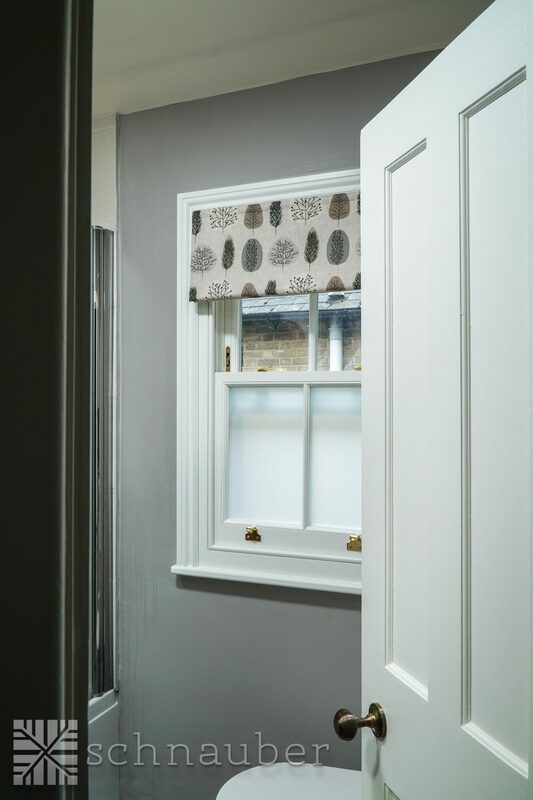 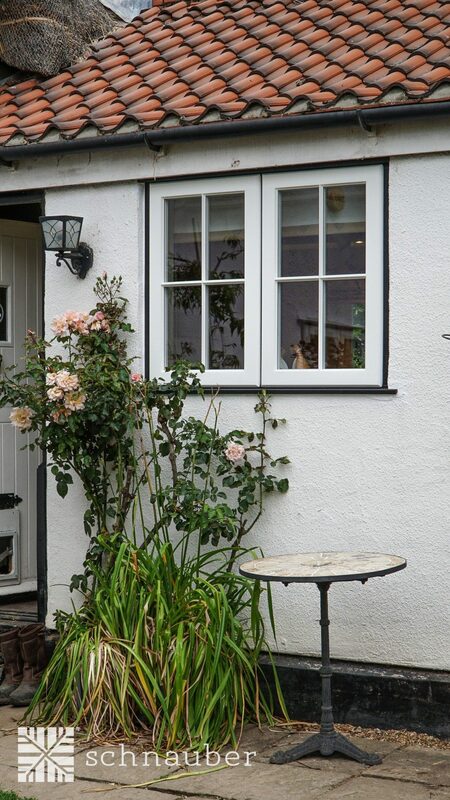 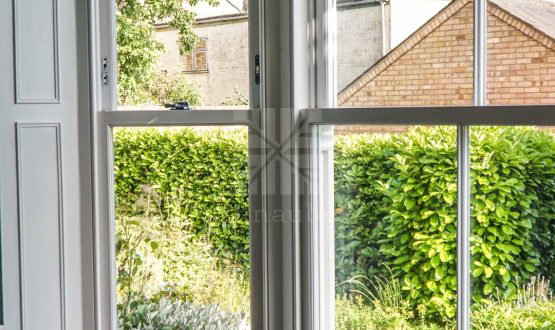 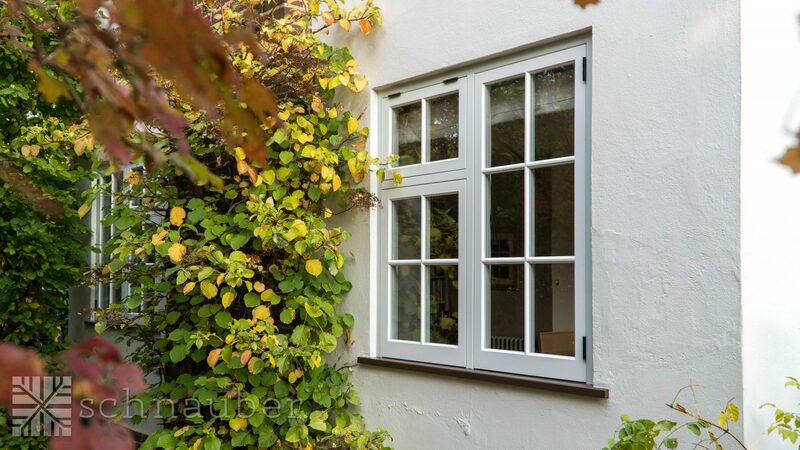 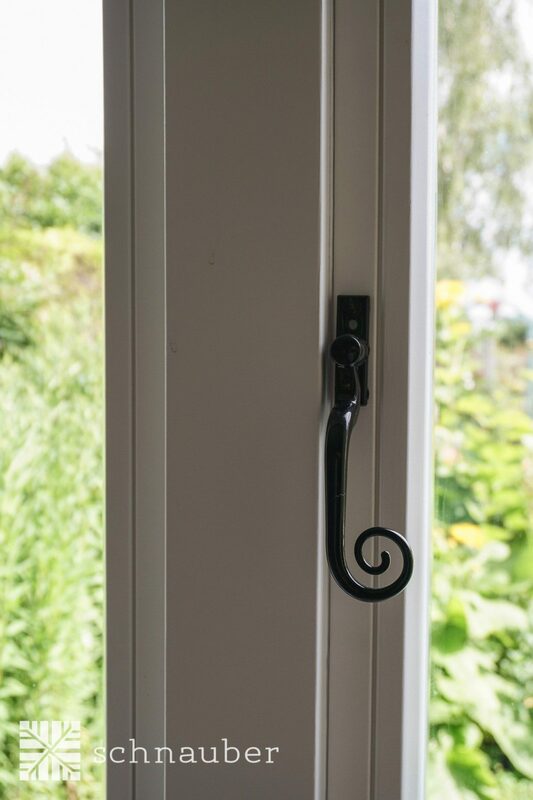 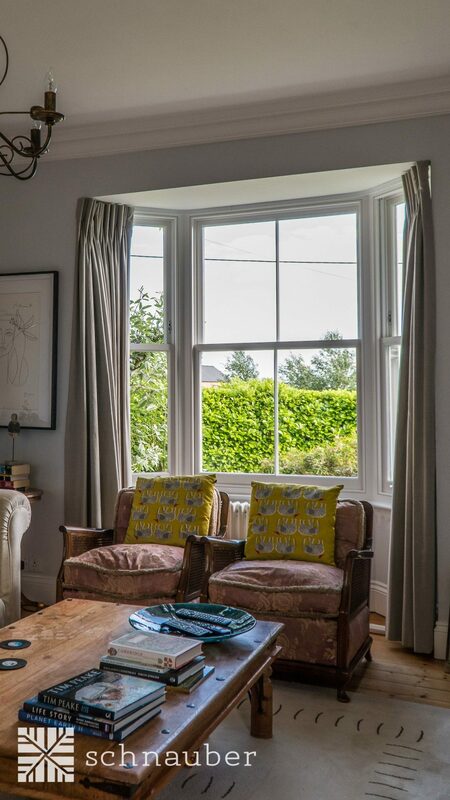 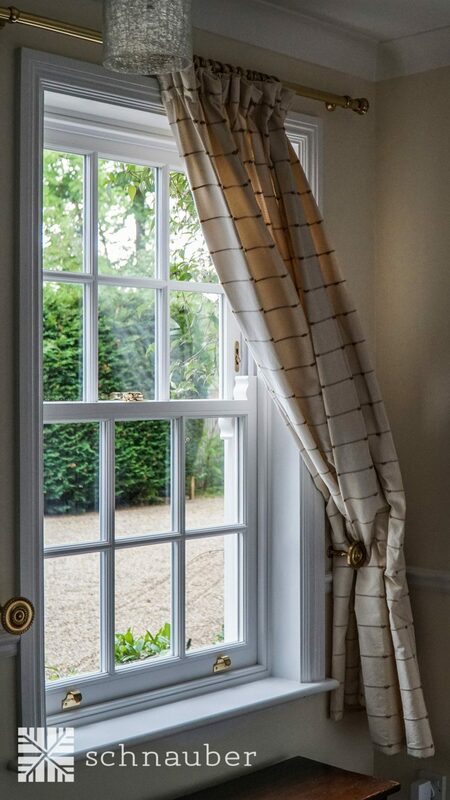 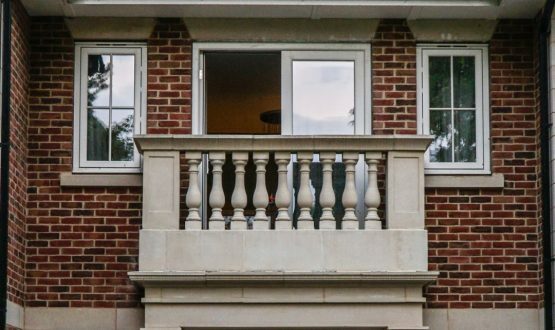 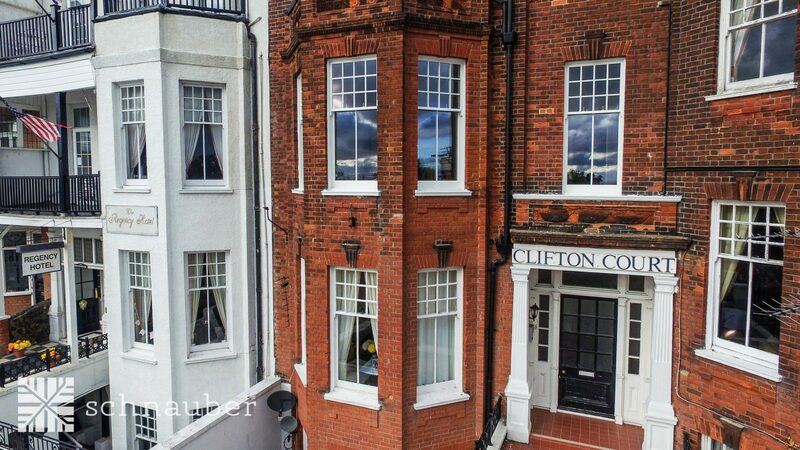 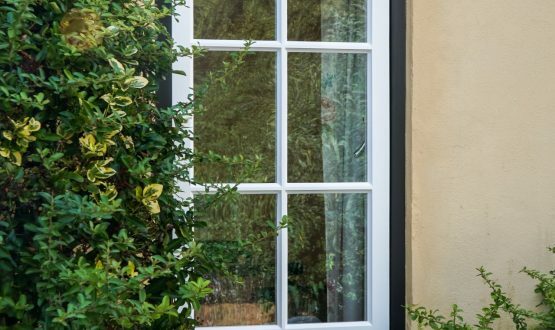 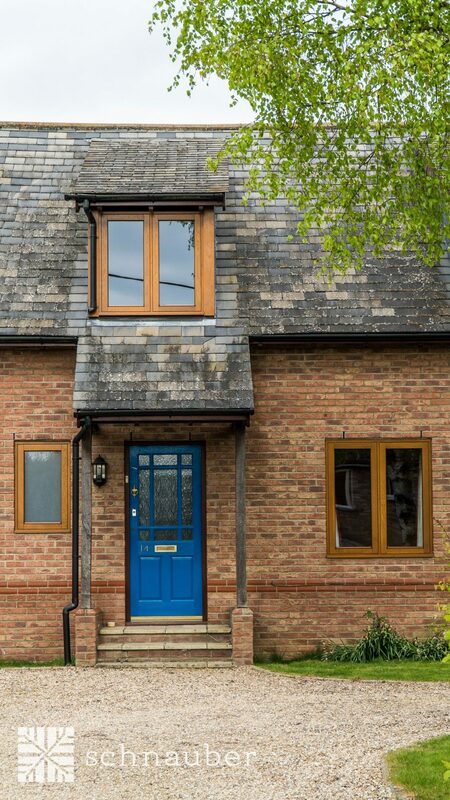 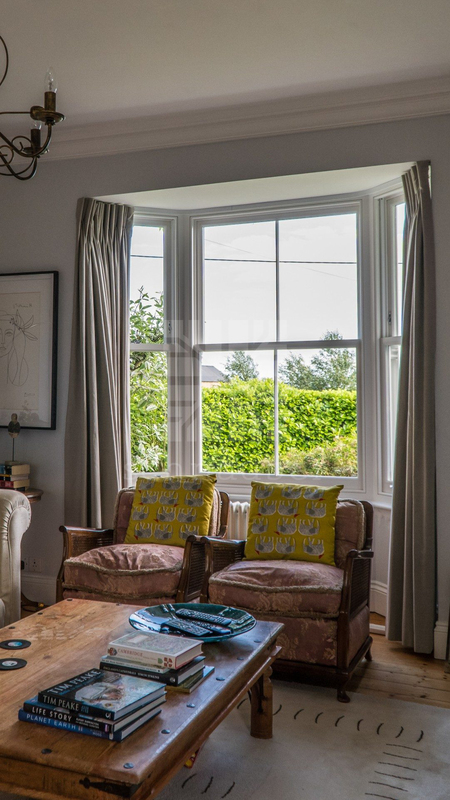 All our bespoke aluminium clad timber windows are affordable and meticulously crafted to last. 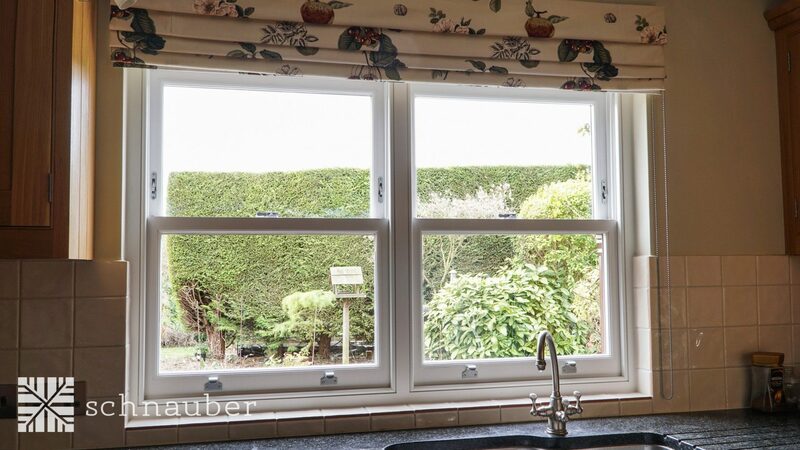 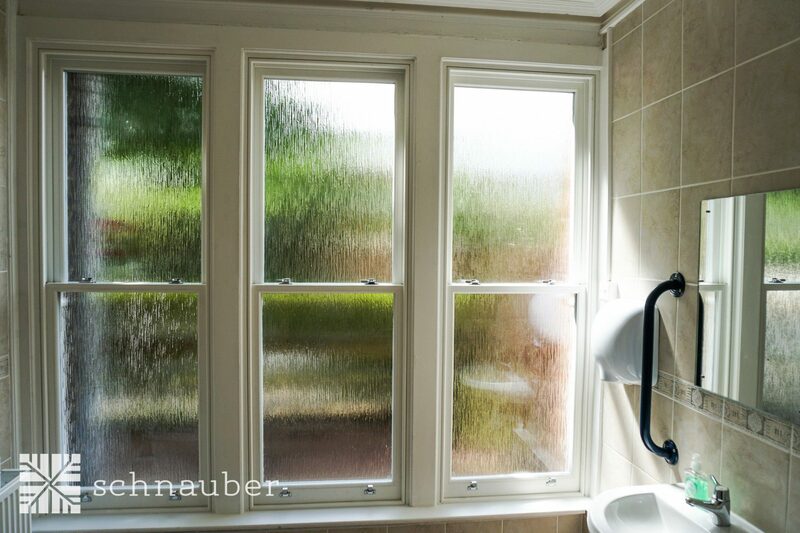 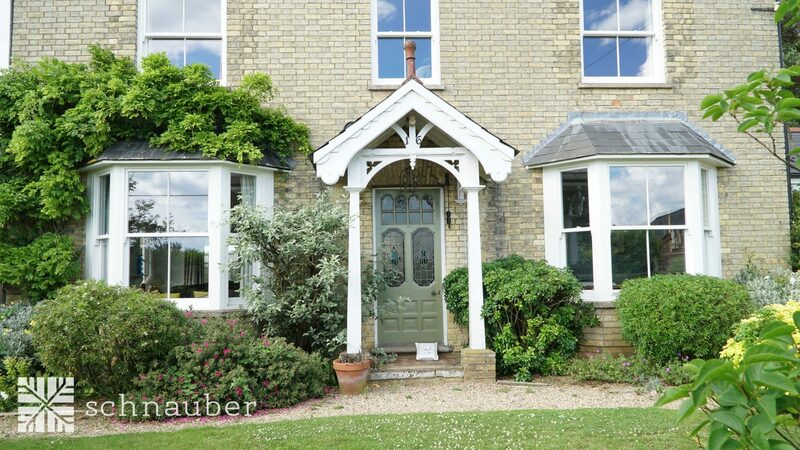 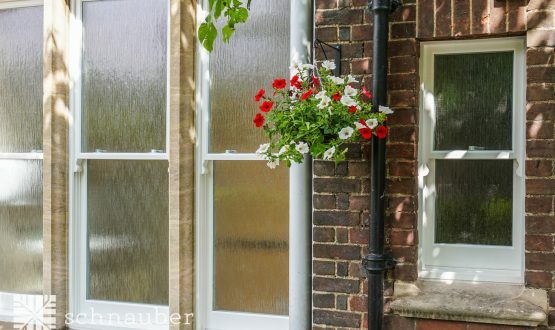 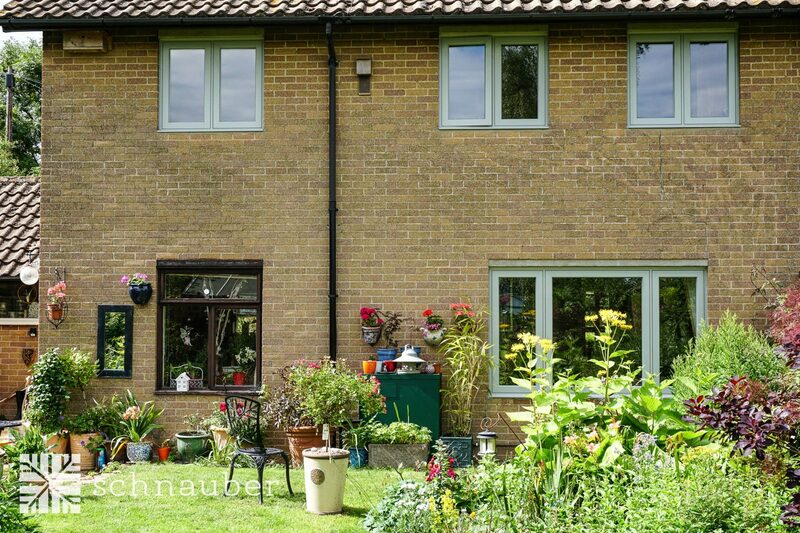 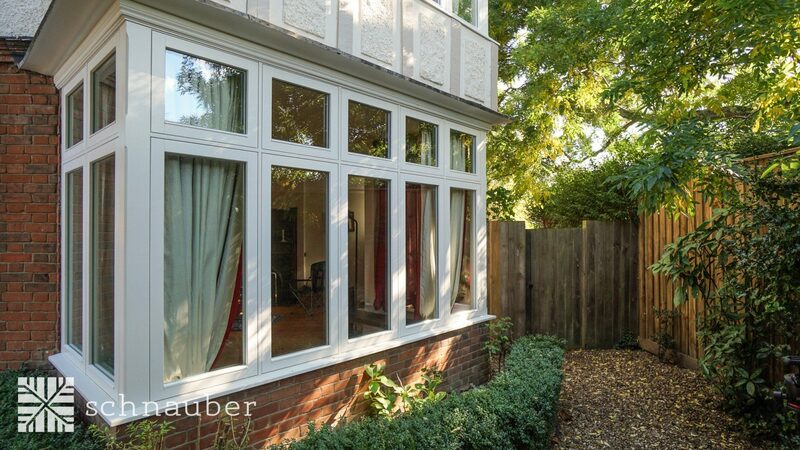 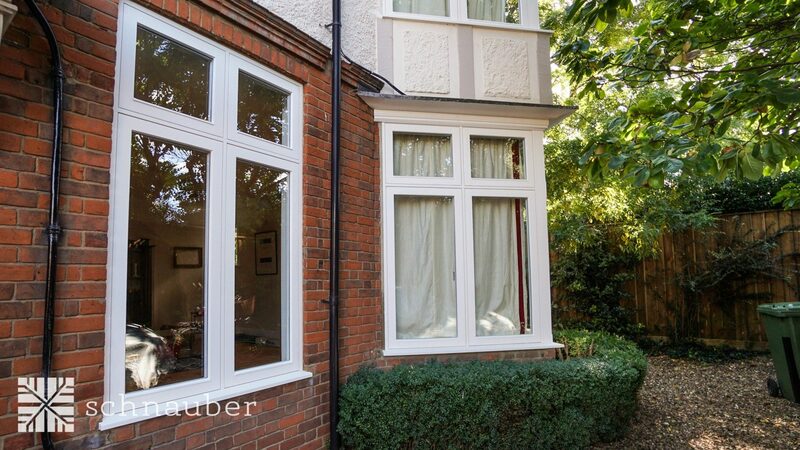 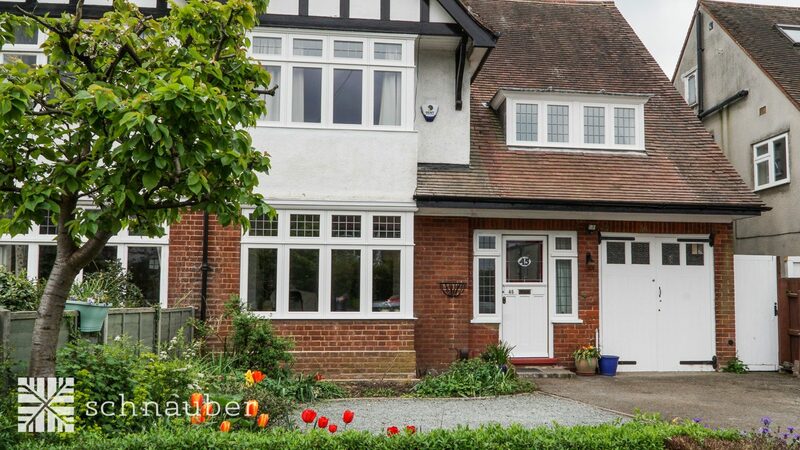 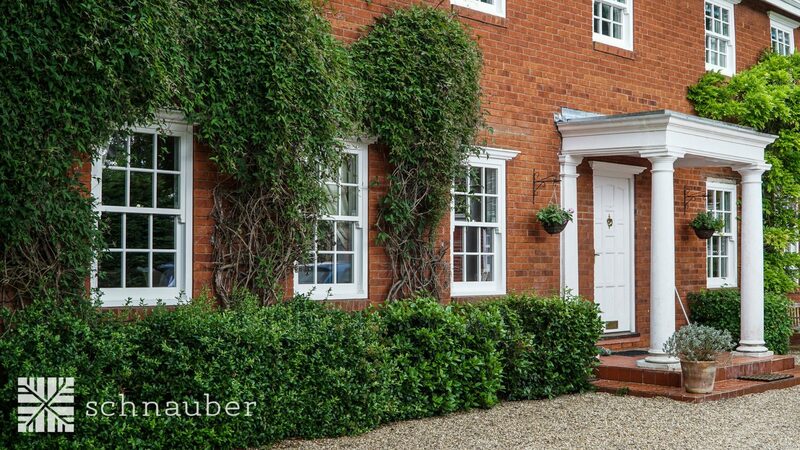 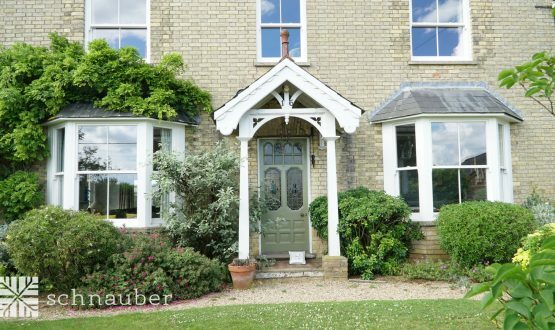 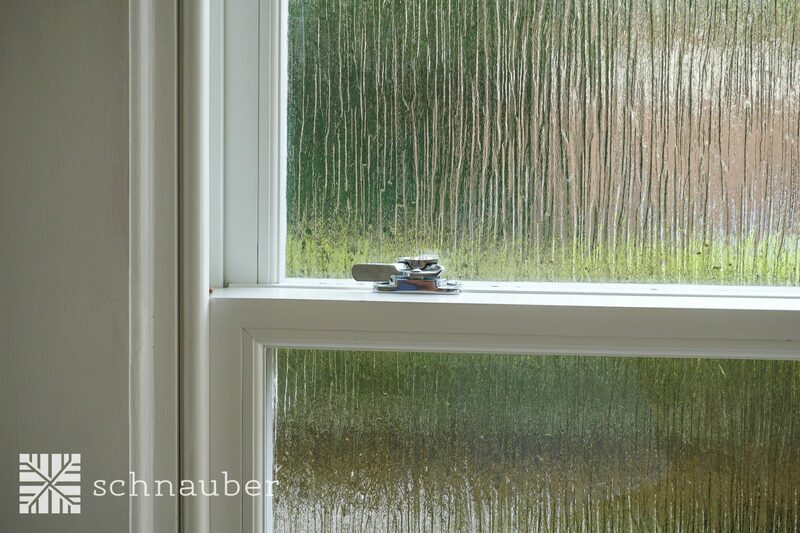 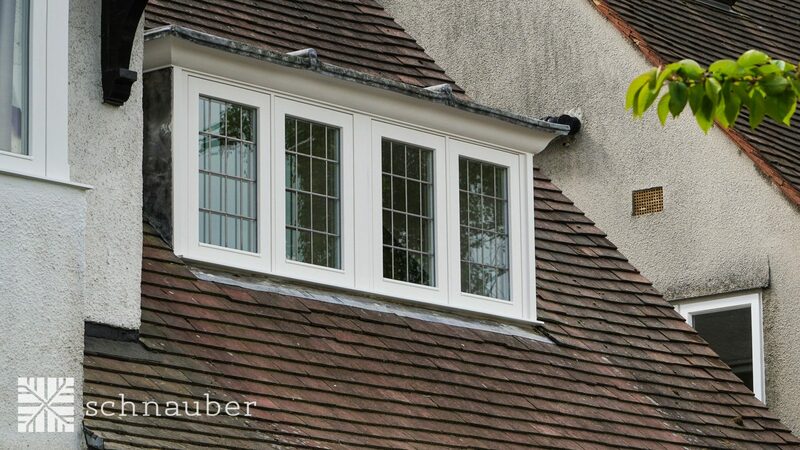 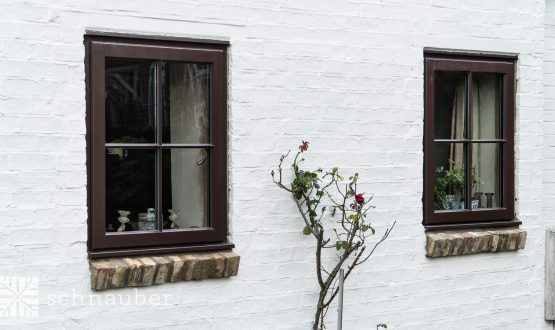 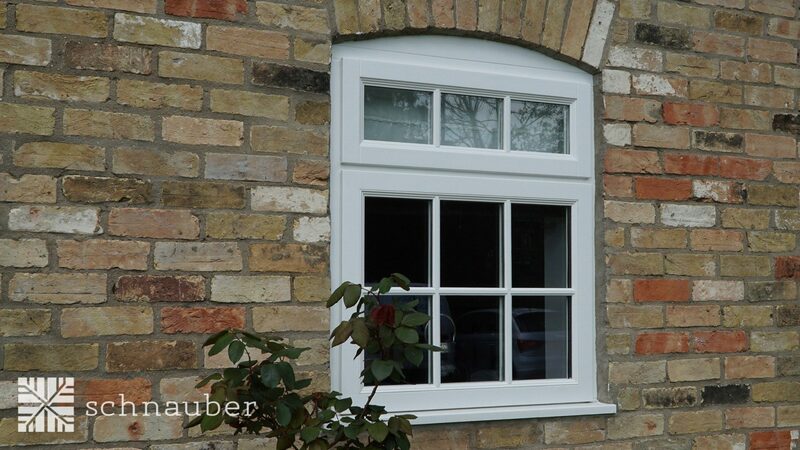 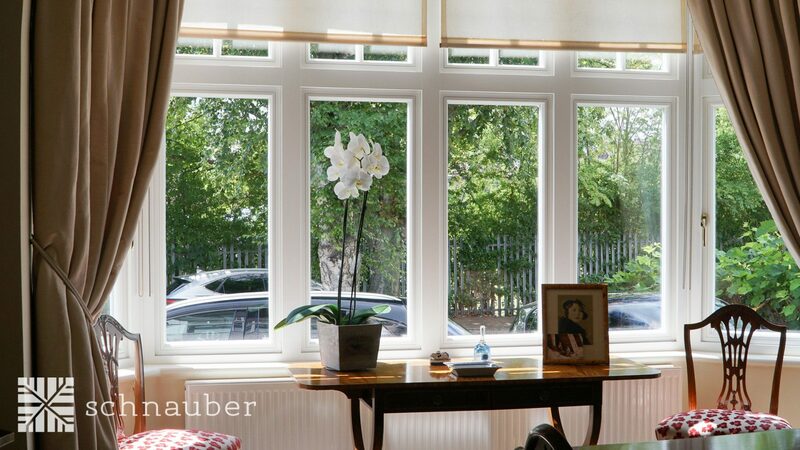 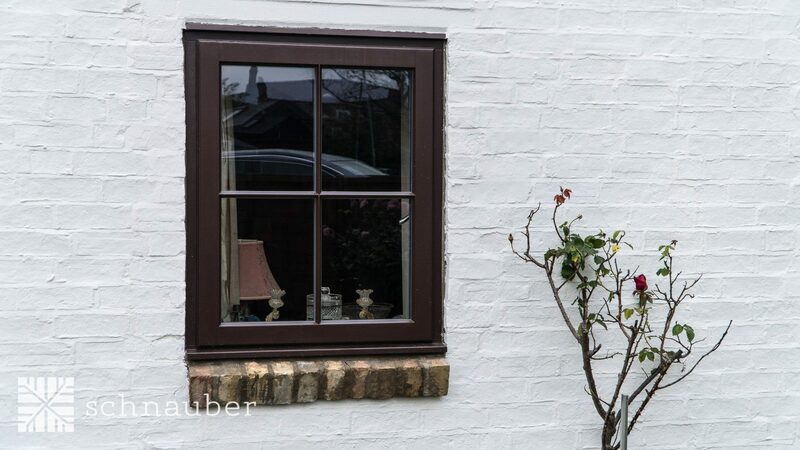 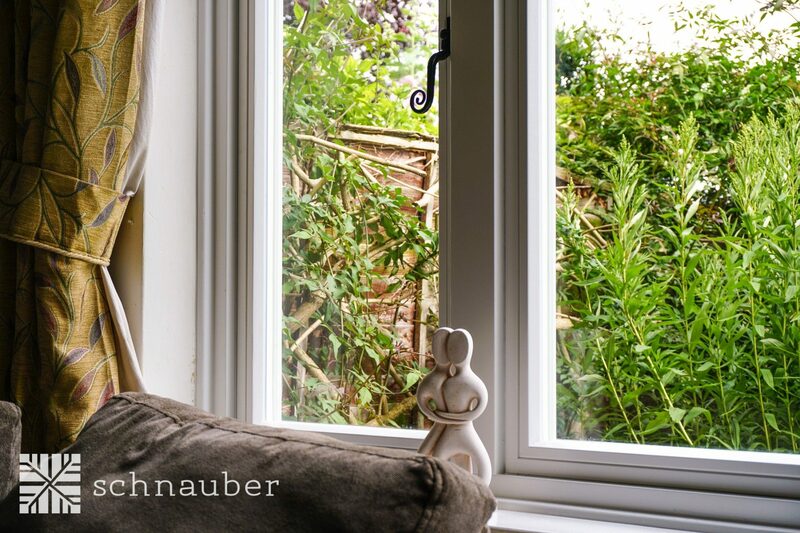 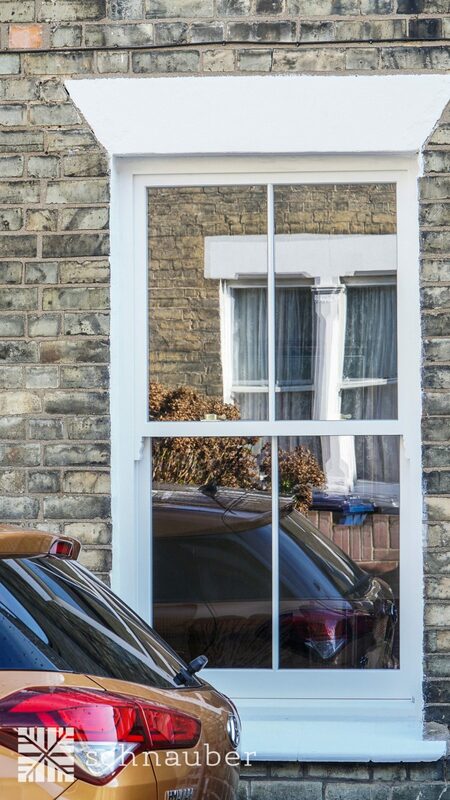 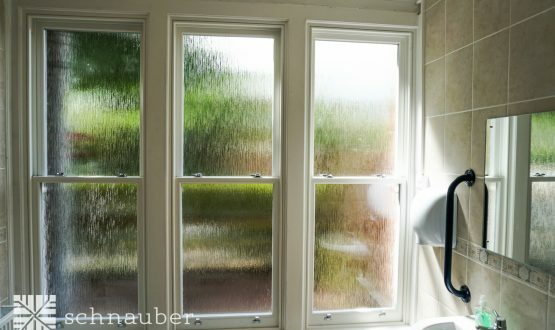 Schnauber aluminium-clad timber windows provide customers with a wide range of design, colour and glazing options. 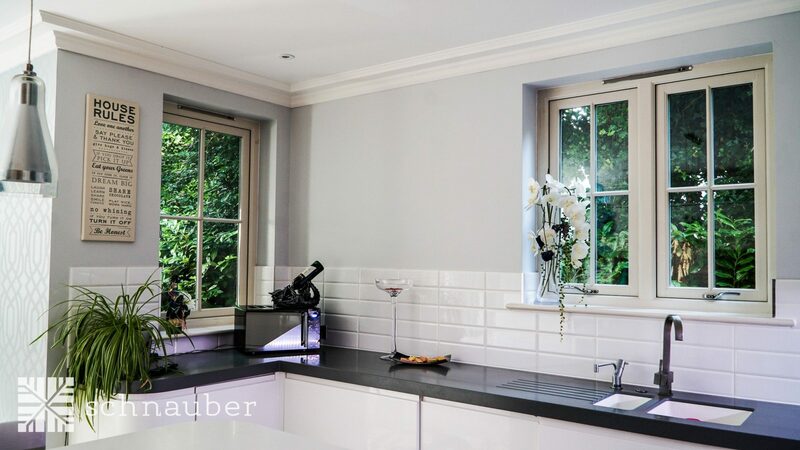 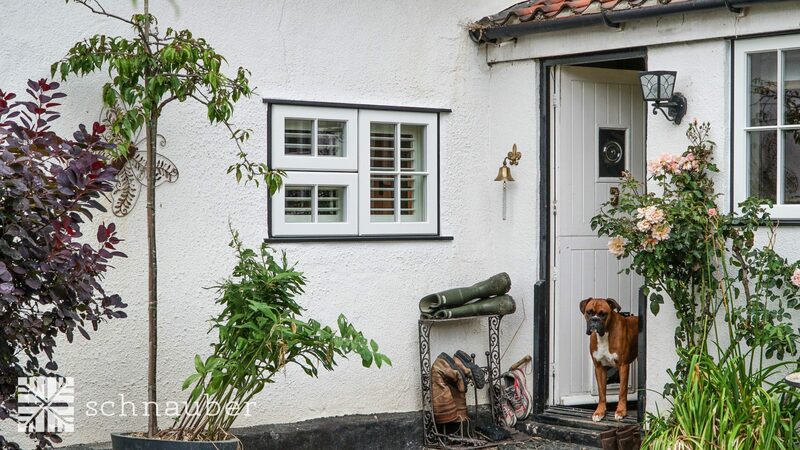 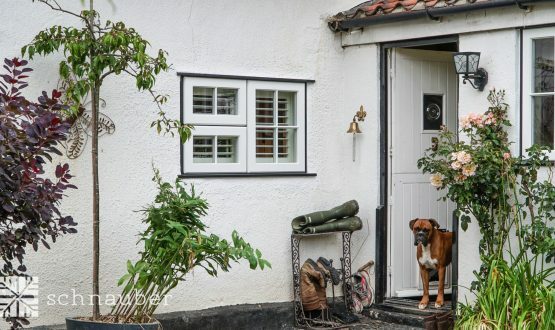 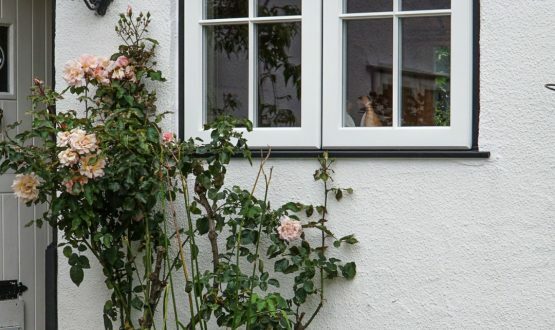 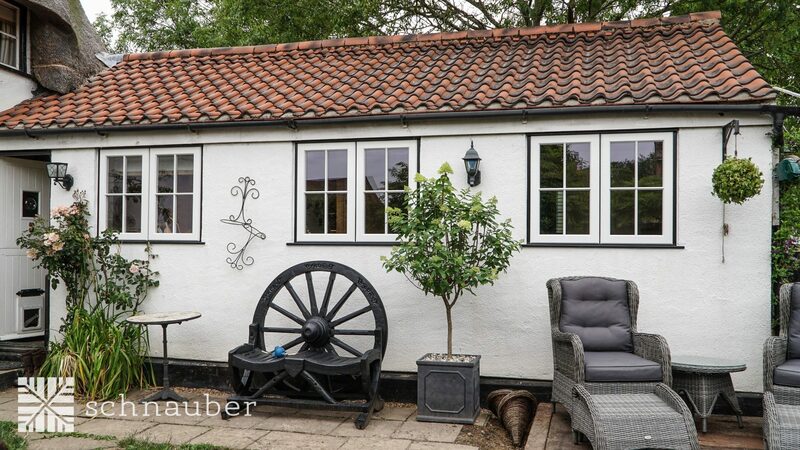 Every Schnauber aluminium clad timber window is cost-effective as it combines the best species of timber frames on the inside with a protective aluminium shell on the outside. 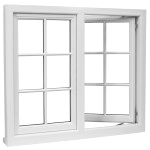 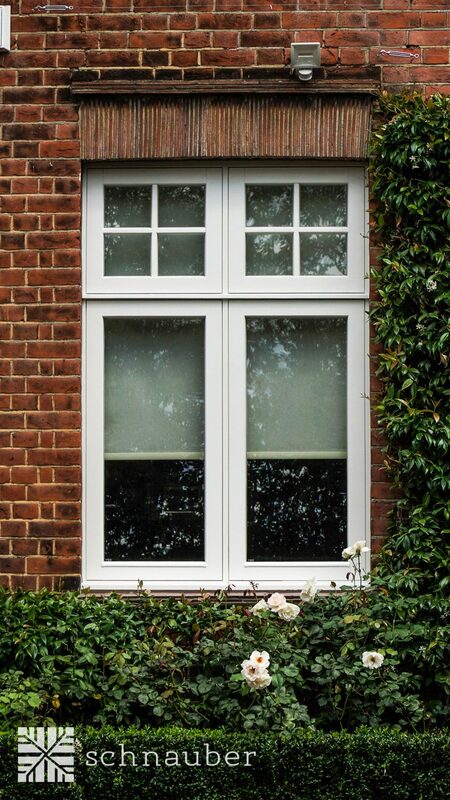 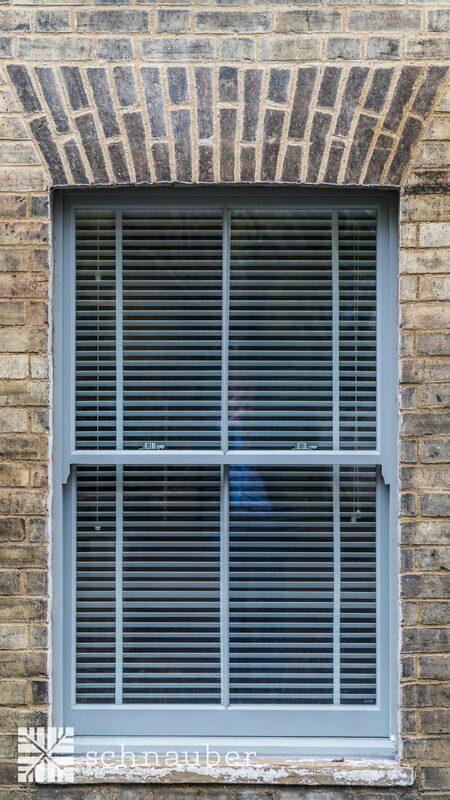 Aluminium Cover Timber windows What is an Aluminium-Clad Timber window? 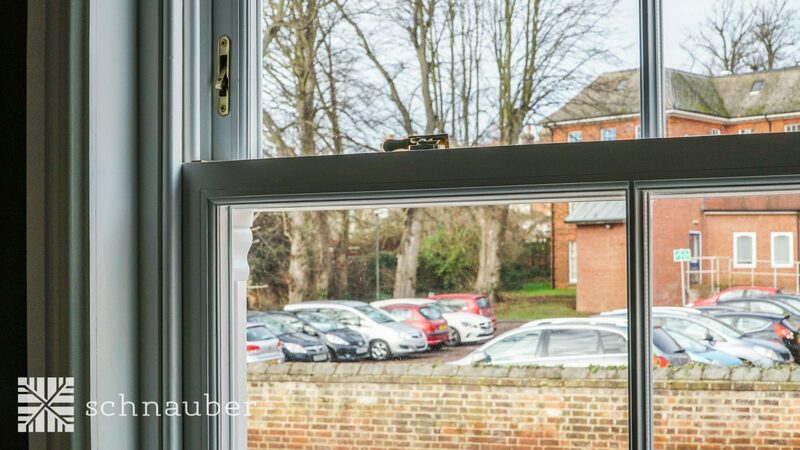 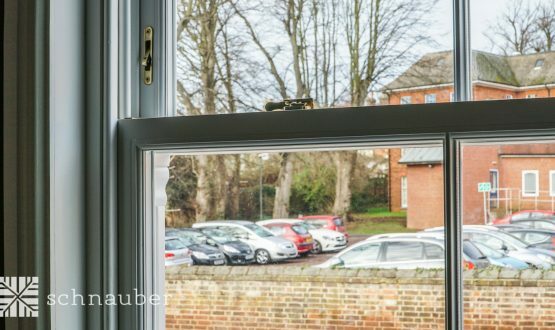 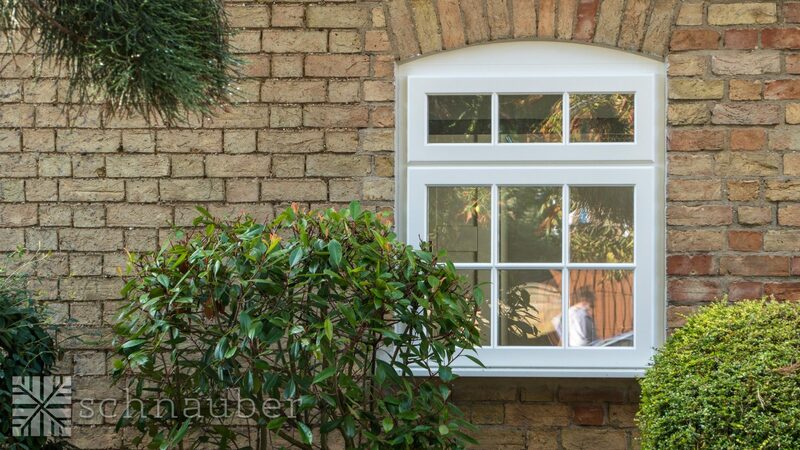 Schnauber’s aluminium-clad wooden windows offer the benefits of timber window frames combined with the increased durability of aluminium. 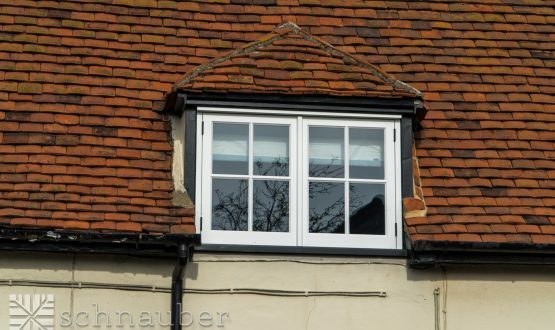 The interior of the window frame is constructed from timber. 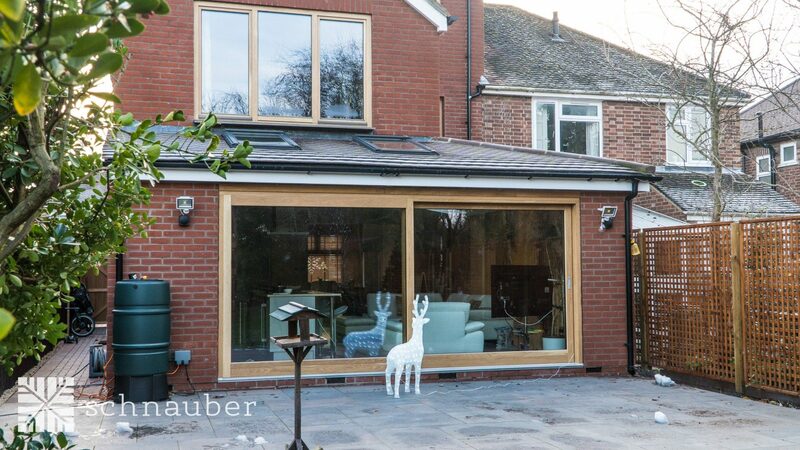 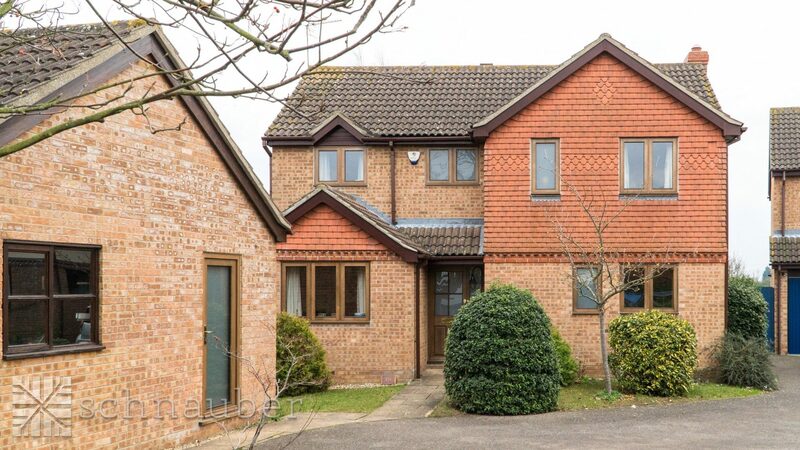 The timber is clad with high quality aluminium providing a tough, durable exterior. 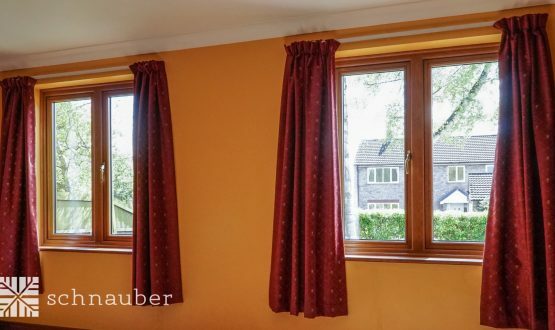 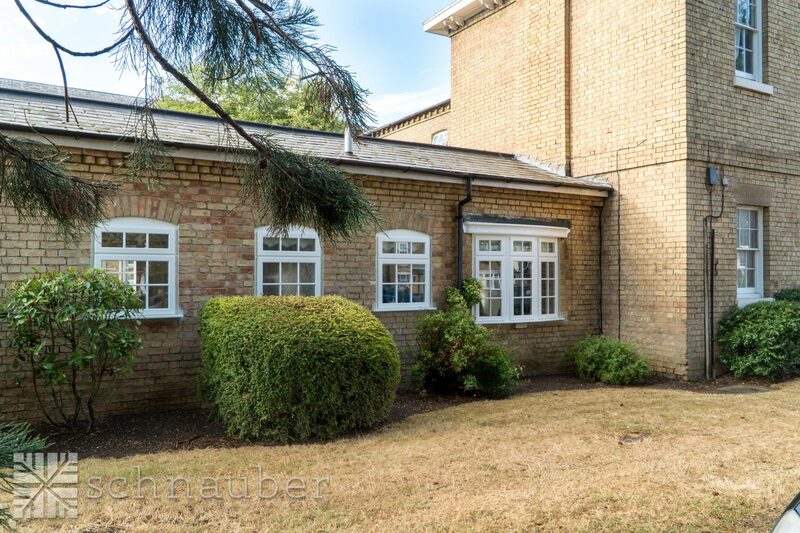 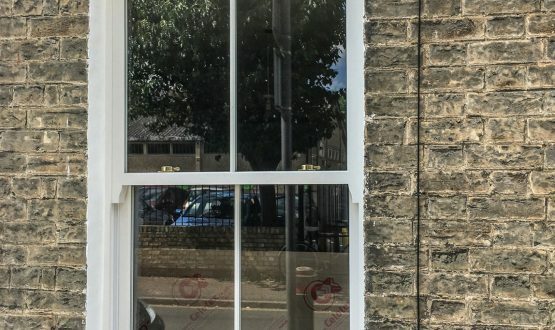 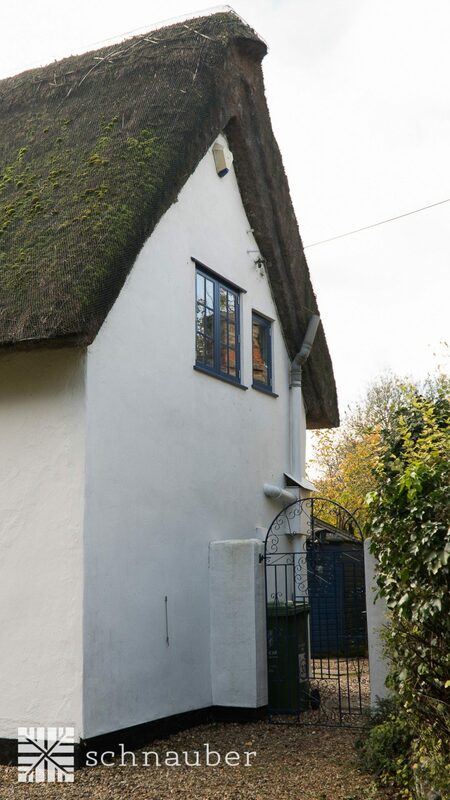 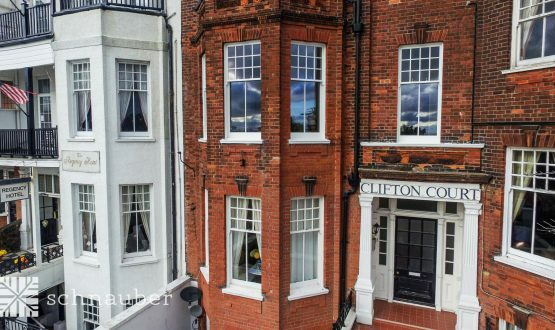 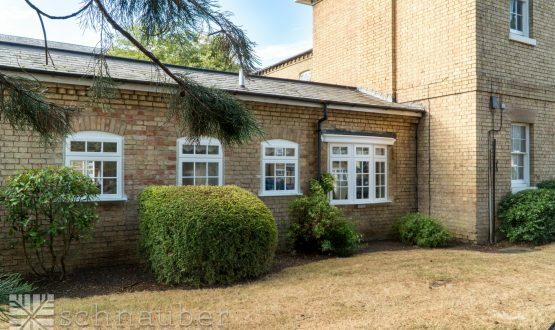 Where would I install an Aluminium-Clad Timber window? 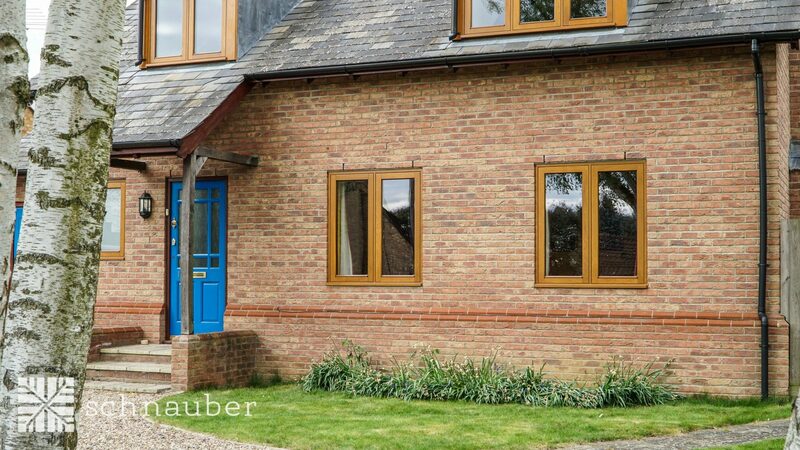 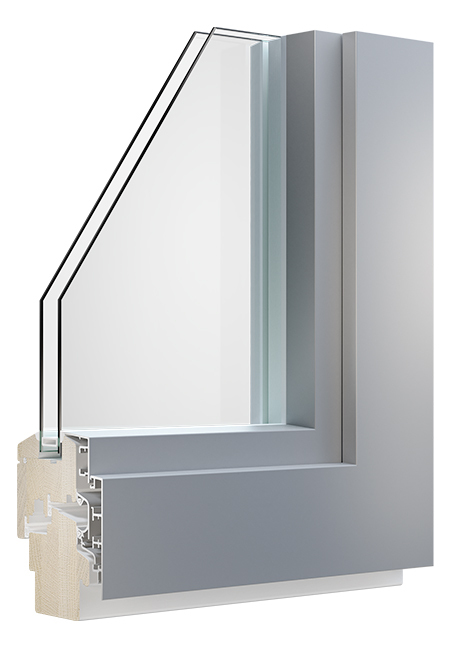 Schnauber’s Aluminium-Clad Timber windows are available in many types of window style – casement, tilt and turn and Passive House certified. 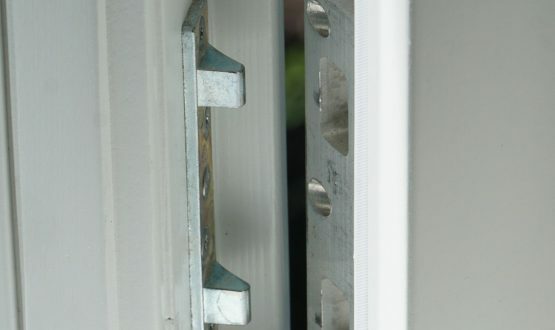 These products should be installed in properties that are exposed to severe weather conditions, including temperature fluctuations, high levels of driving rain and exposure to high wind velocities. 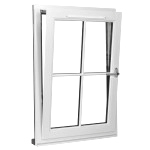 Typically Aluminium-Clad windows are used in contemporary buildings, due to their sleek and modern appearance. 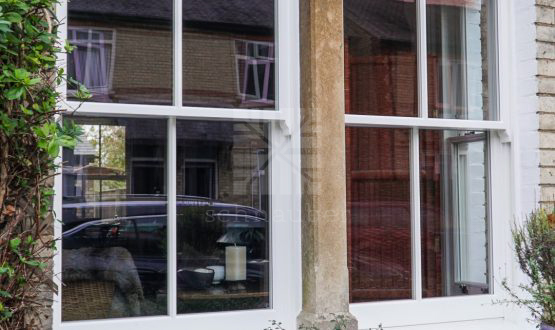 This visual quality and performance makes them ideal for use within commercial properties too, including restaurants, offices and visitor centres. 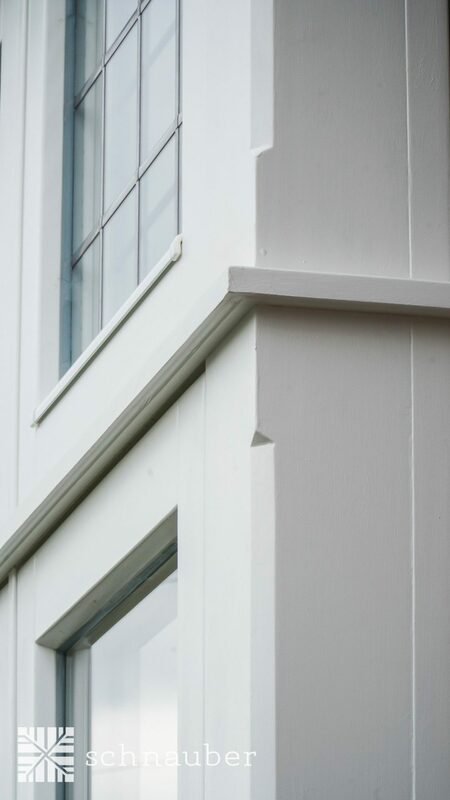 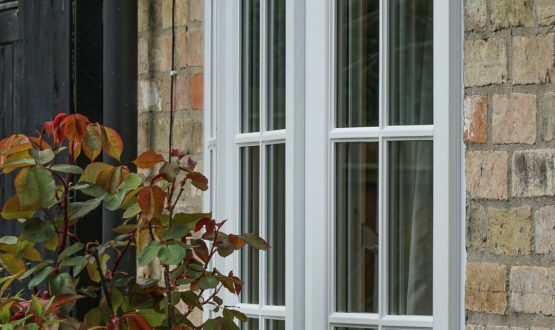 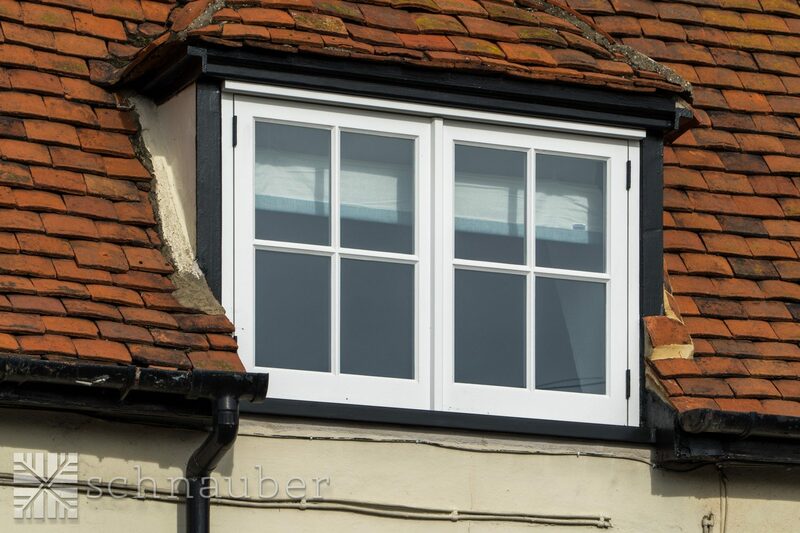 Why would I choose timber Aluminium-Clad Timber windows? 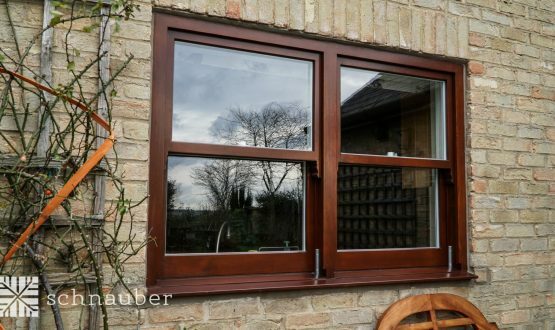 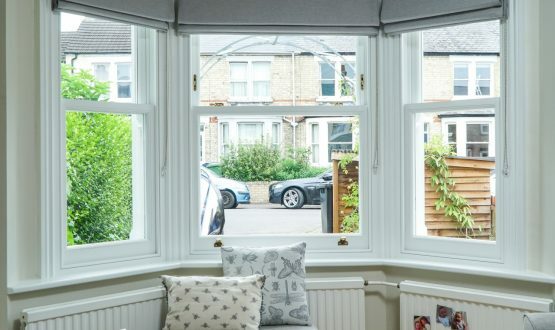 If low maintenance is top of your priority list when it comes to new windows the Aluminium-Clad Timber window is a must. 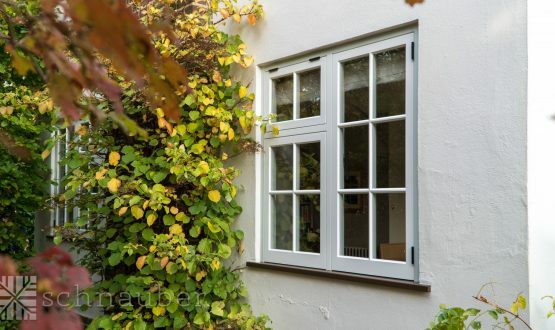 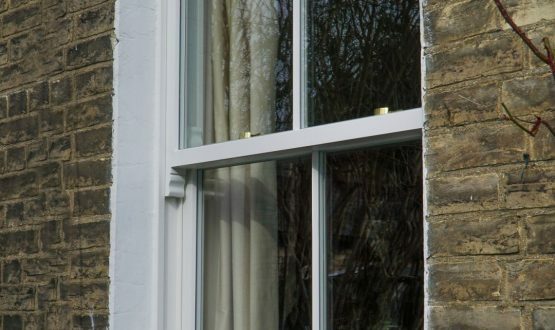 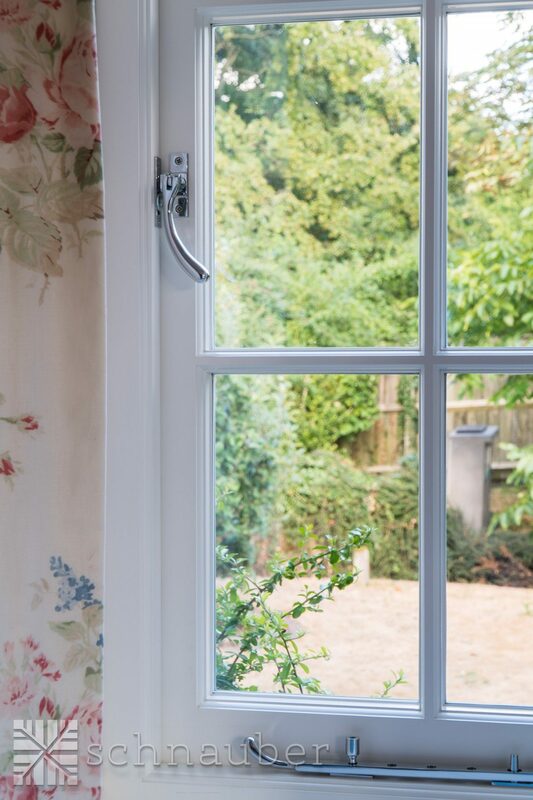 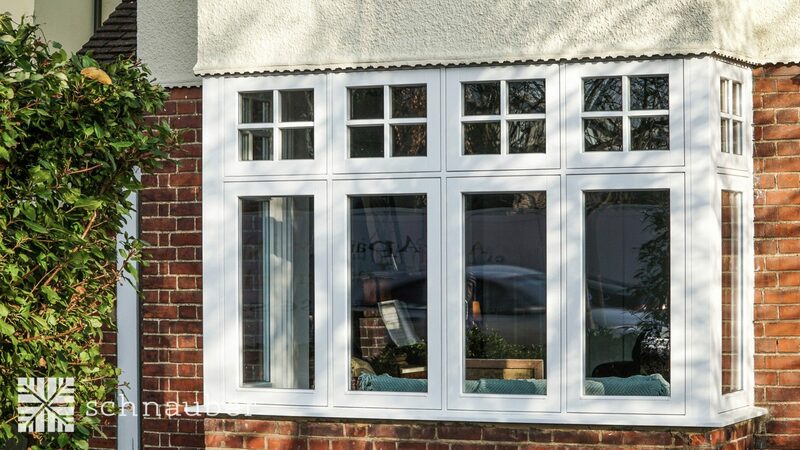 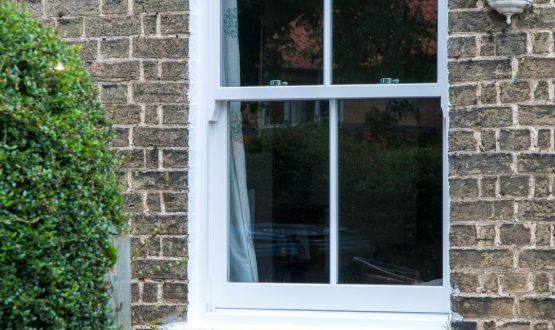 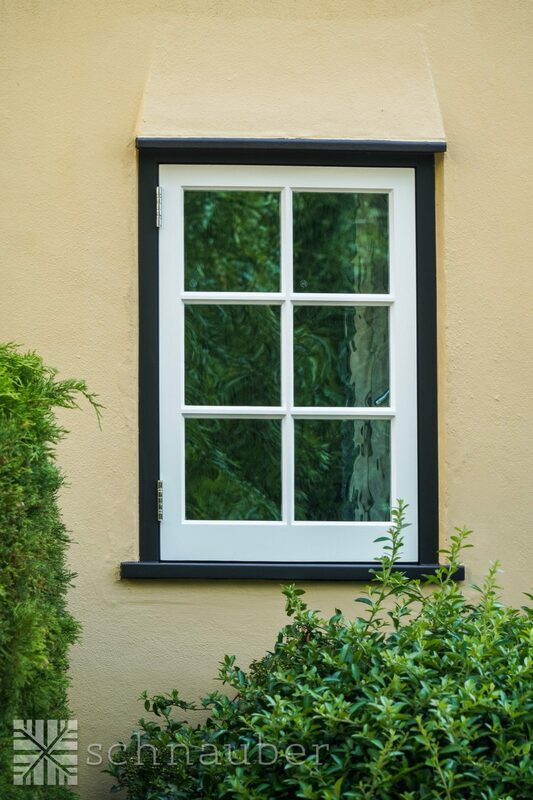 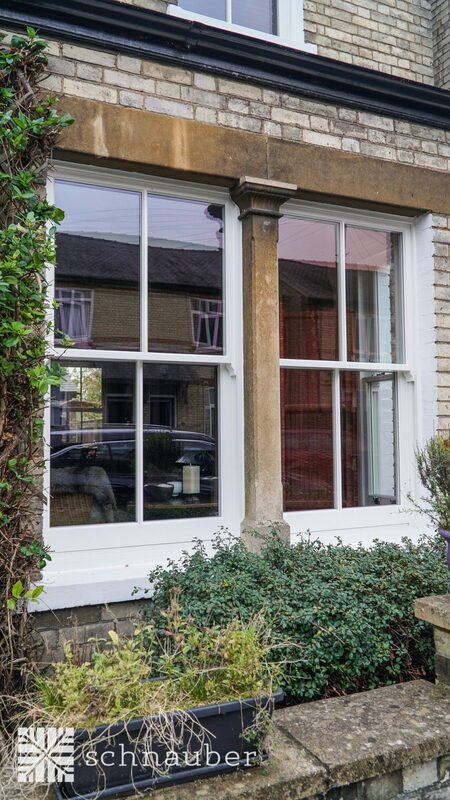 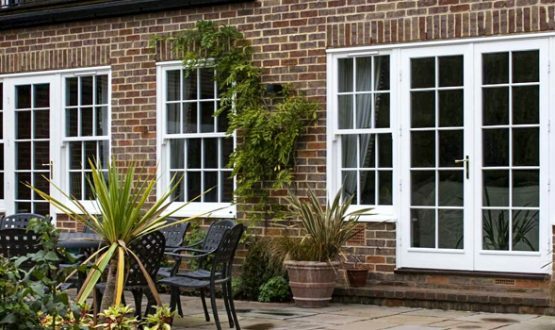 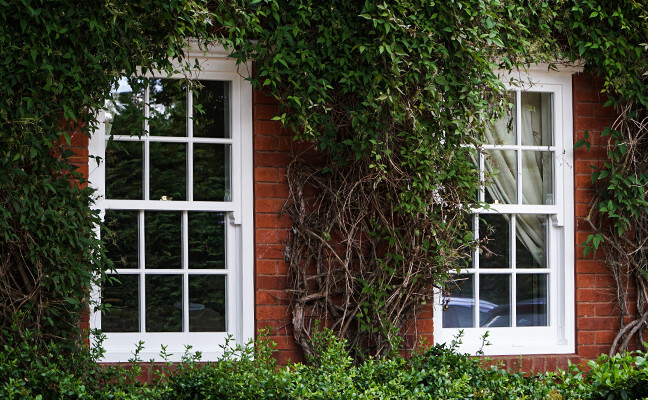 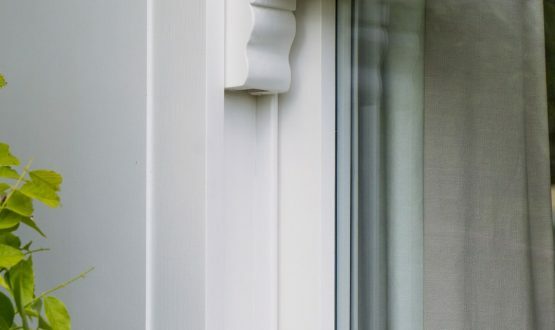 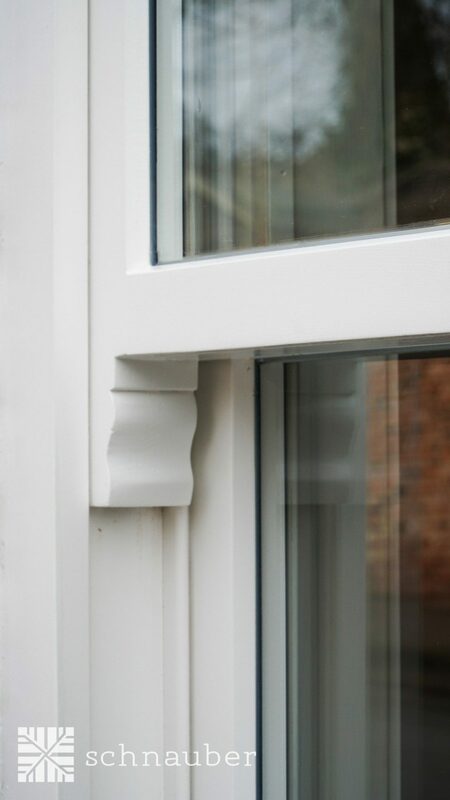 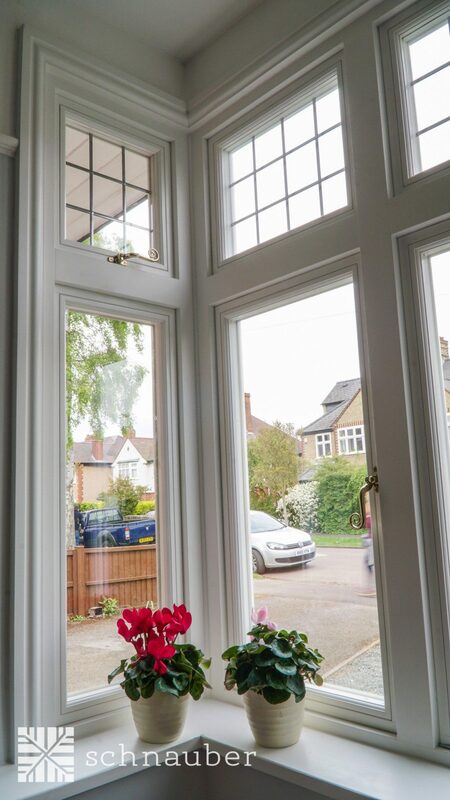 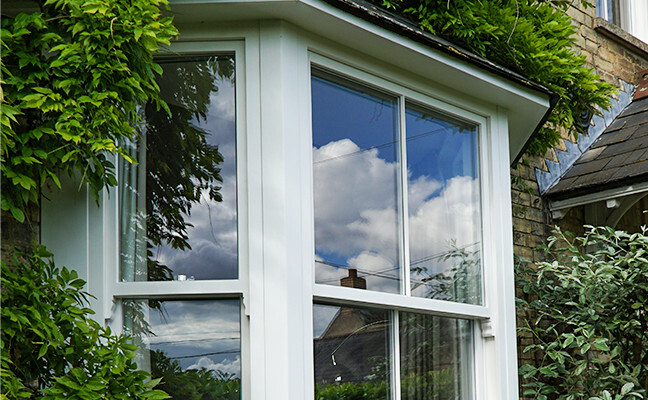 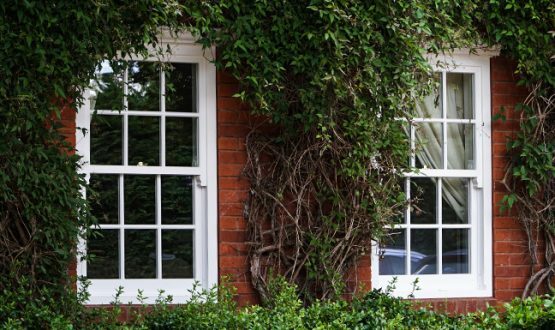 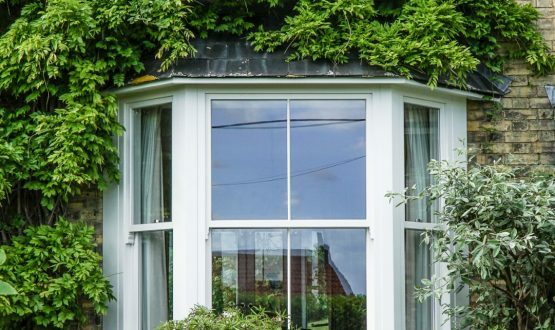 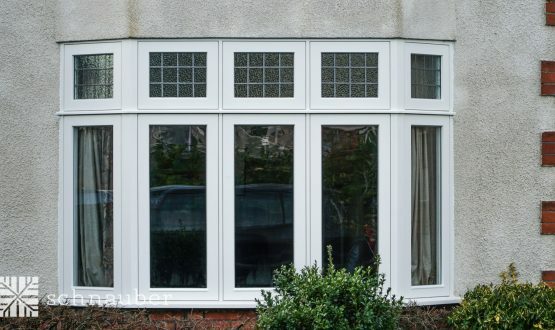 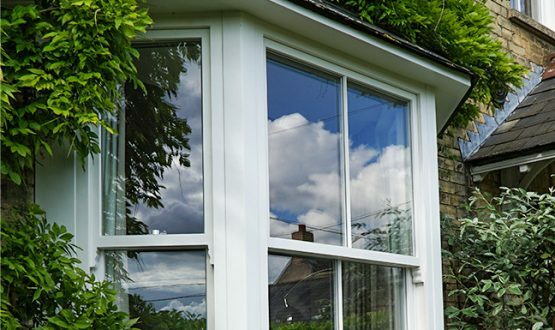 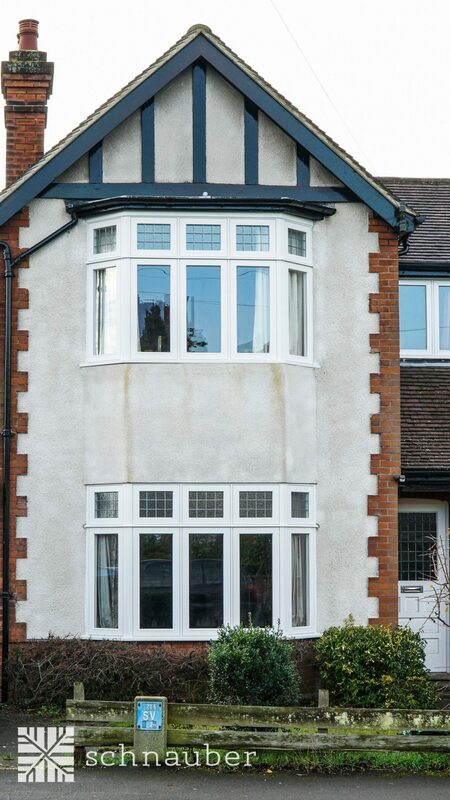 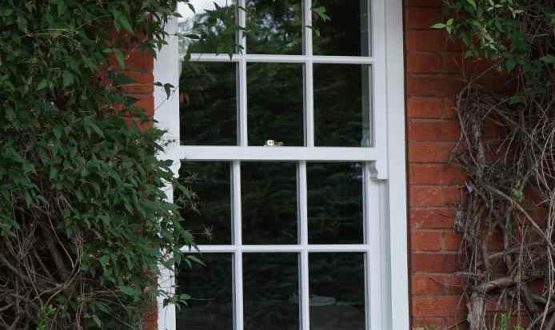 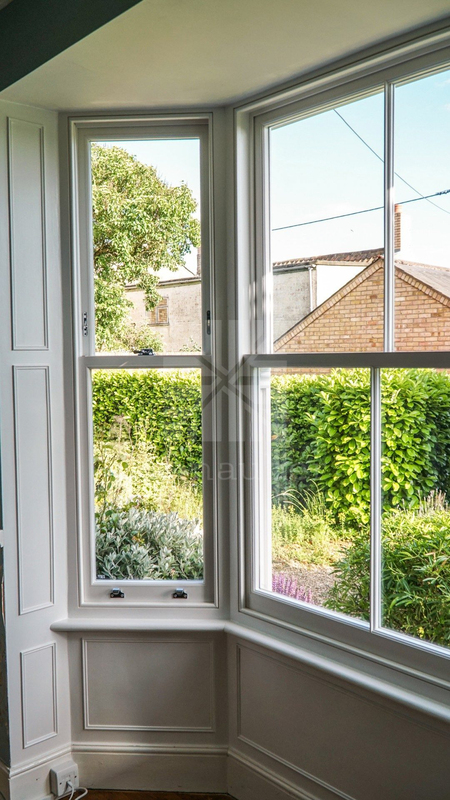 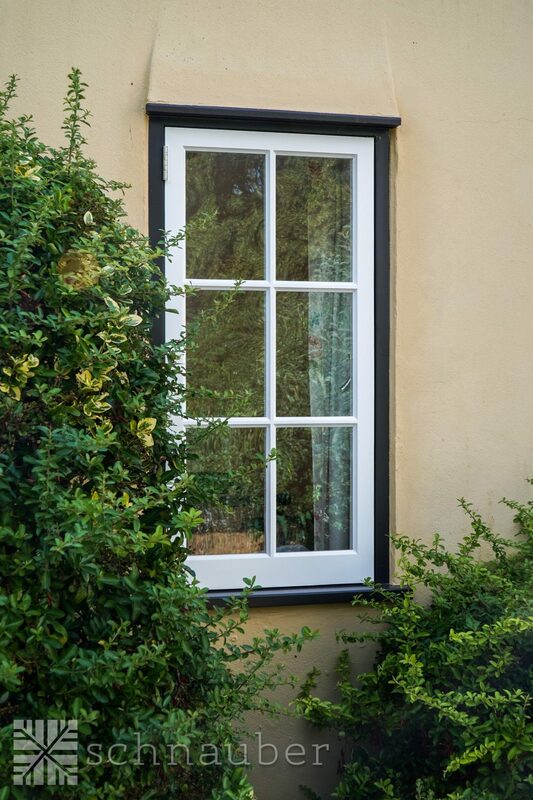 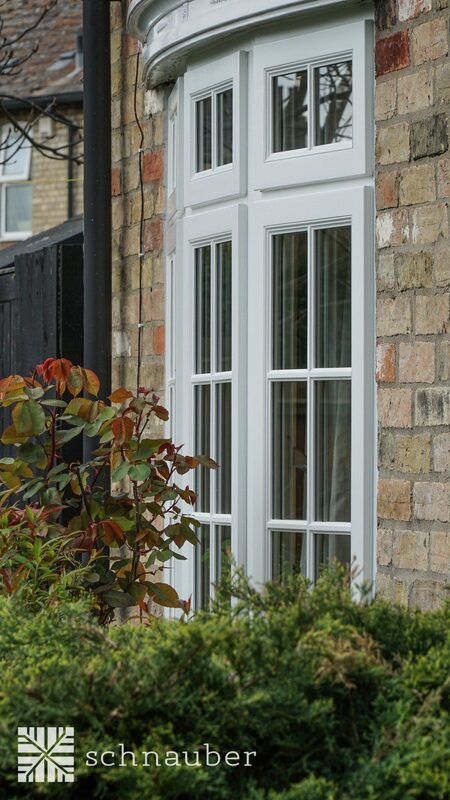 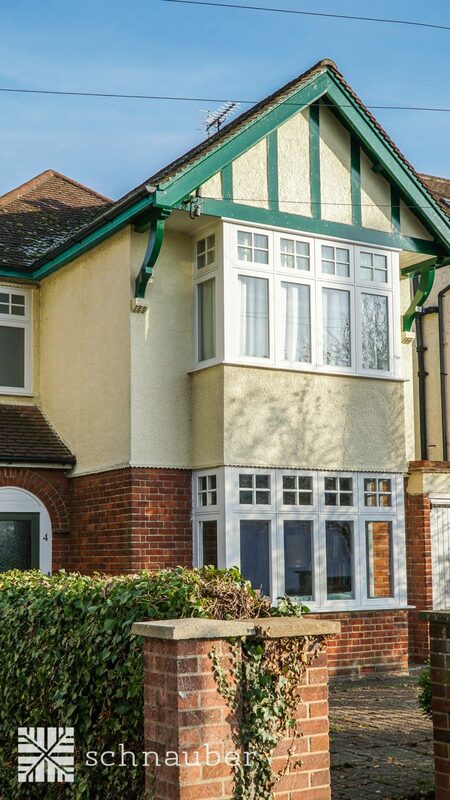 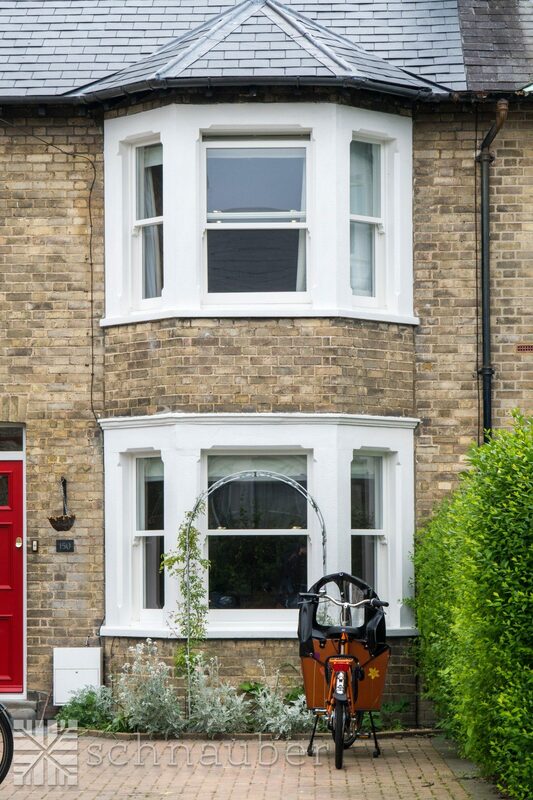 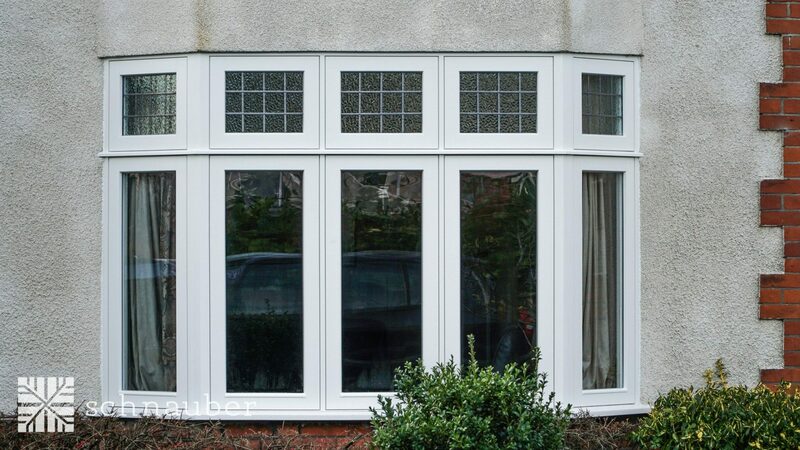 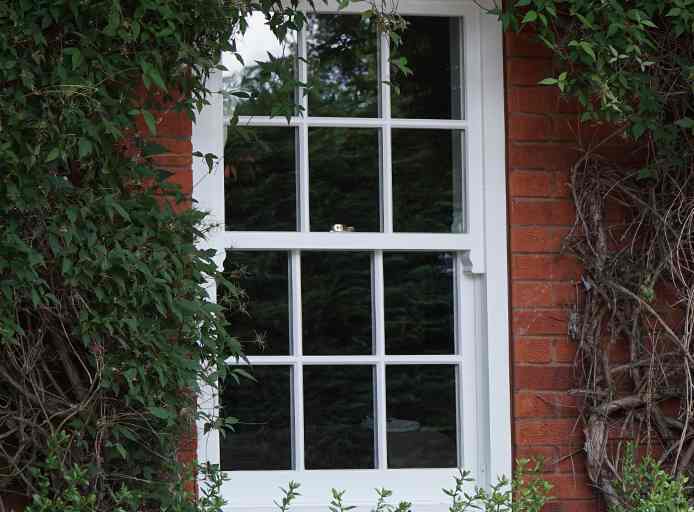 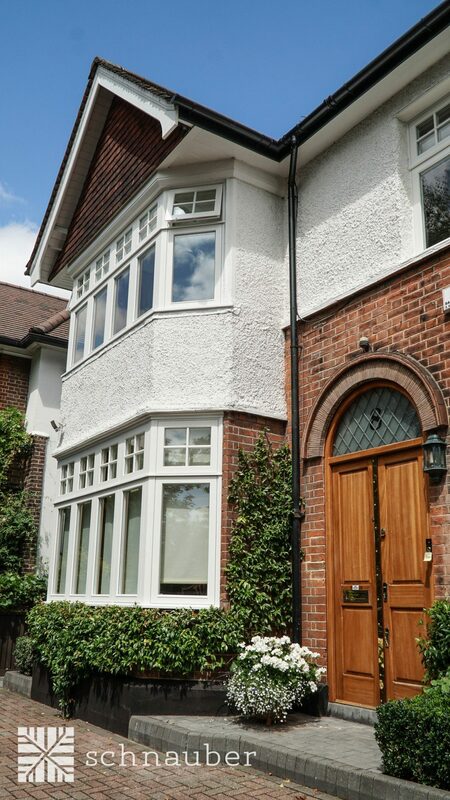 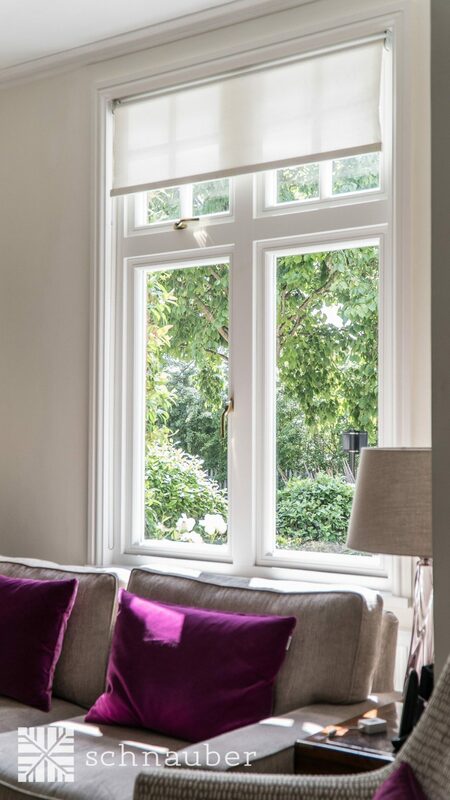 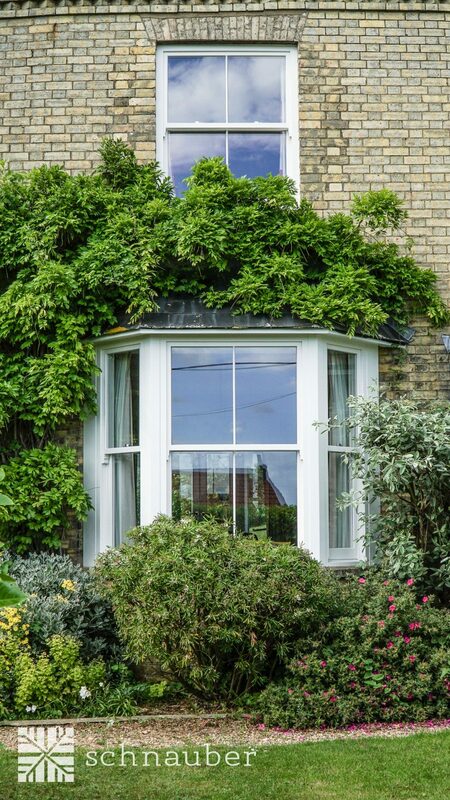 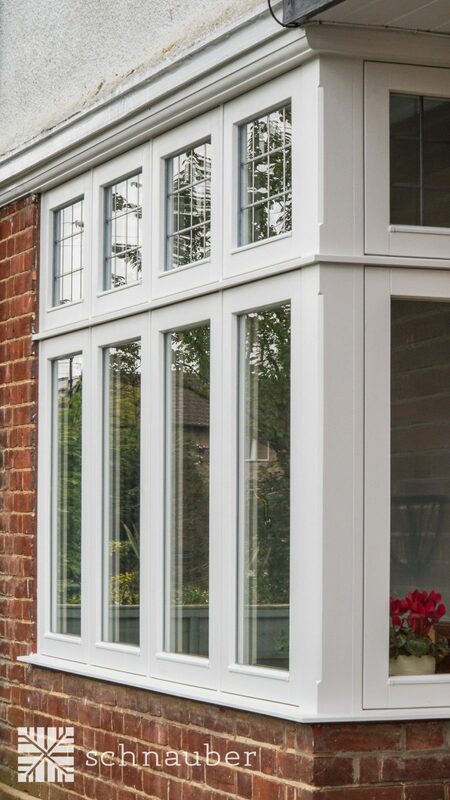 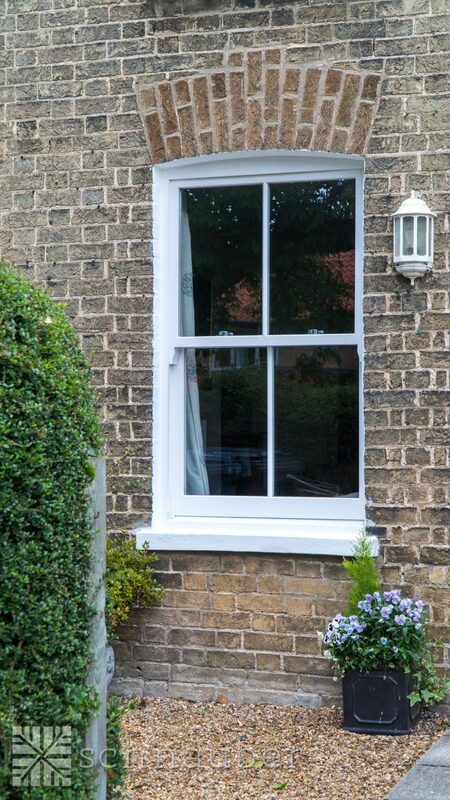 The use of high quality aluminium extends the life of timber windows by over a decade. 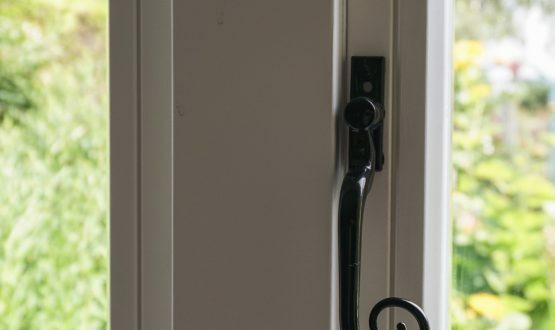 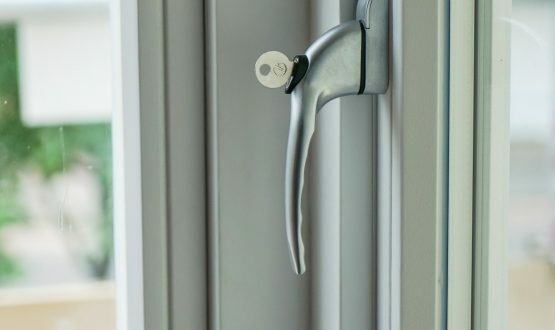 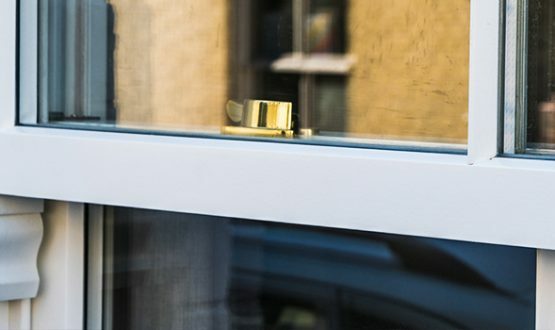 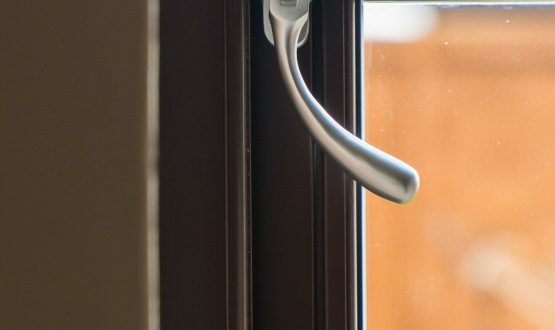 Innovative locking mechanisms, offering an enhanced security performance compliant with PAS 24:21012, ensures that your property stays safe and secure. 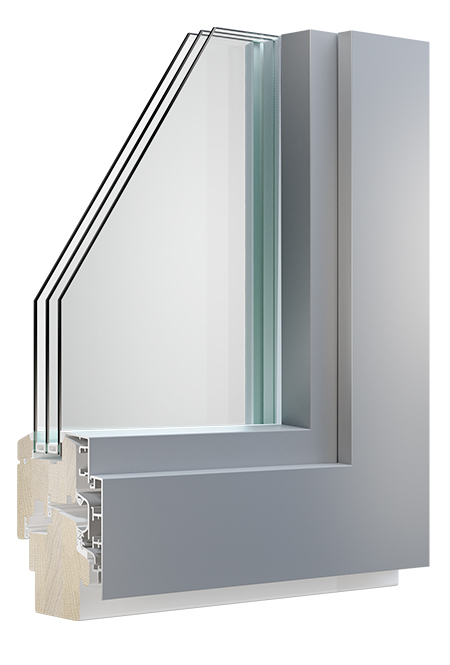 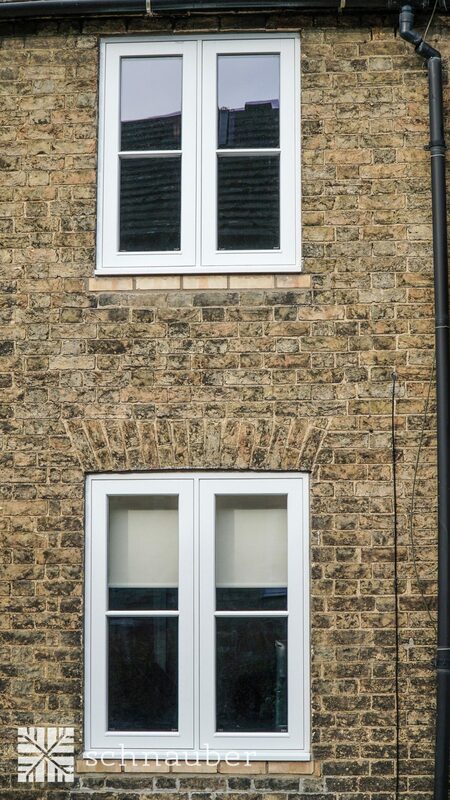 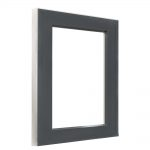 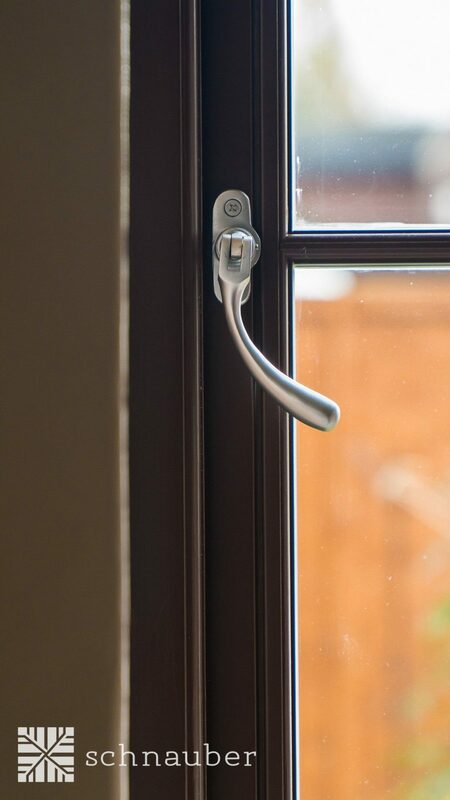 High levels of thermal efficiency with ‘U’ value to 0.99 available from double glazing or choose triple glazing to enhance the ‘U’ value to 0.77. 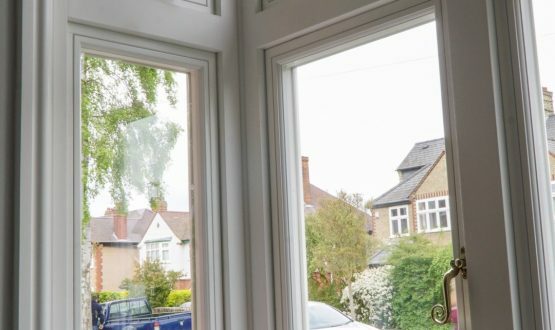 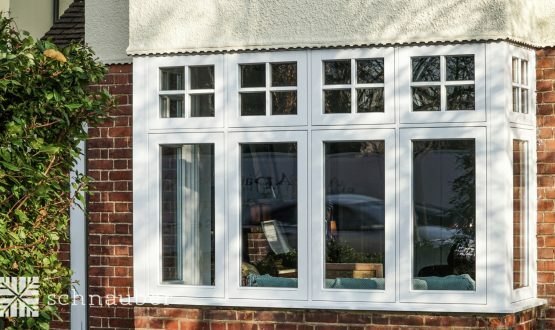 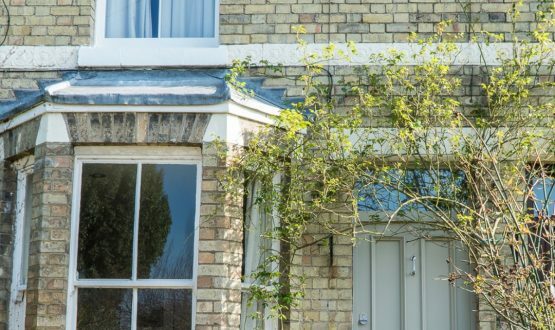 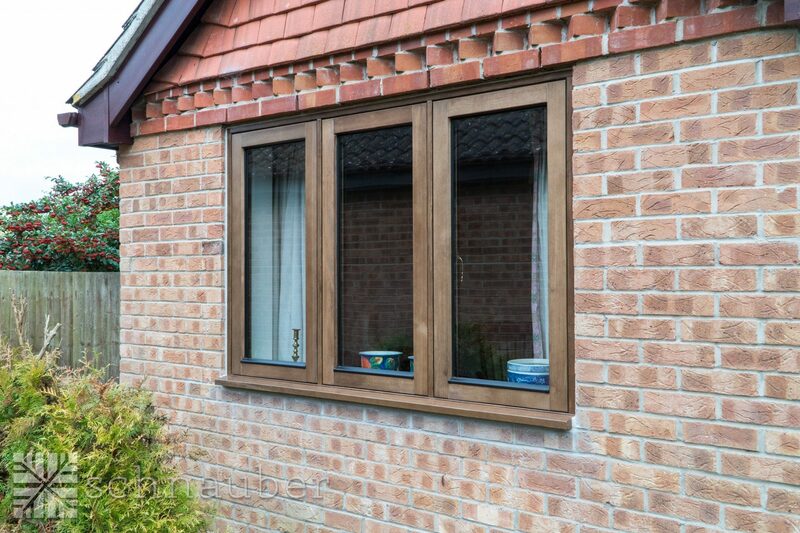 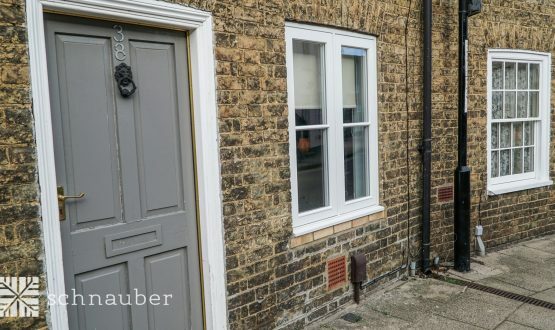 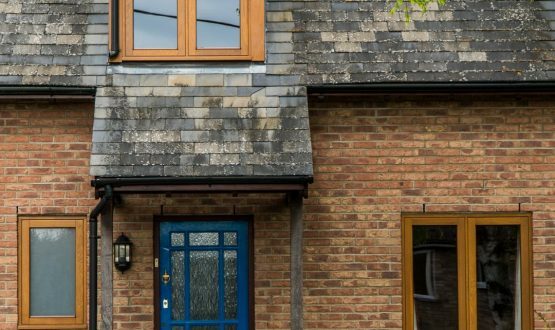 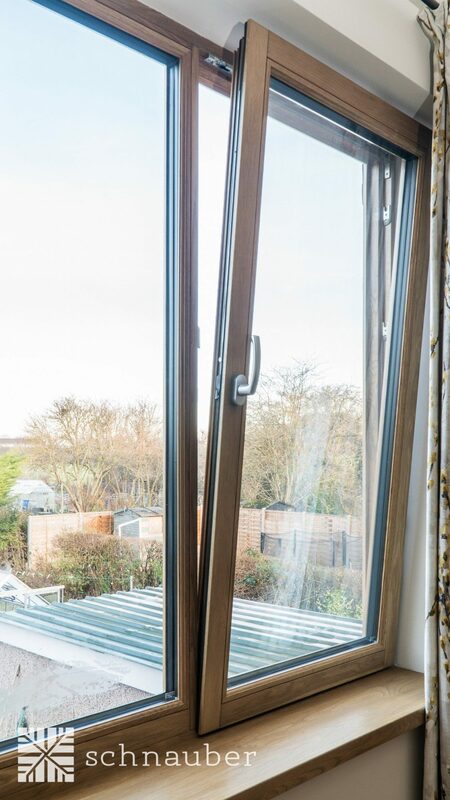 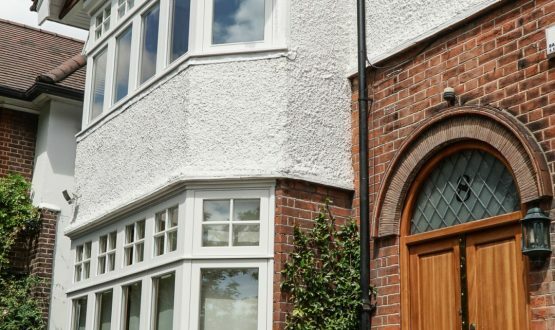 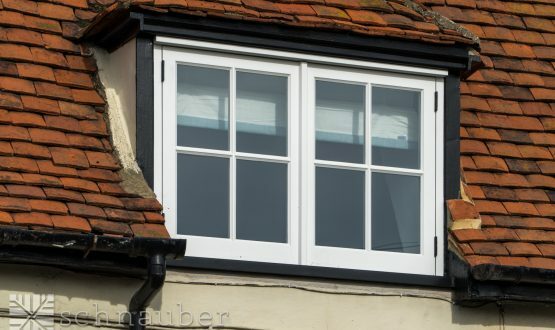 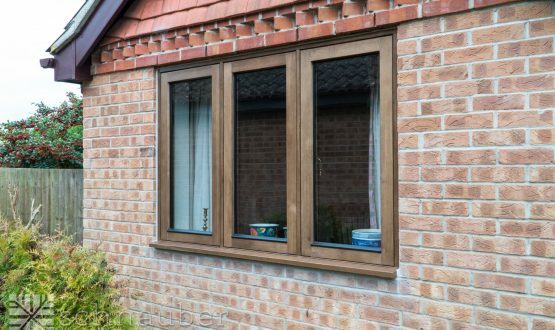 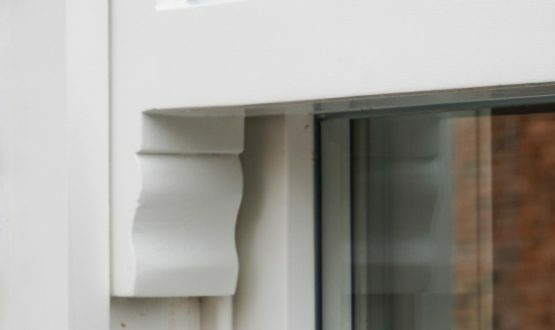 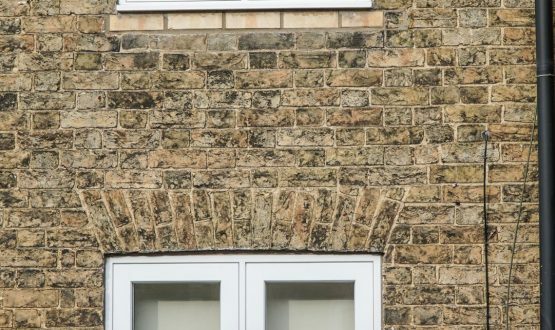 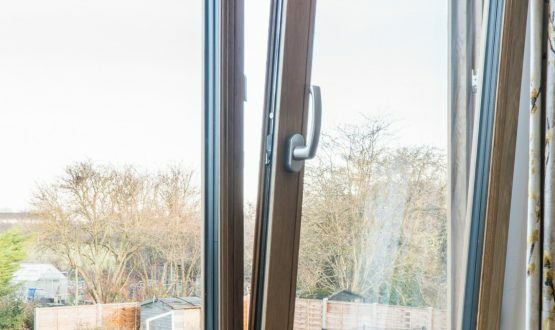 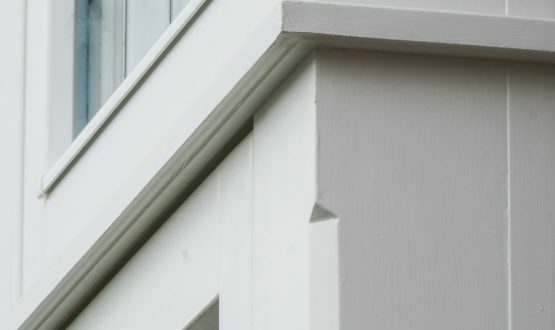 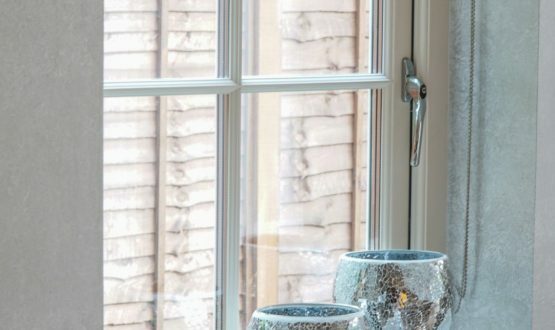 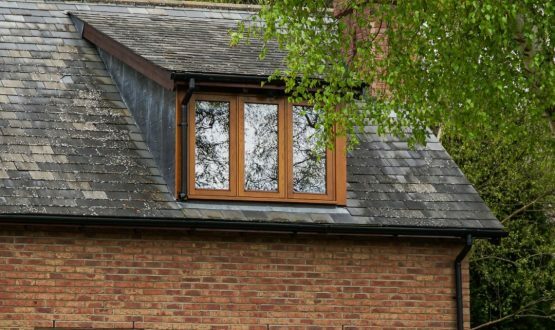 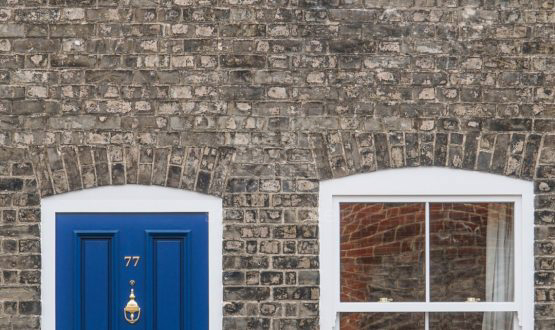 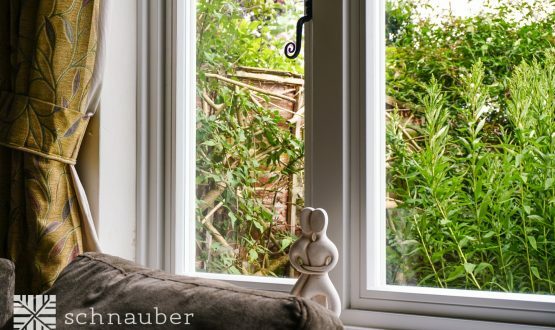 What options are available for my wooden Aluminium-Clad Timber windows? 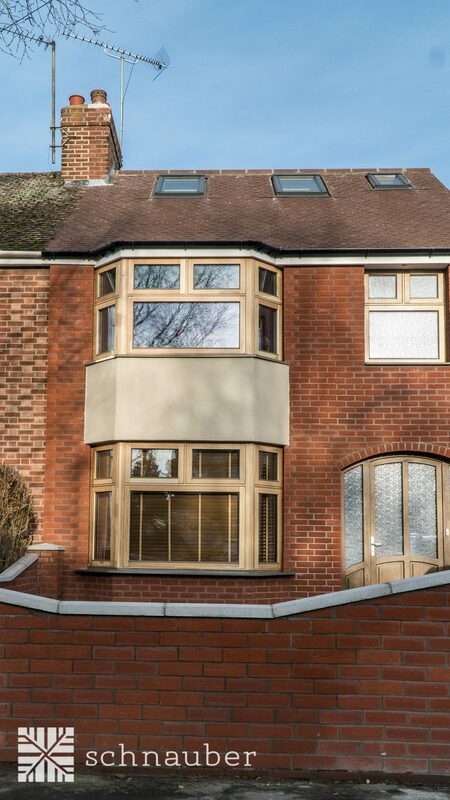 Choice of hardwood, softwood engineered timber finishes. 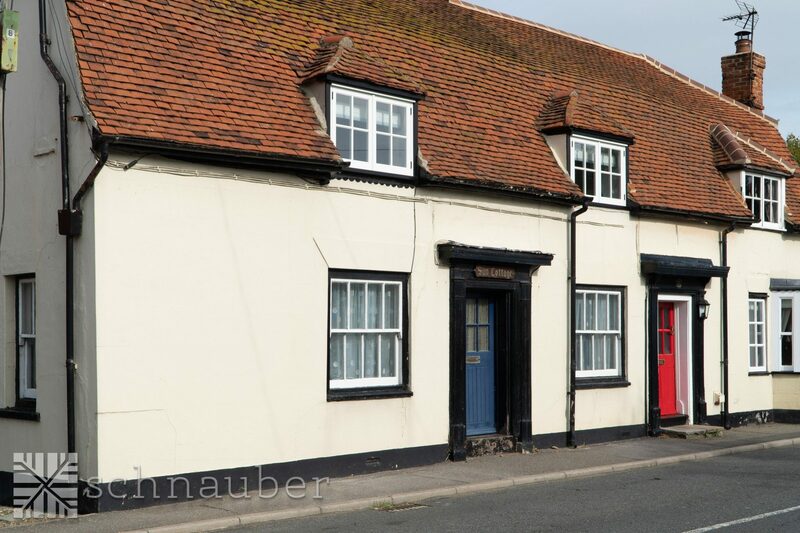 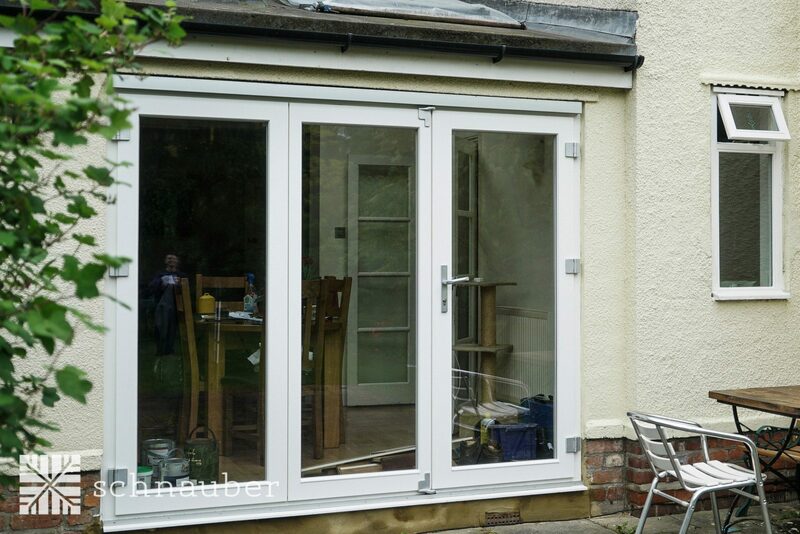 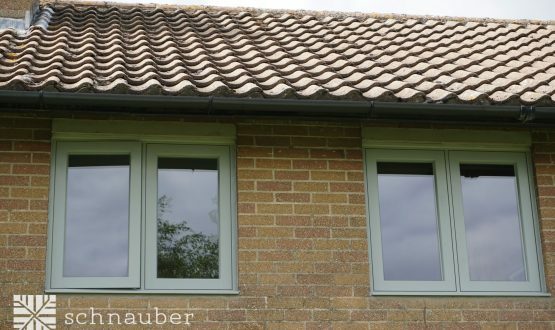 The external aluminium frame is painted from a choice of over 200 RAL colours. 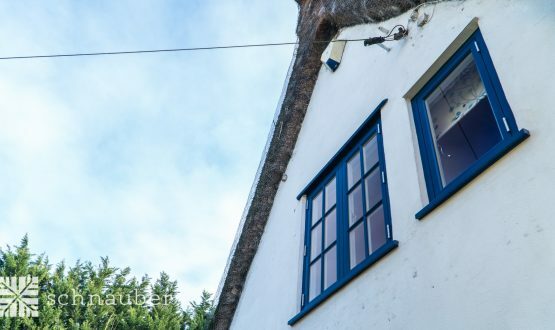 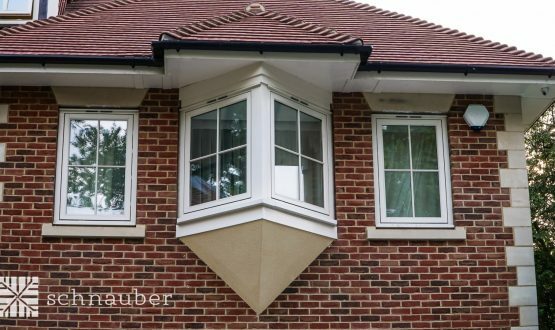 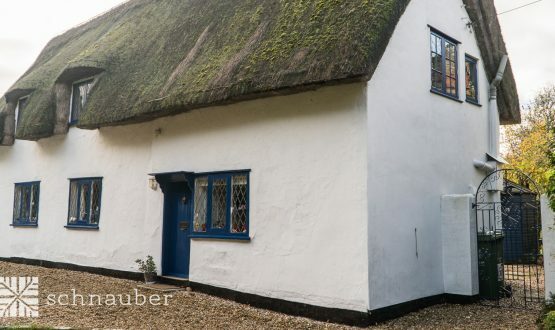 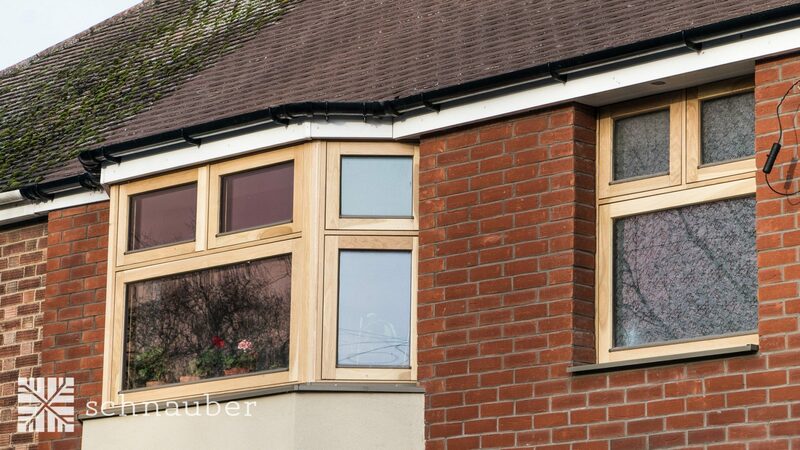 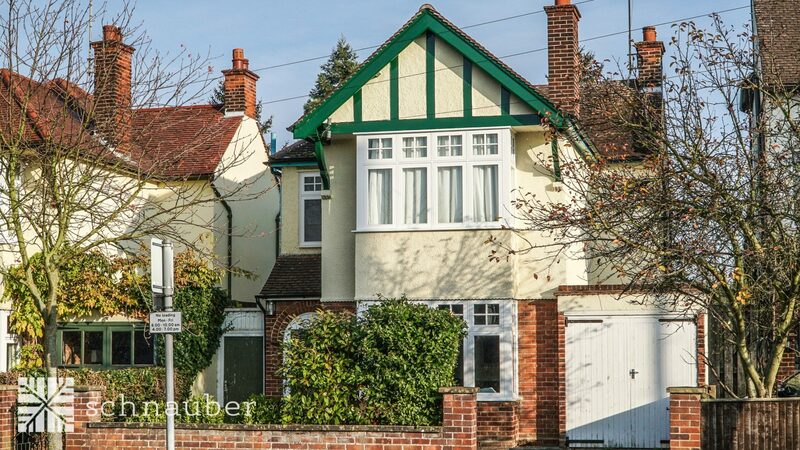 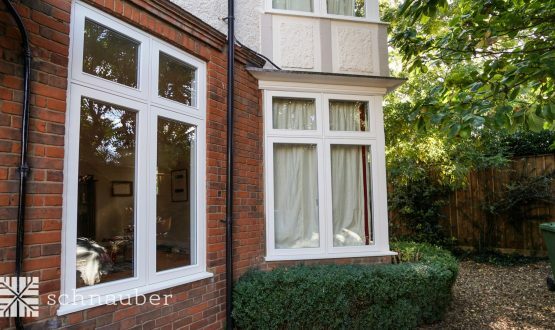 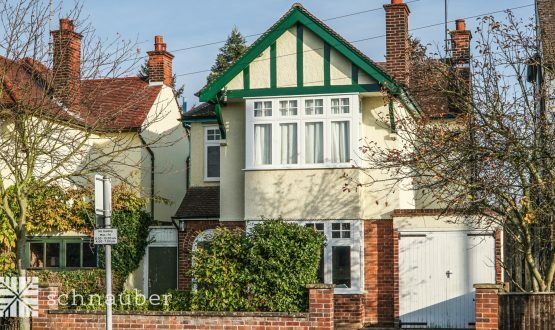 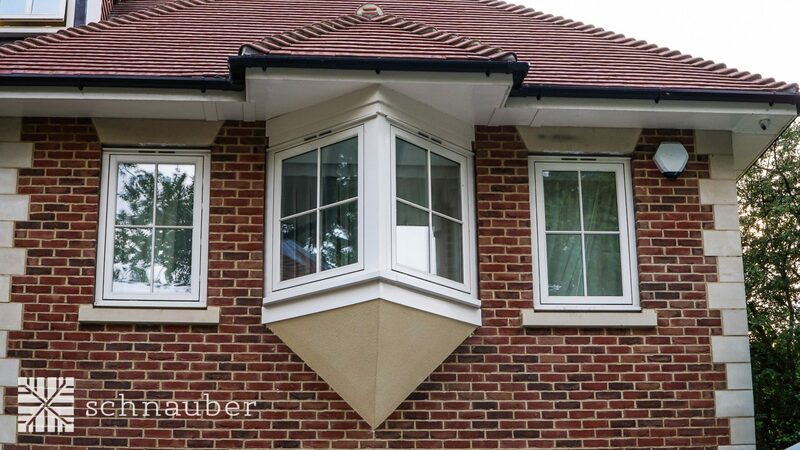 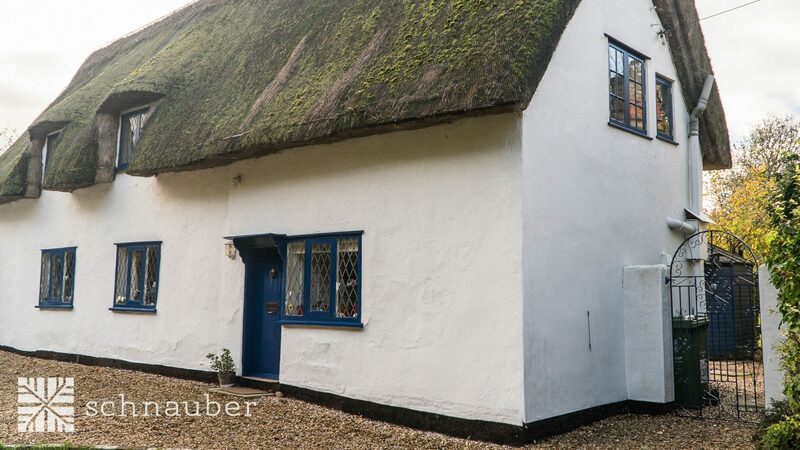 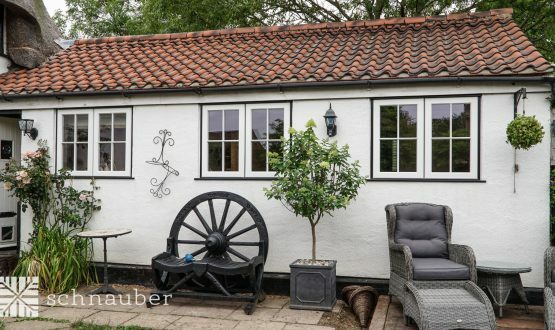 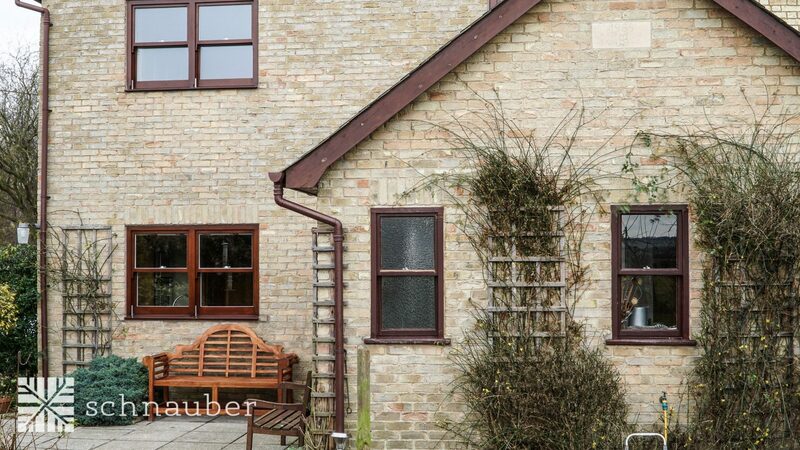 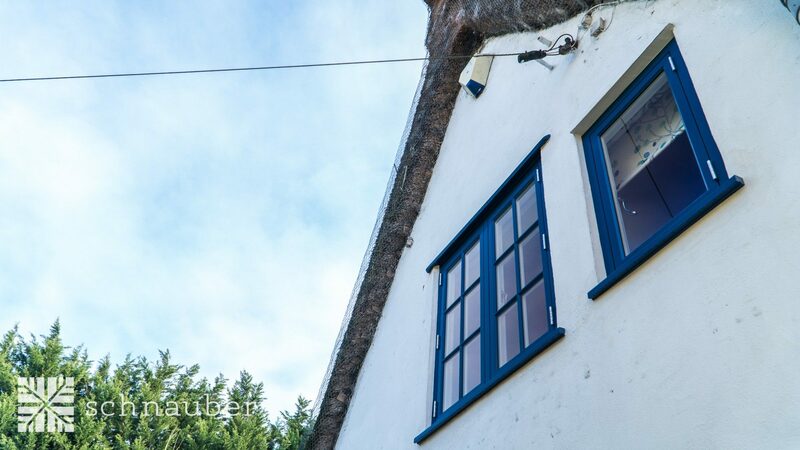 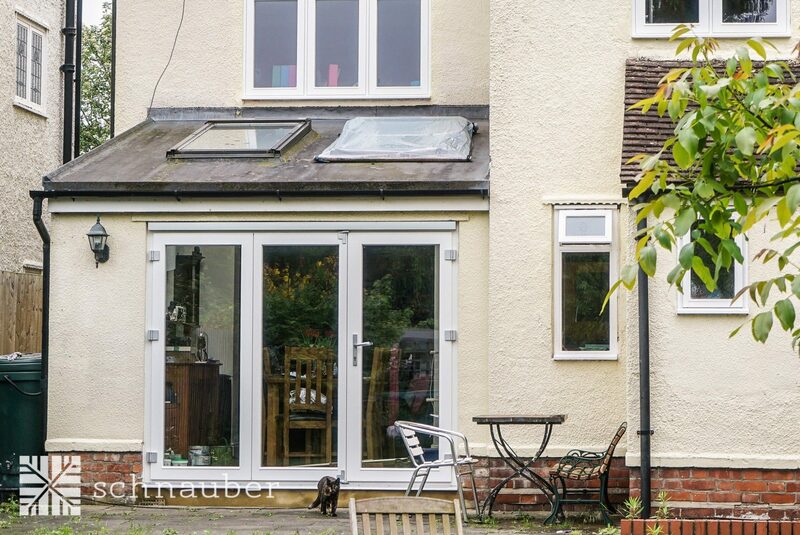 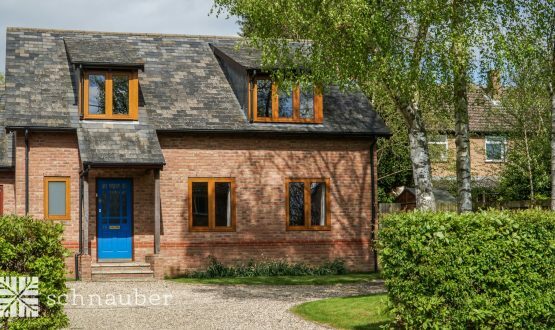 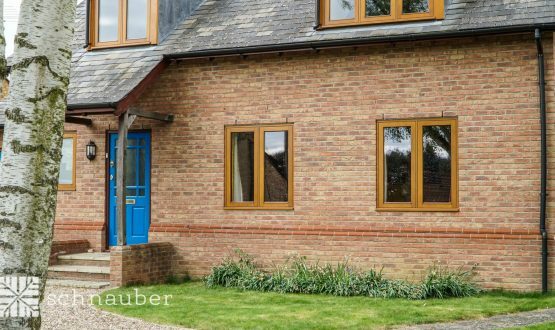 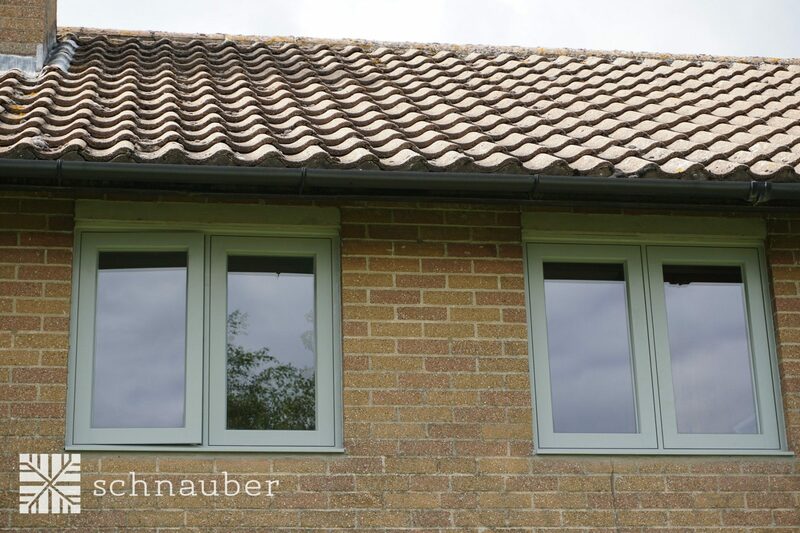 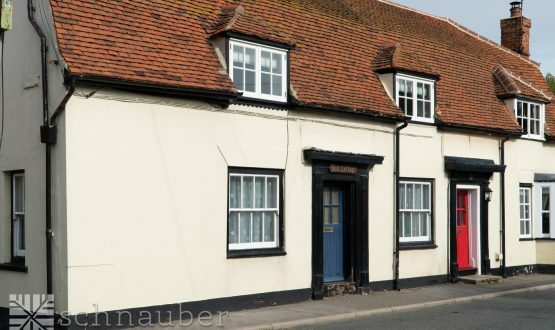 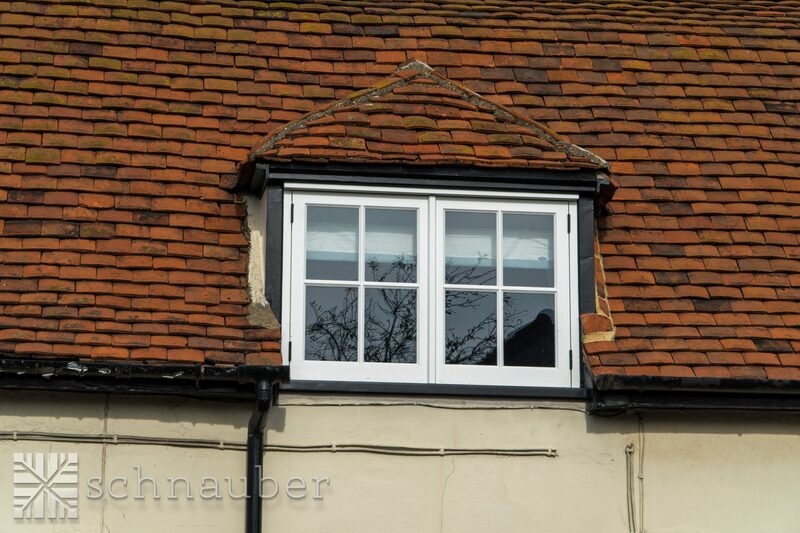 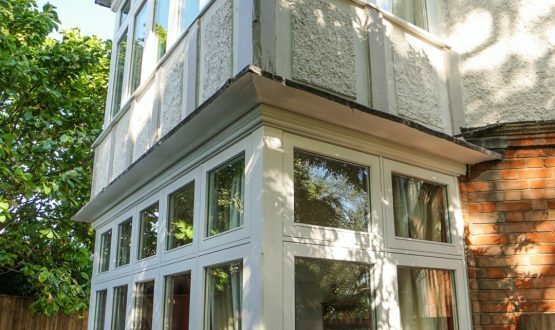 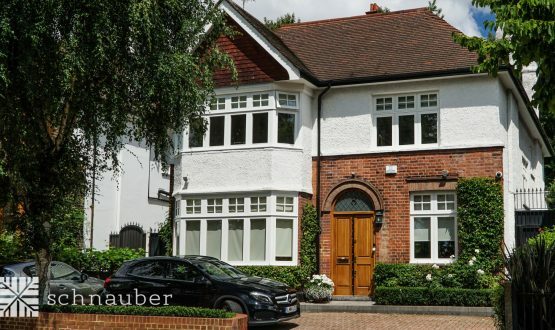 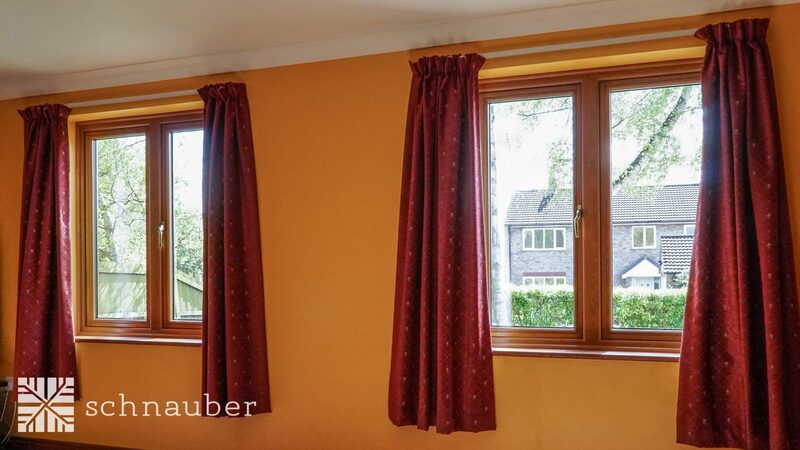 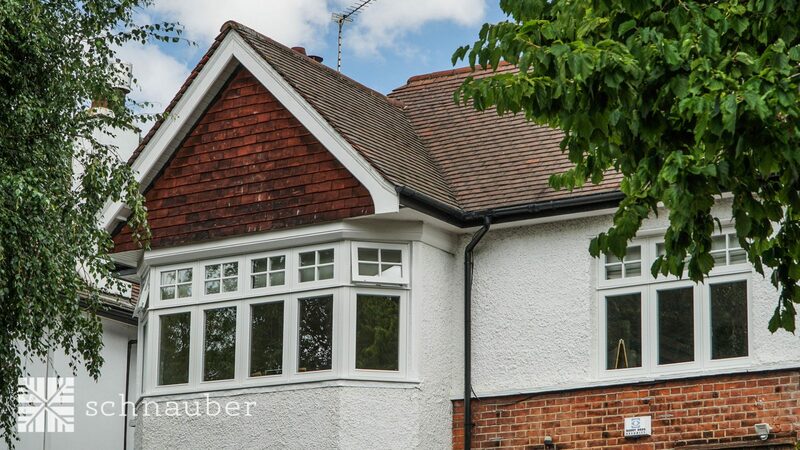 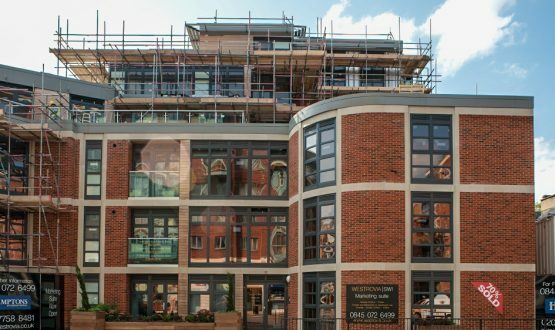 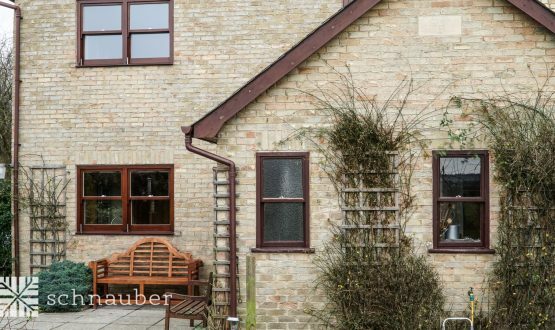 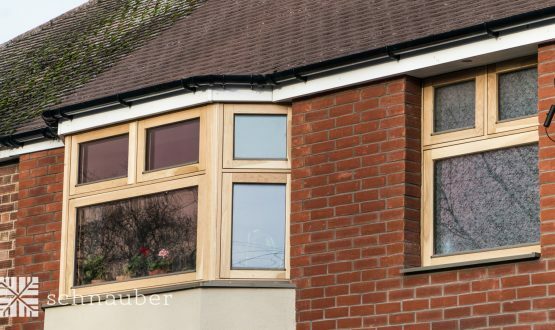 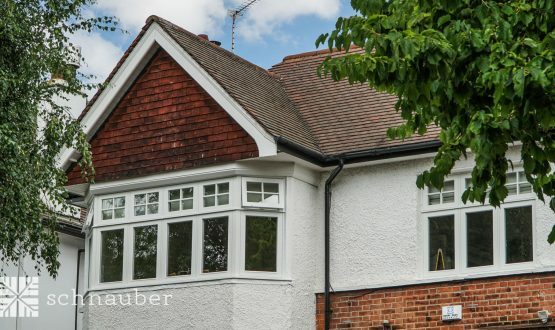 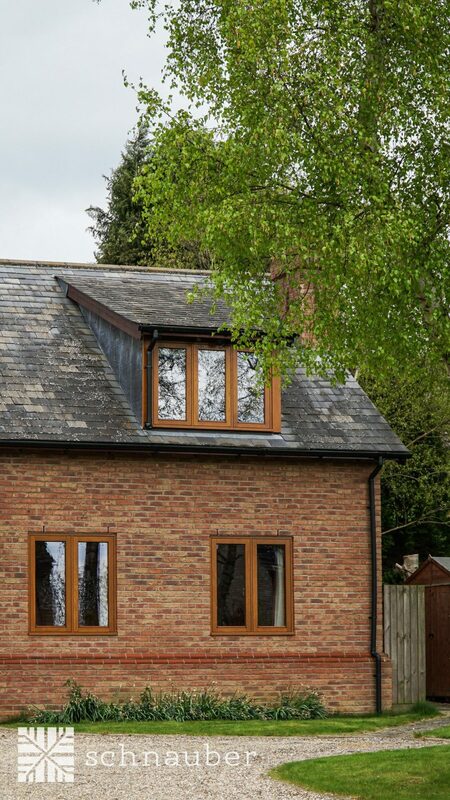 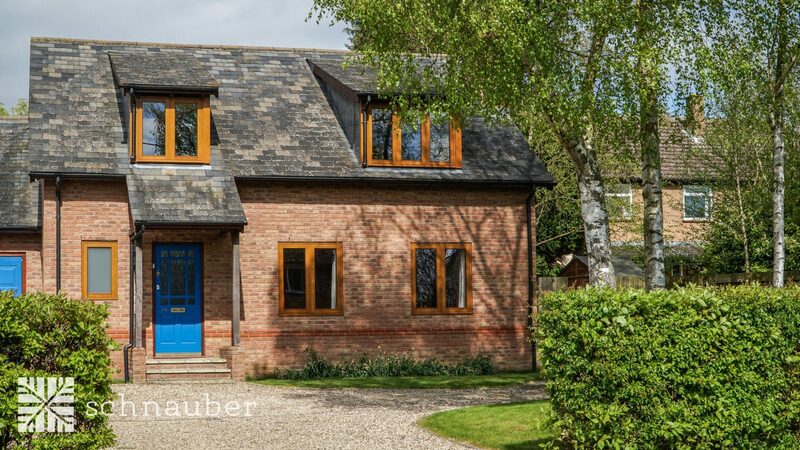 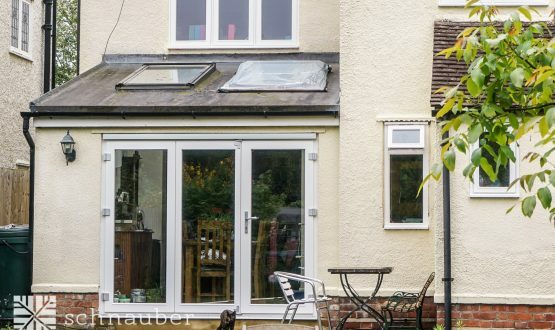 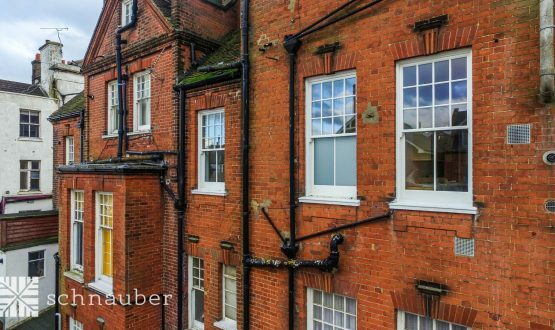 Are Schnauber’s timber Aluminium-Clad Timber windows environmentally friendly? 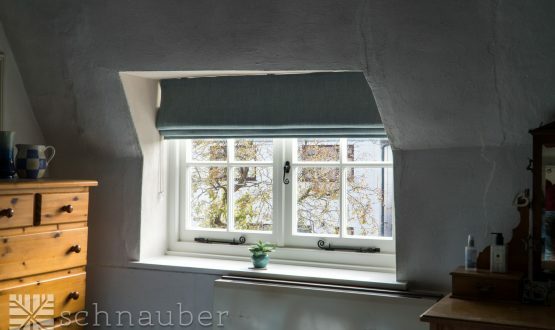 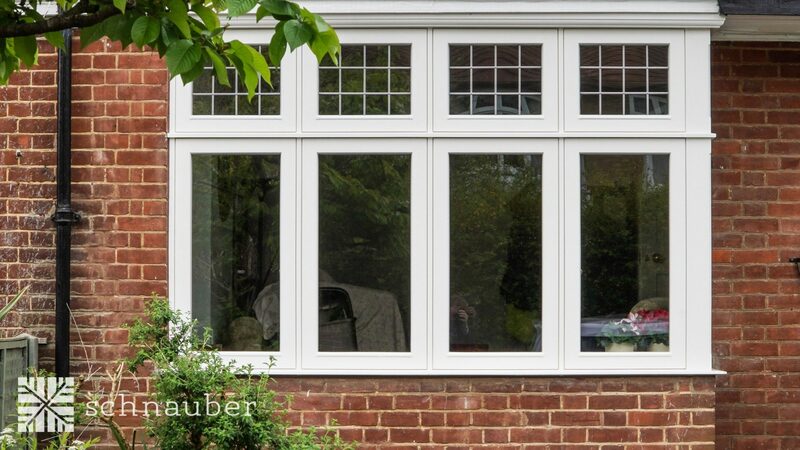 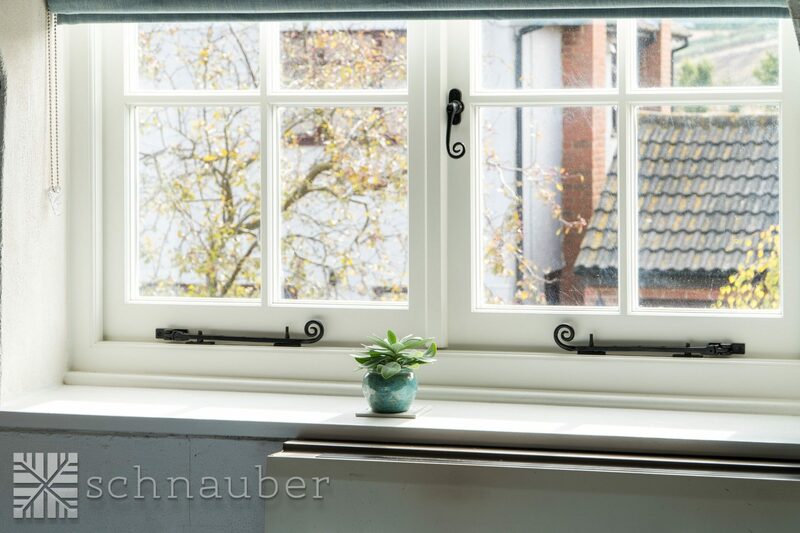 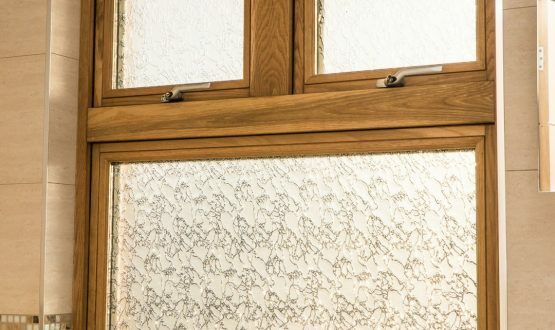 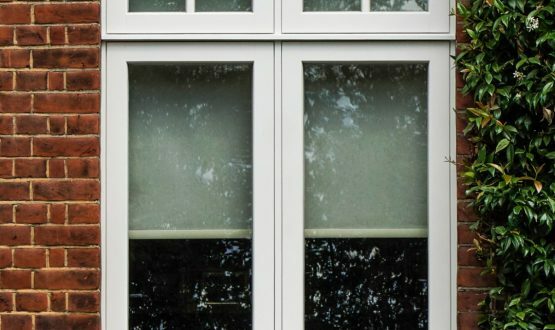 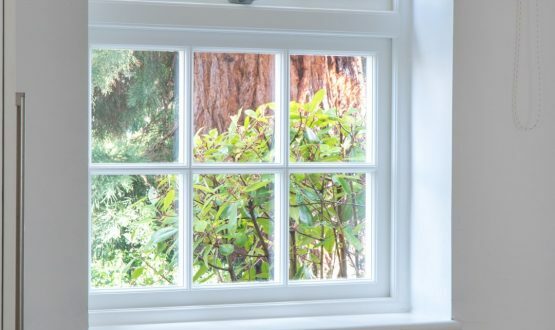 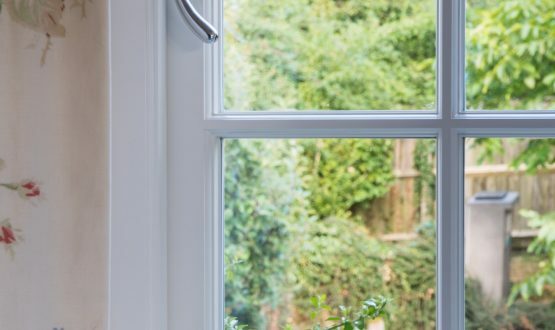 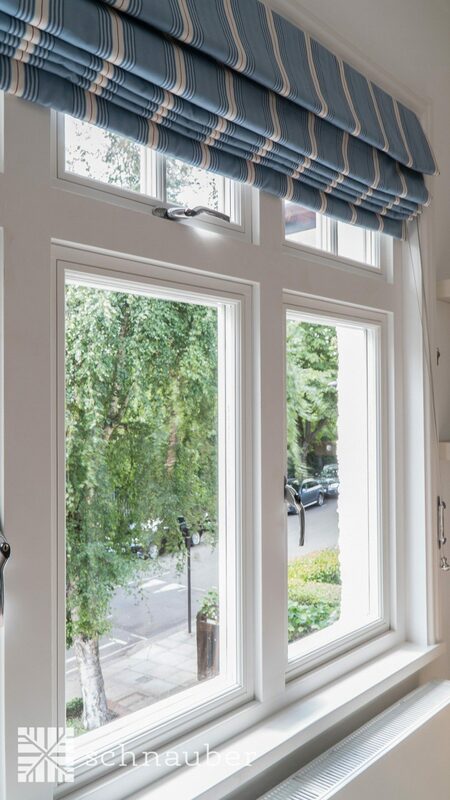 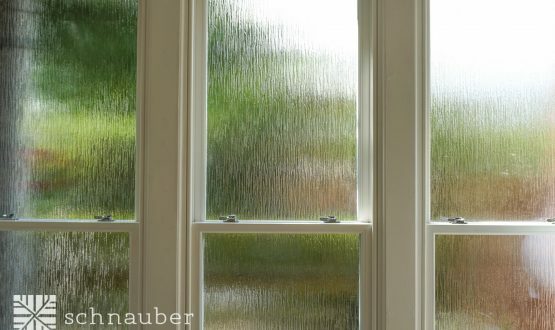 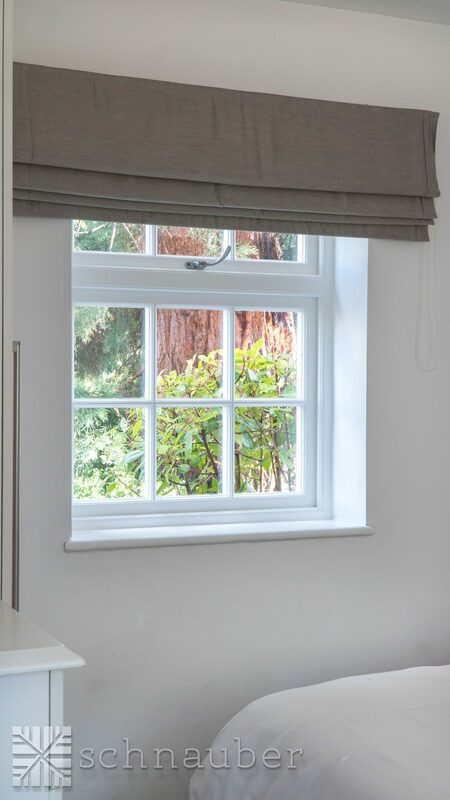 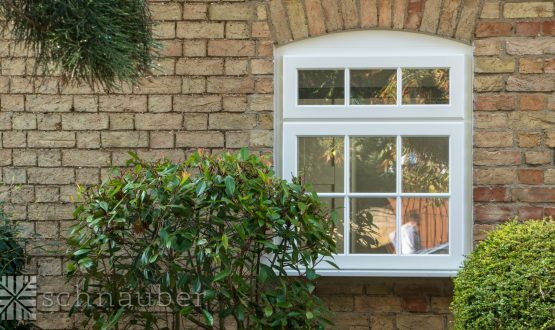 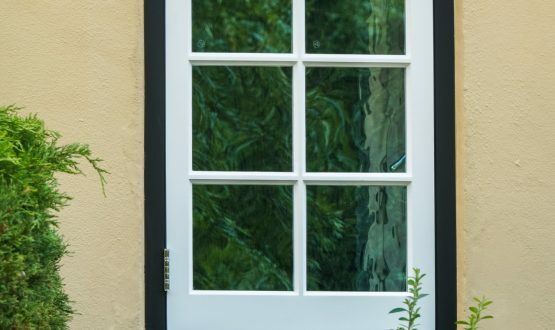 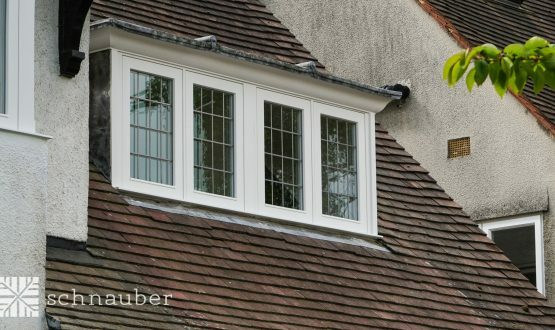 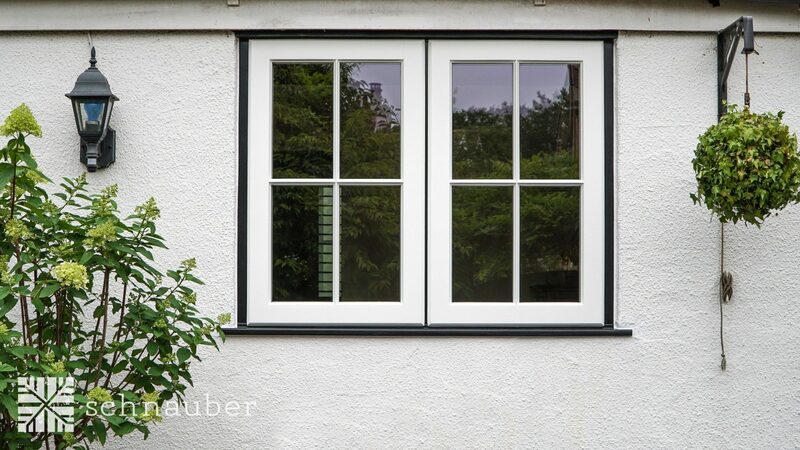 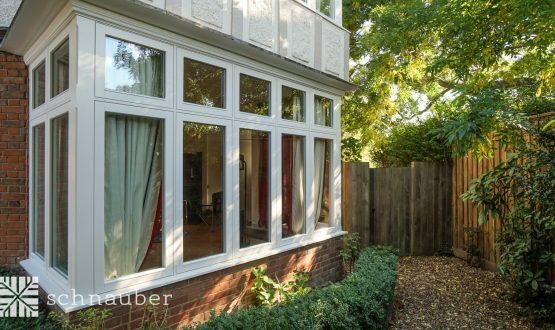 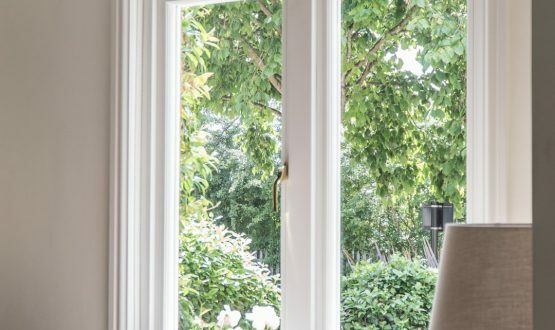 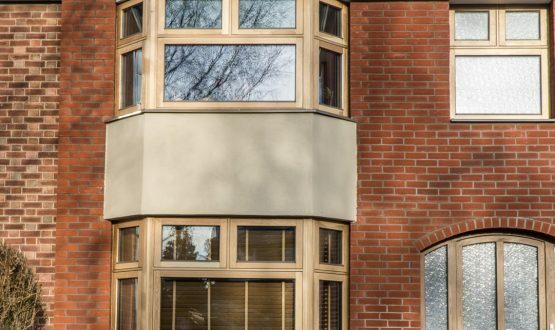 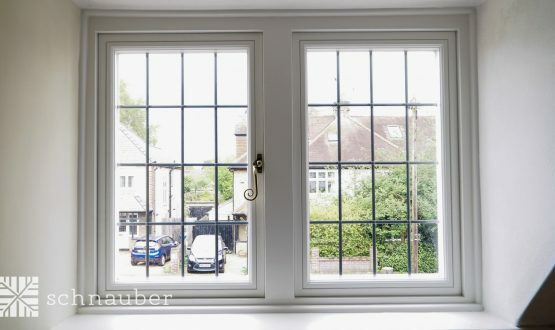 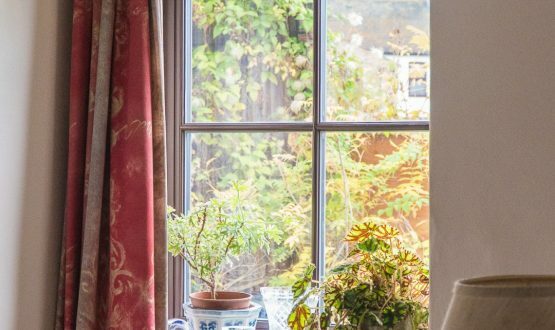 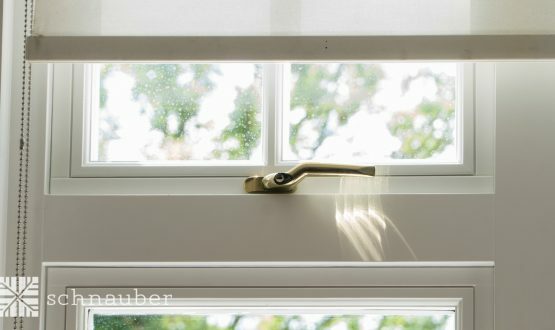 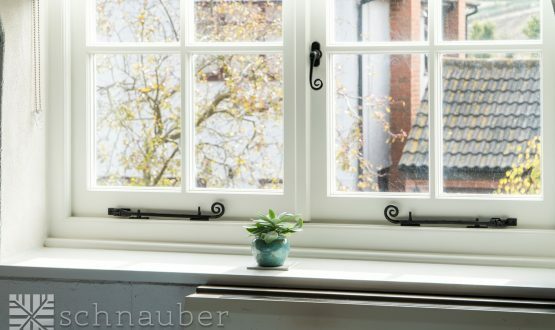 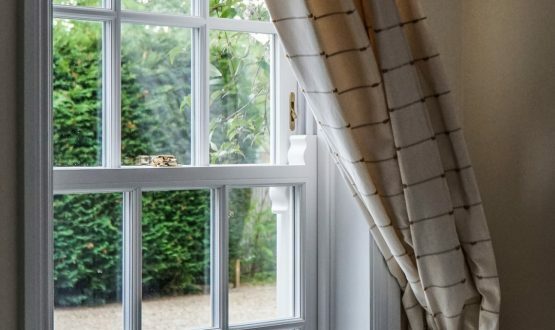 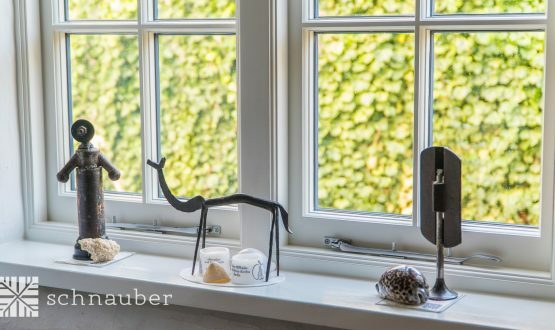 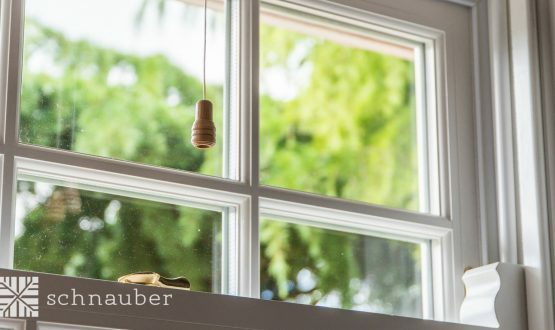 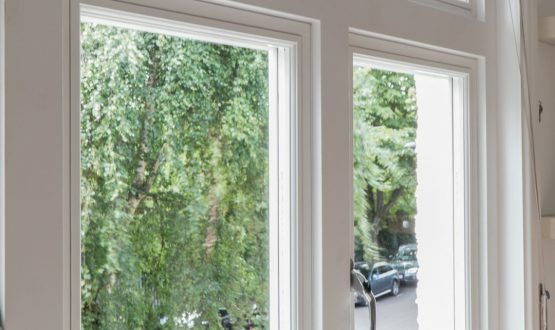 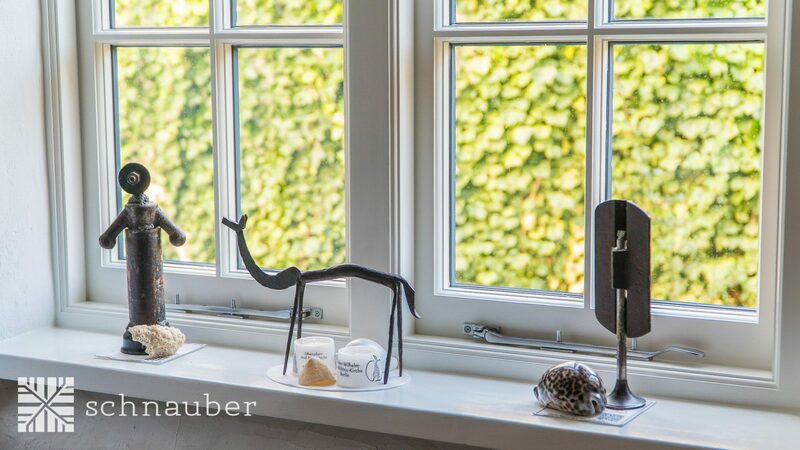 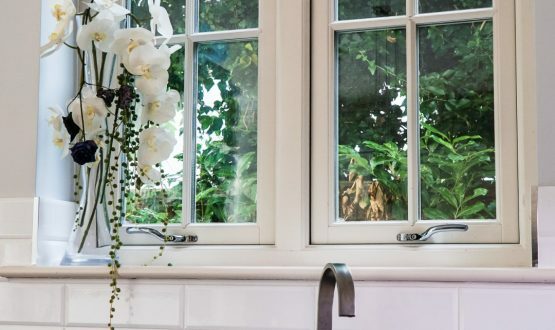 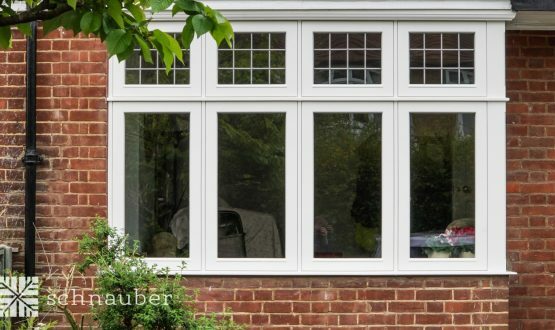 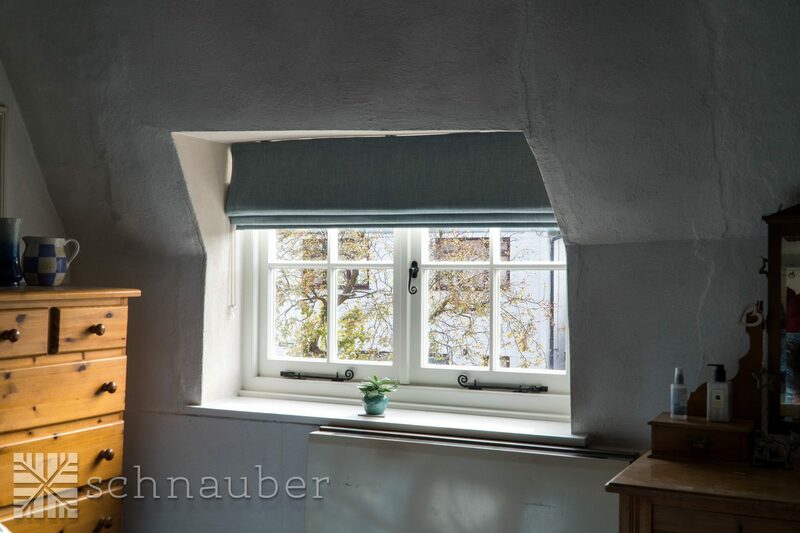 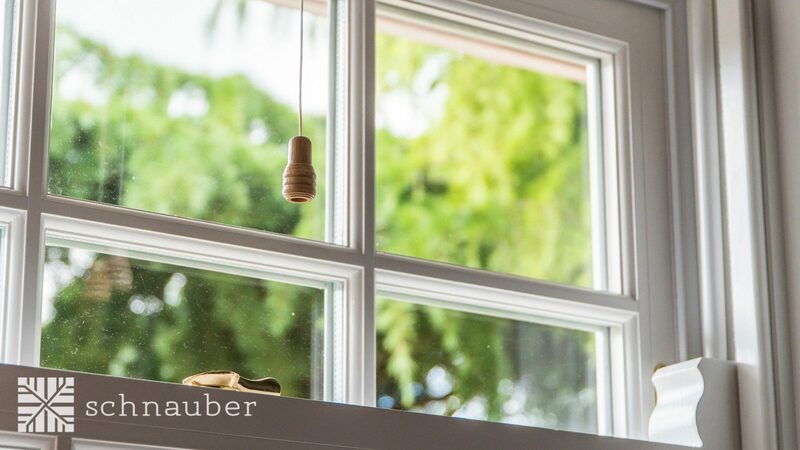 The wooden windows manufactured by Schnauber are all made from responsible and sustainable sources and certified by the Forest Stewardship Council (FSC). 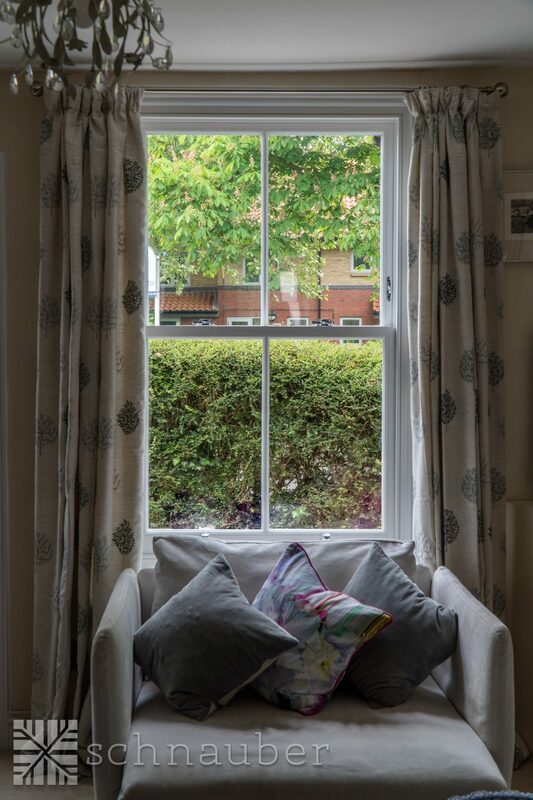 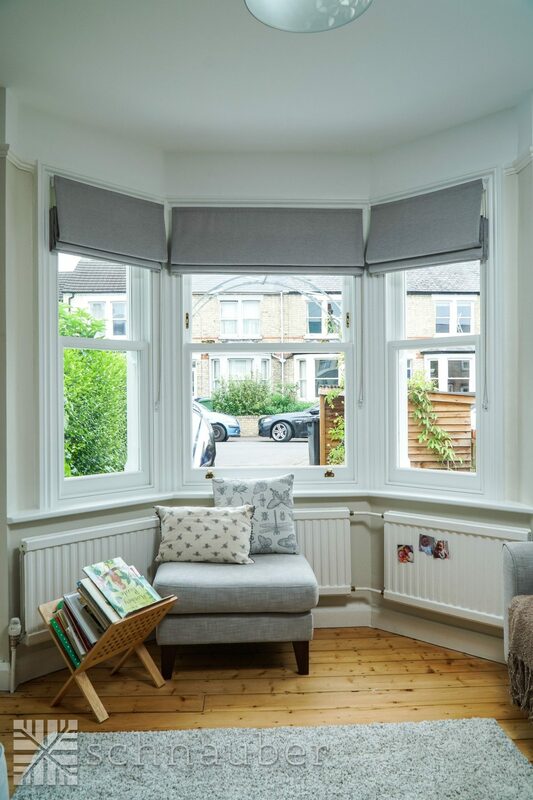 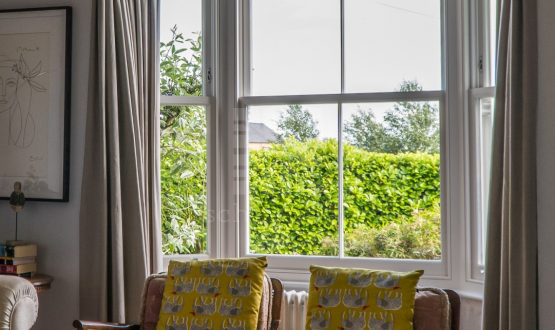 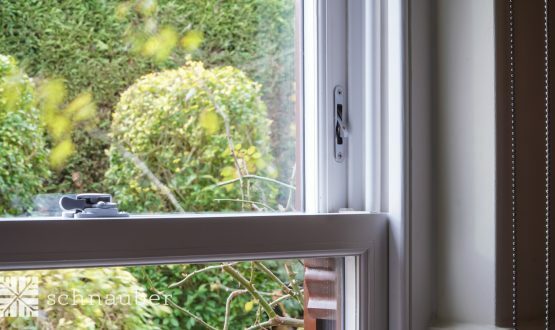 The aluminium sourced for these windows uses sustainable production methods and balances the initial high embodied energy with an increased product lifespan, reduced need for maintenance and improved thermal performance. 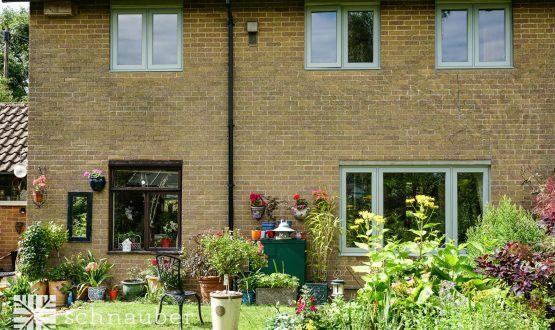 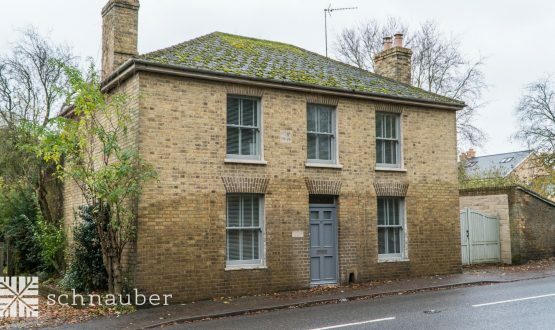 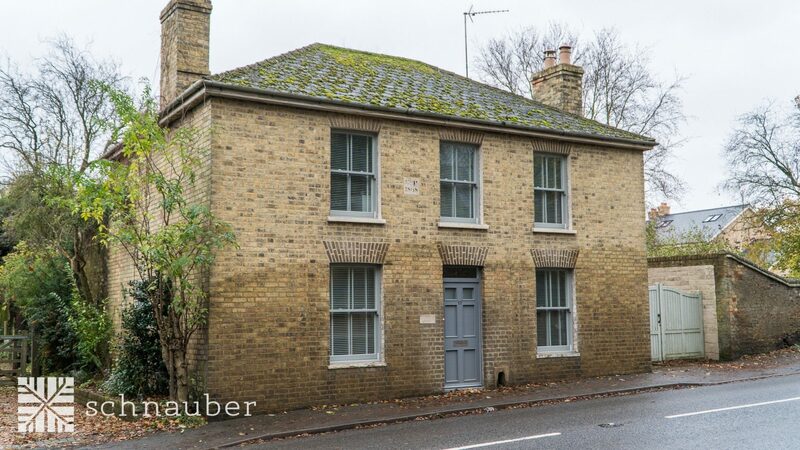 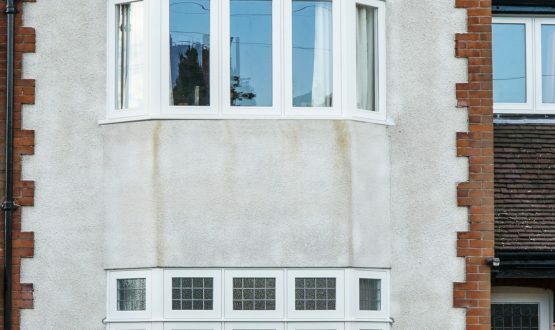 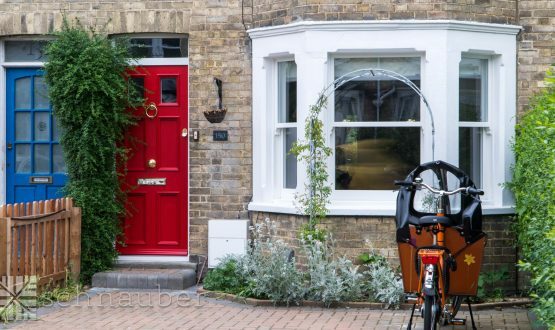 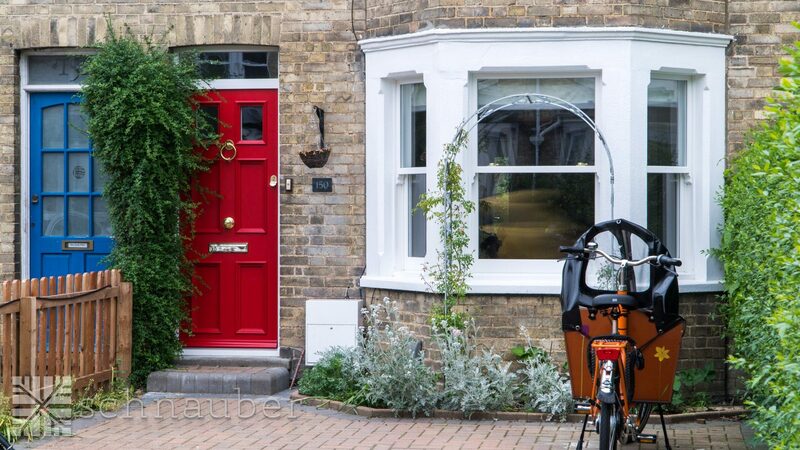 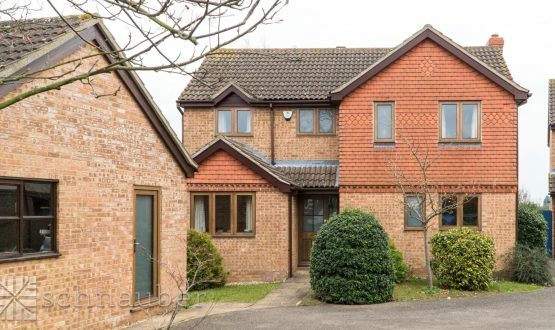 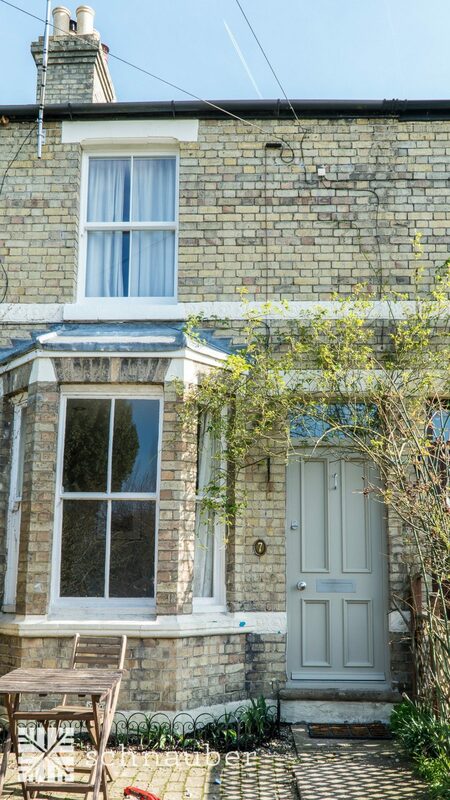 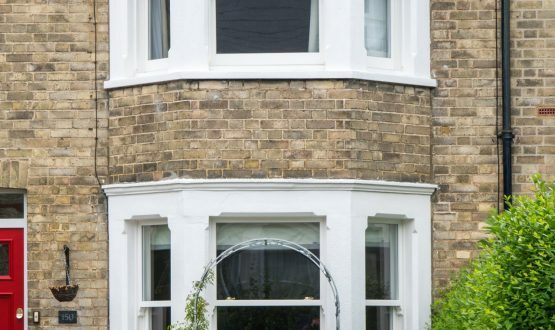 How long will it take to install new Aluminium-Clad Timber windows? 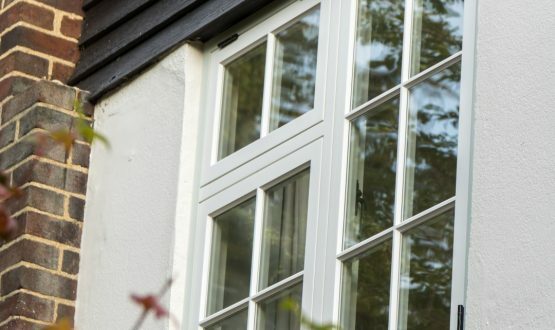 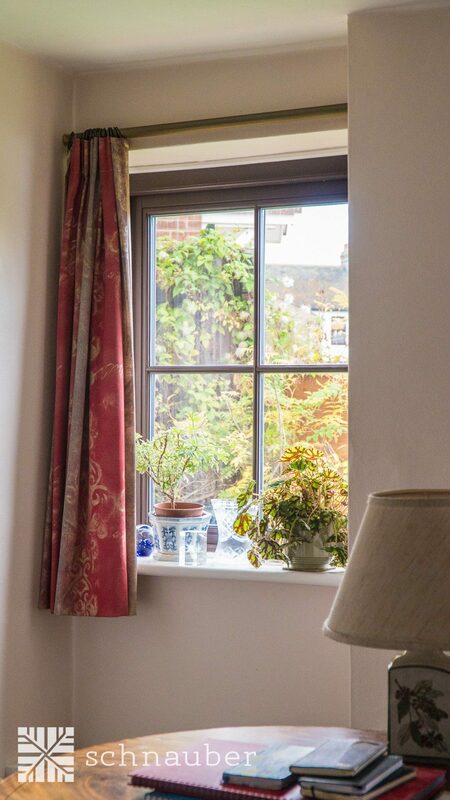 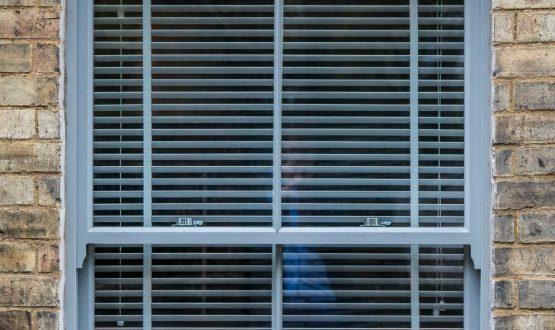 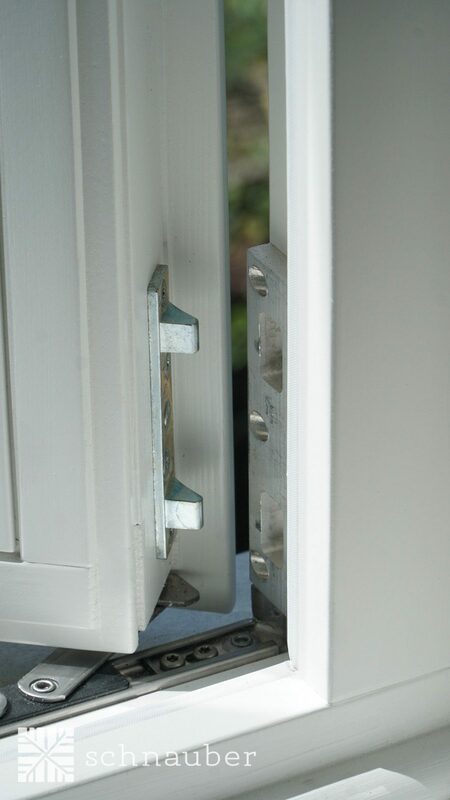 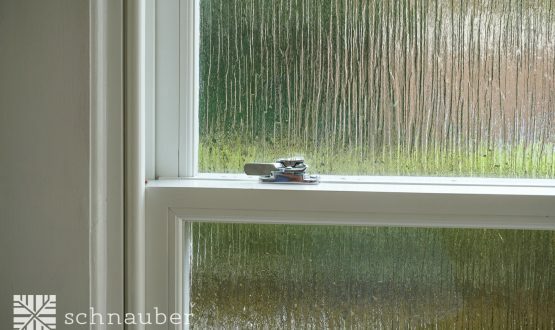 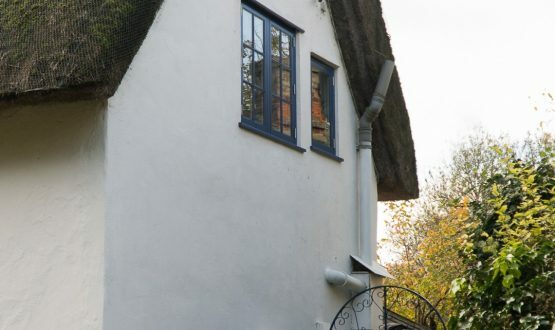 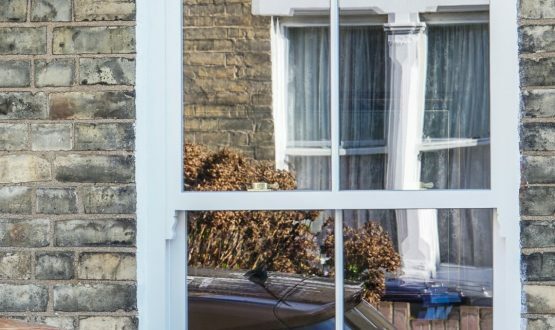 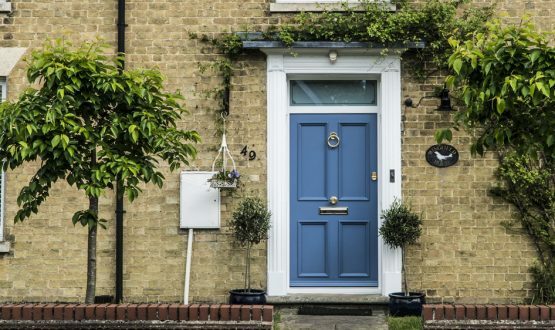 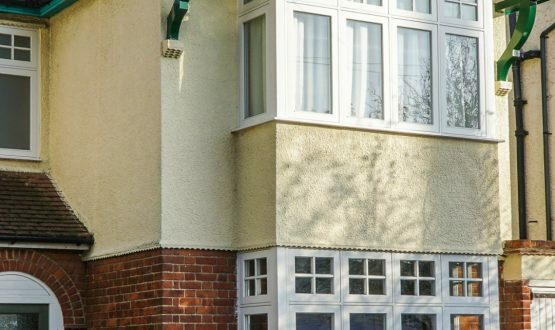 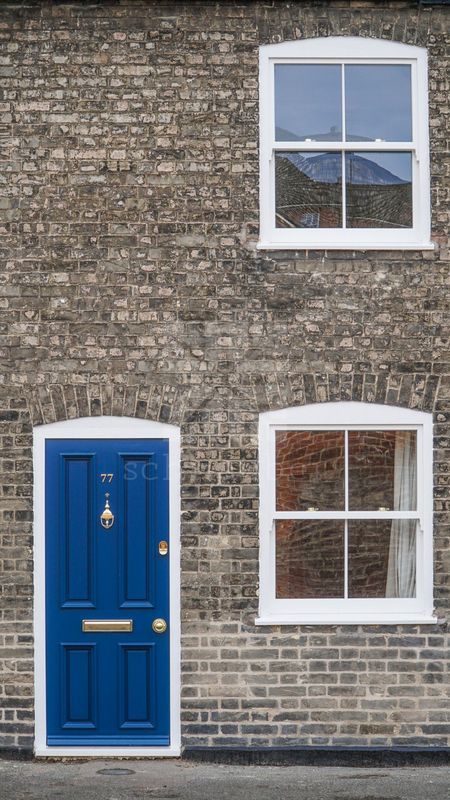 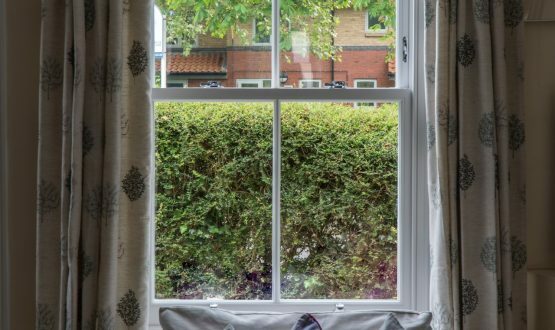 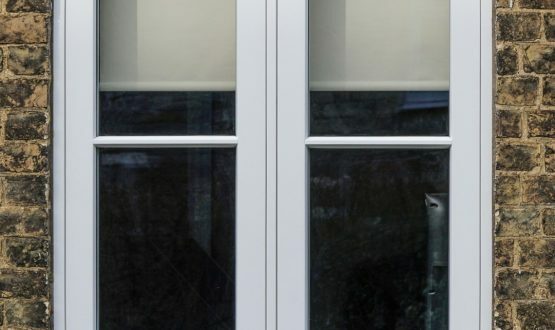 How easy are Aluminium-Clad Timber windows to maintain once they have been installed? 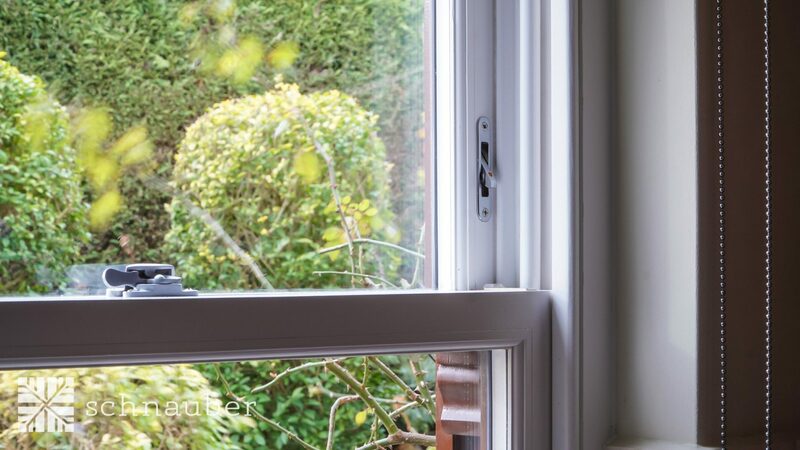 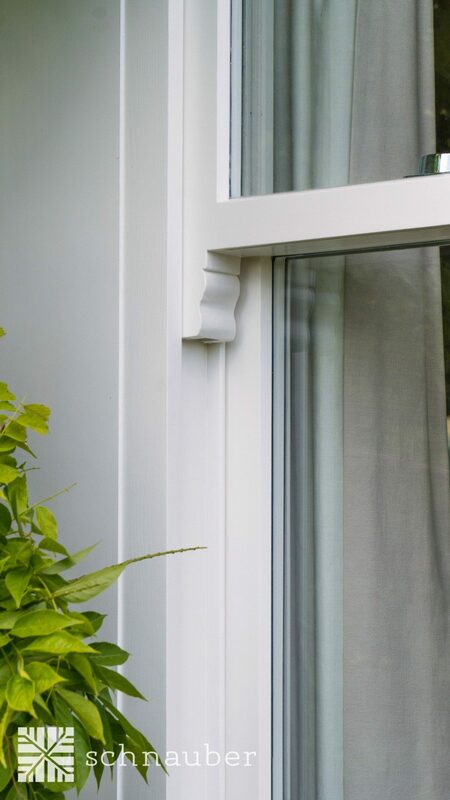 Aluminium-Clad Timber windows are virtually maintenance free. 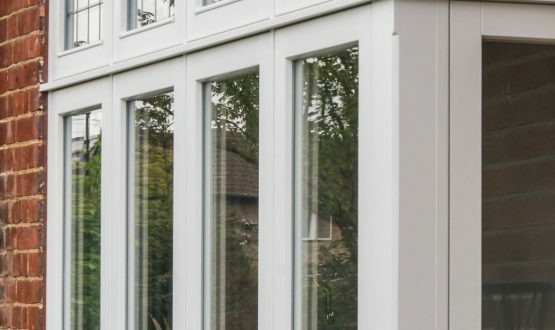 This product range is suitable for contemporary buildings, where durability and a high quality visual finish is required. 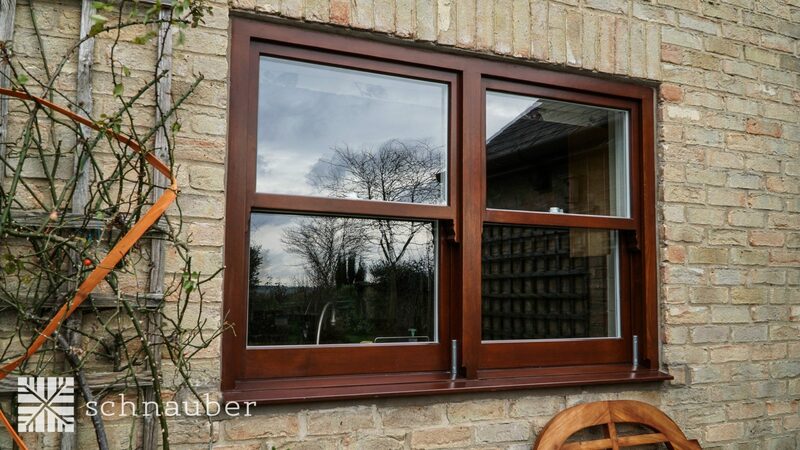 Internally these windows are timber, so offer the ability for bespoke finishes to suit your specification. 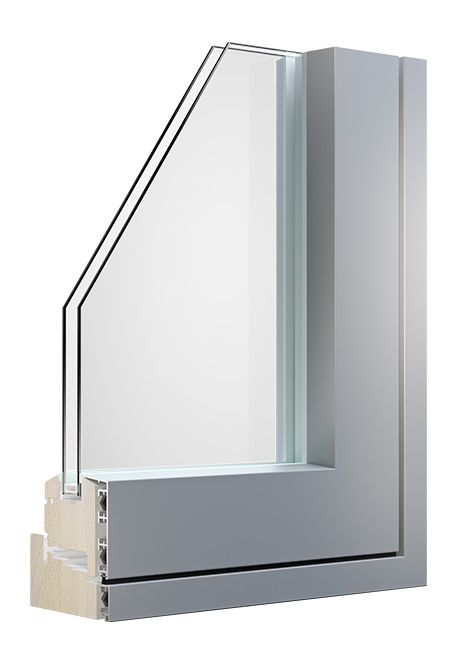 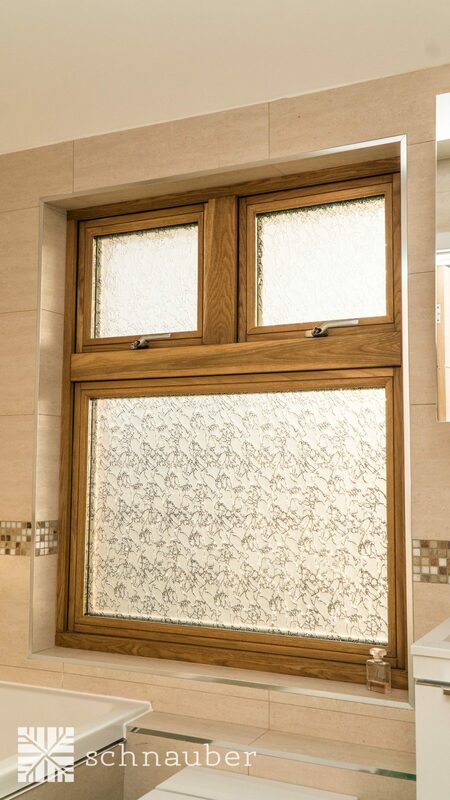 These windows are tough wearing and work well in challenging environments.